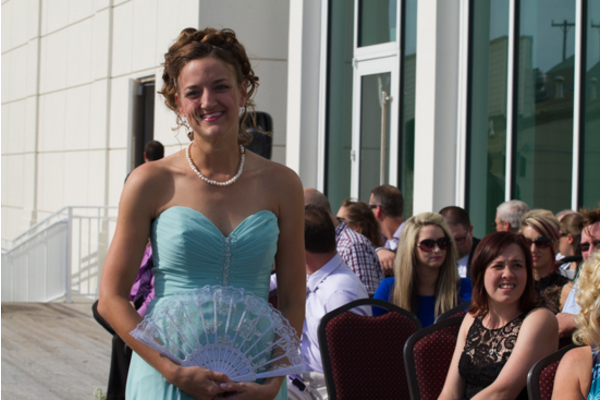 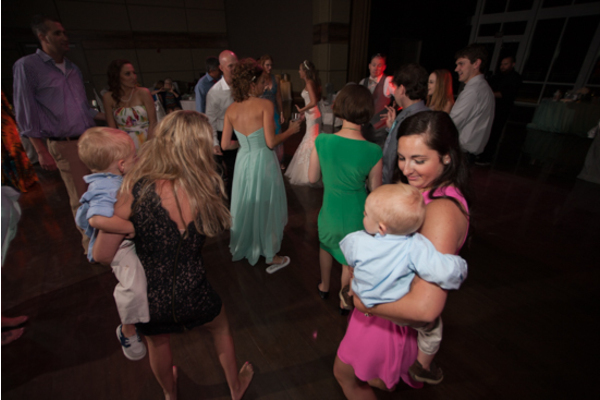 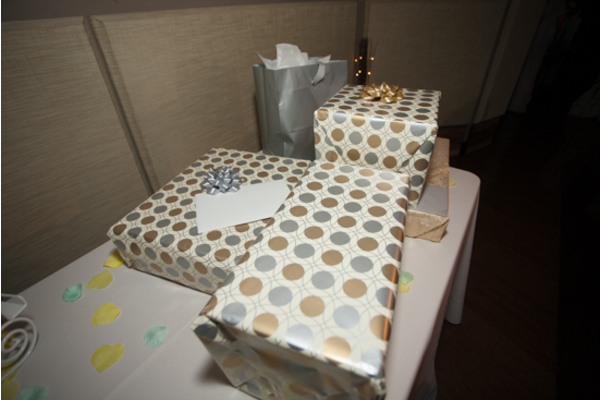 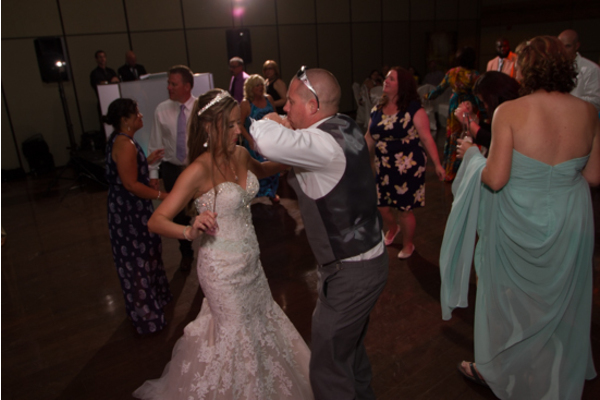 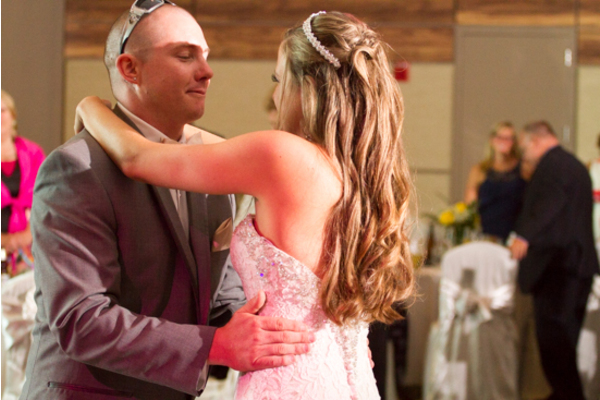 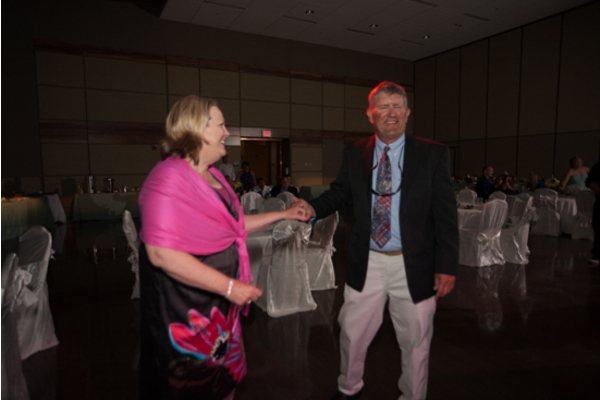 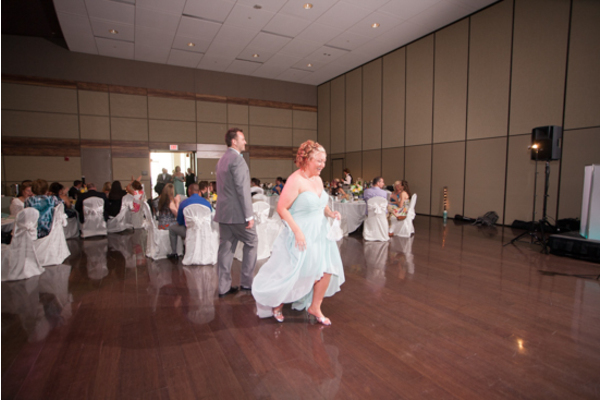 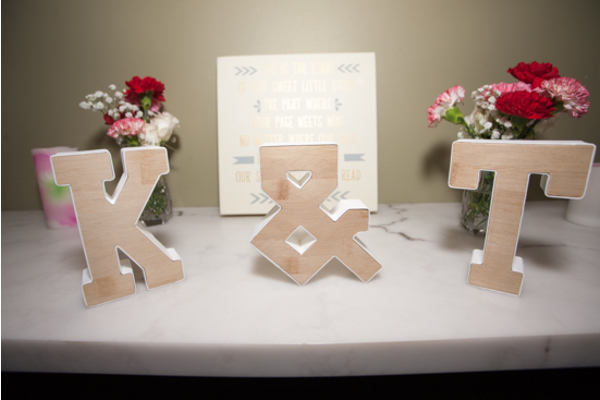 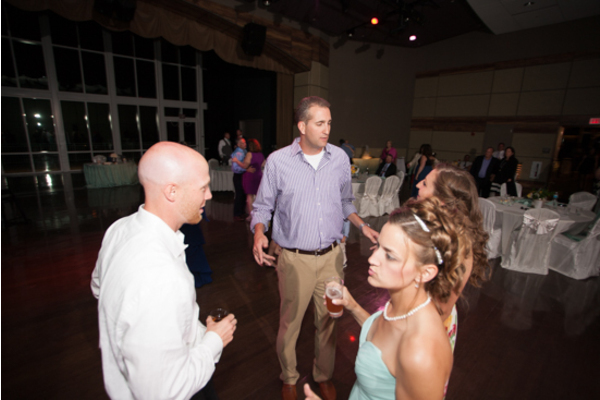 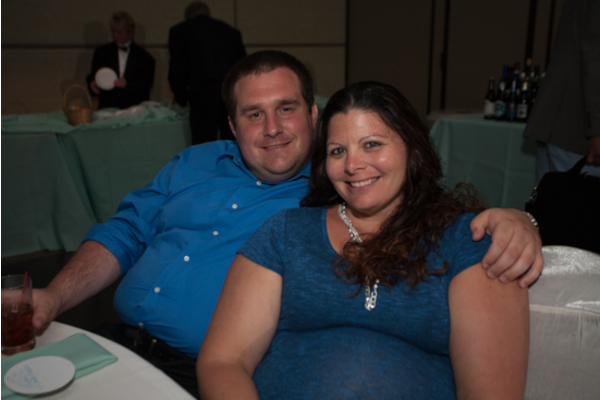 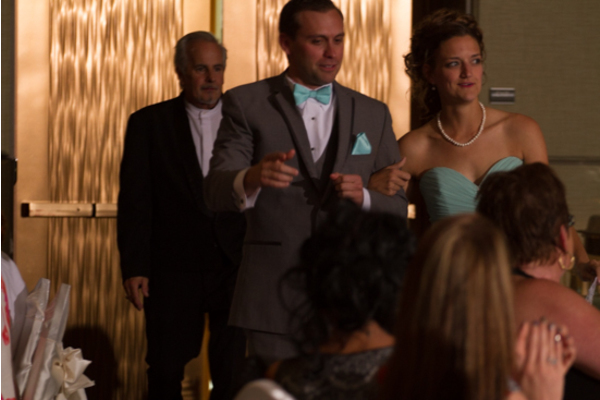 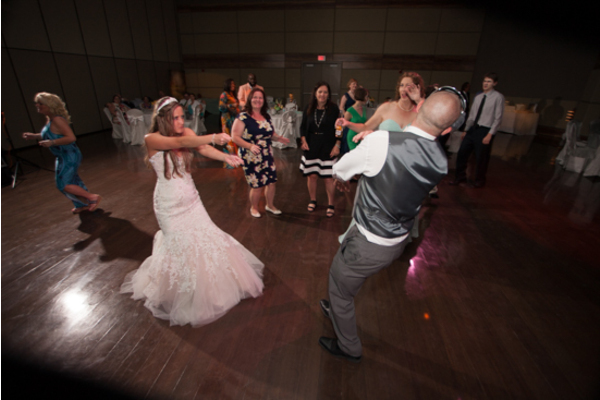 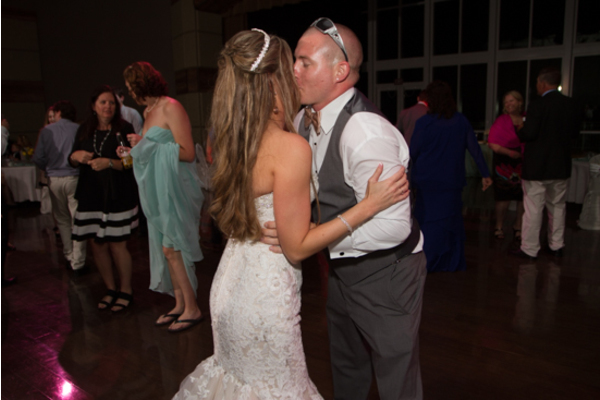 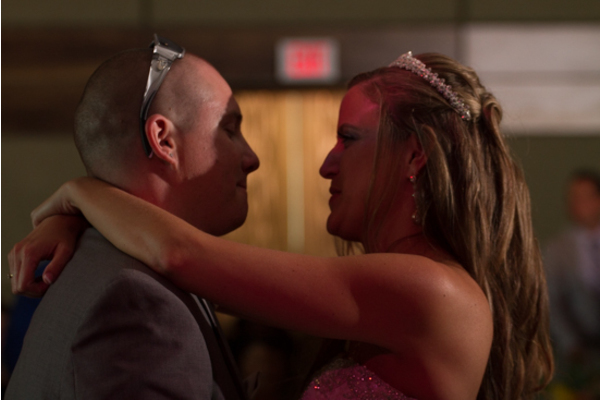 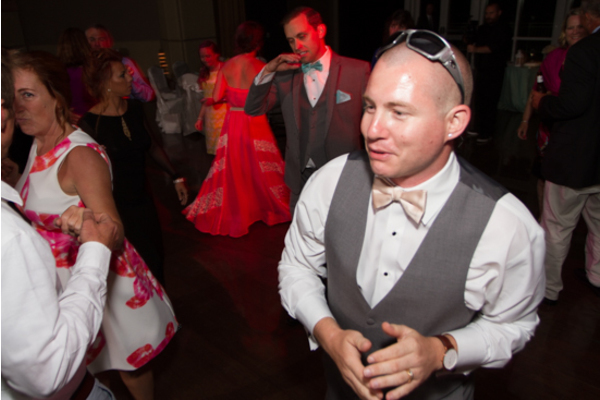 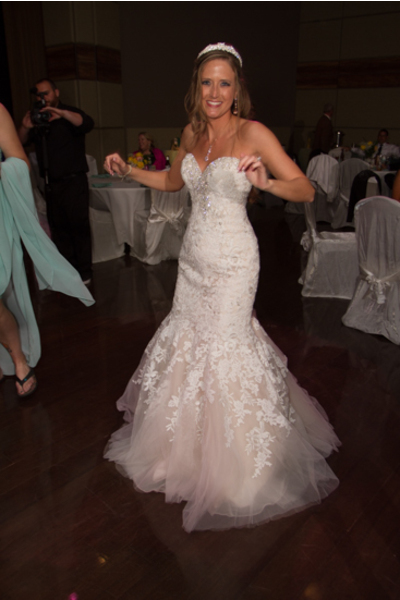 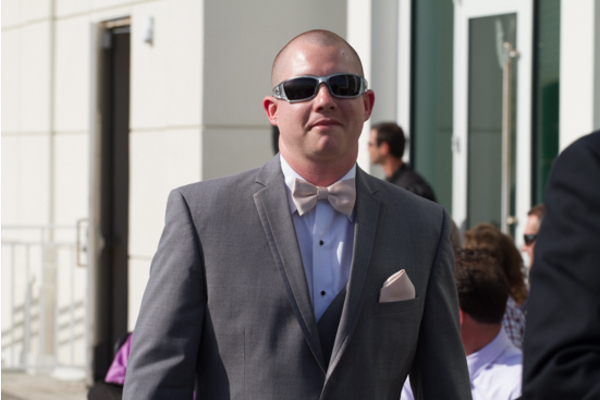 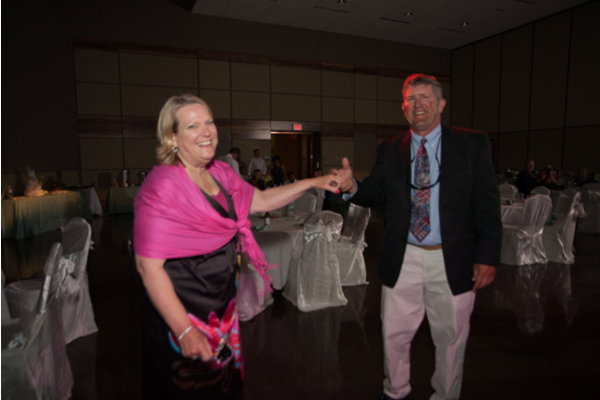 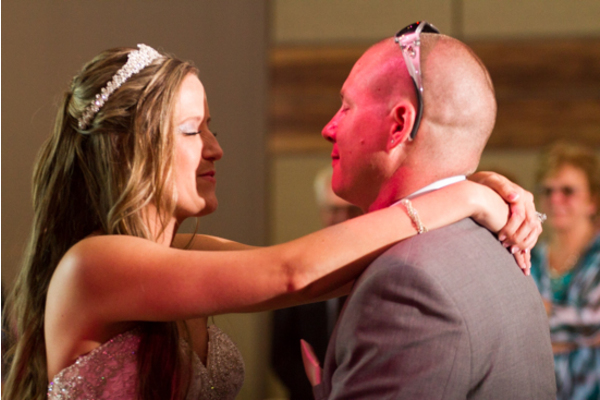 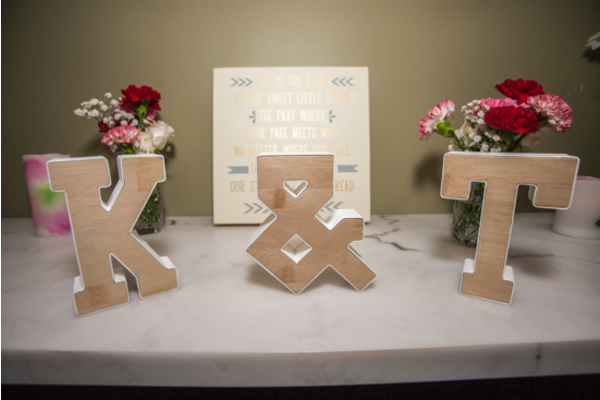 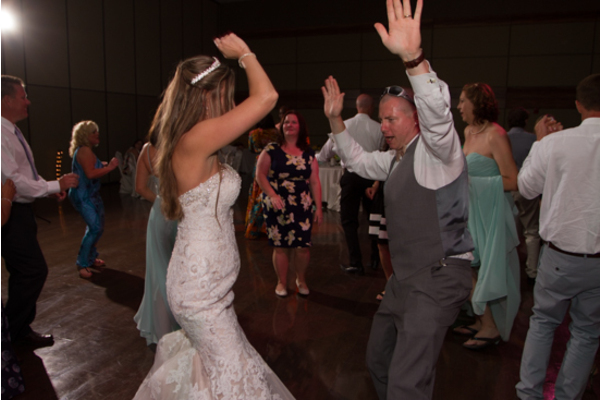 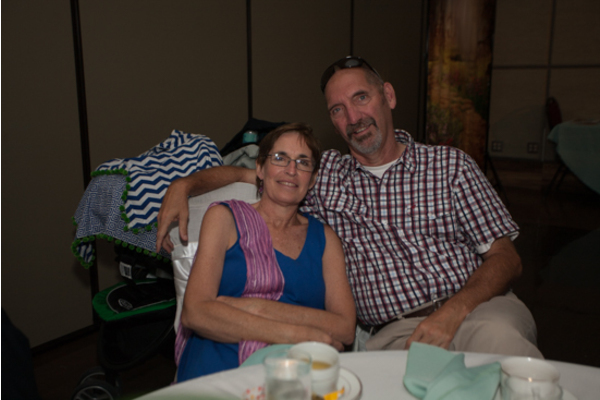 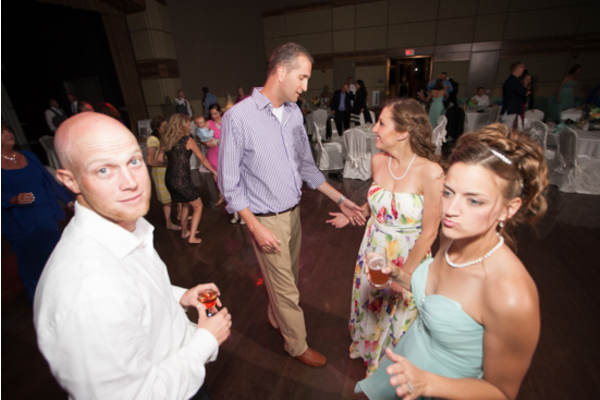 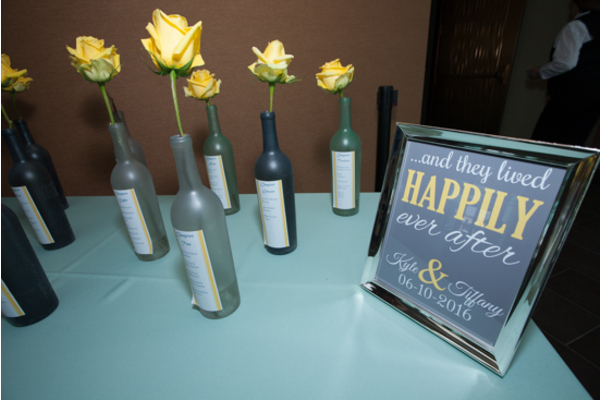 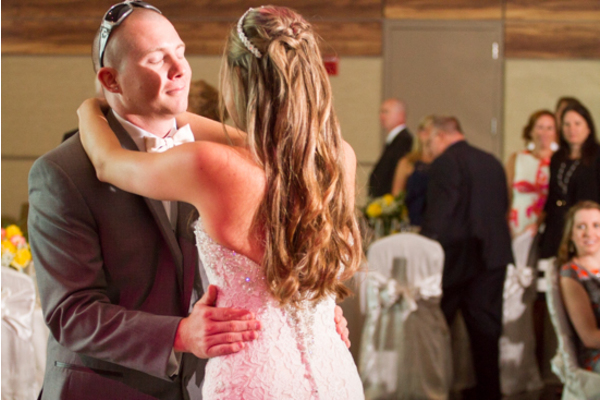 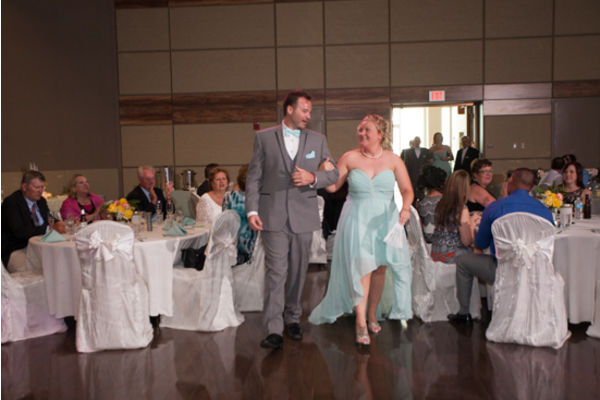 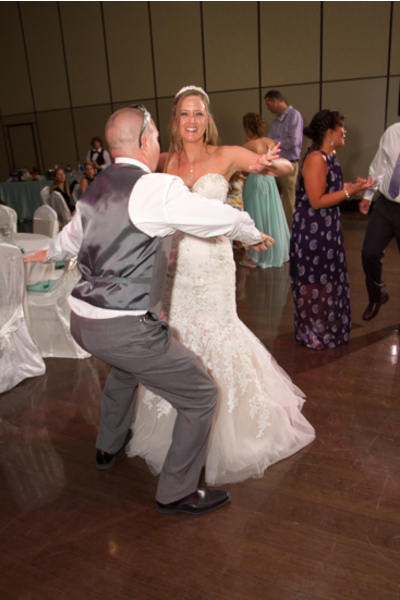 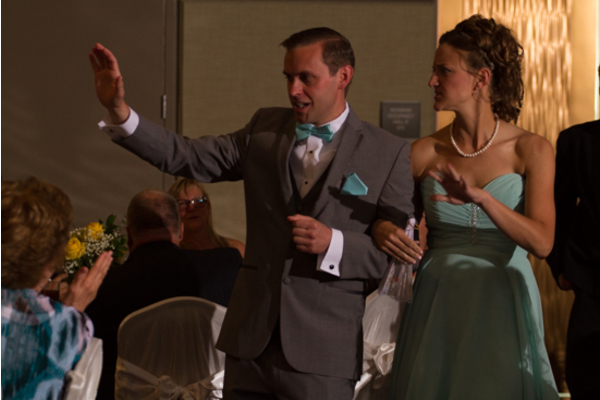 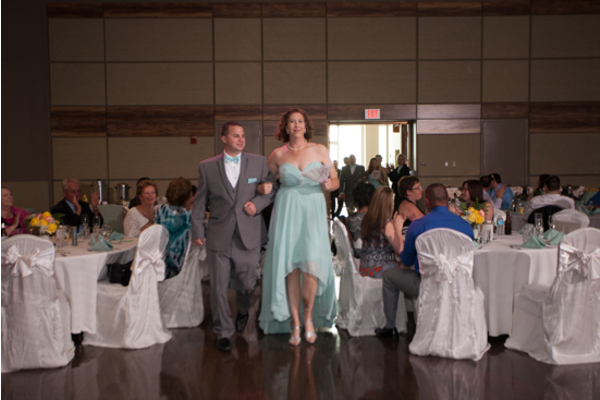 Congratulations to Tiffany and Kyle on their wedding! 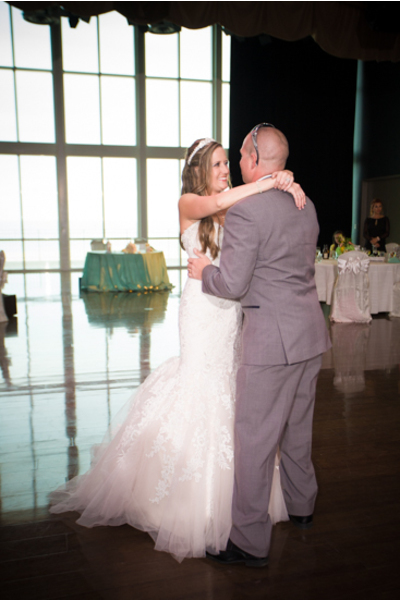 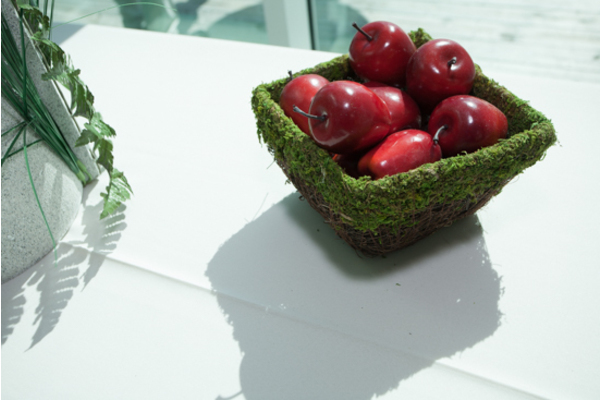 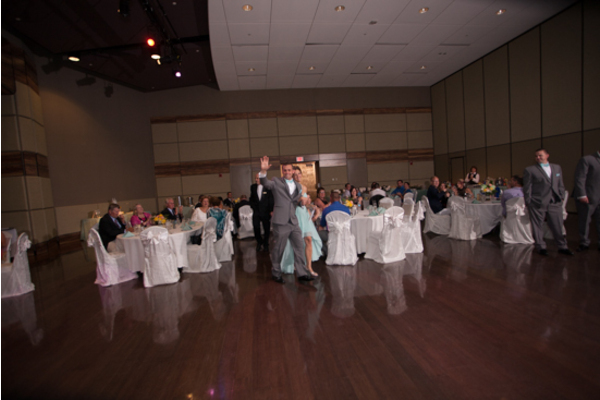 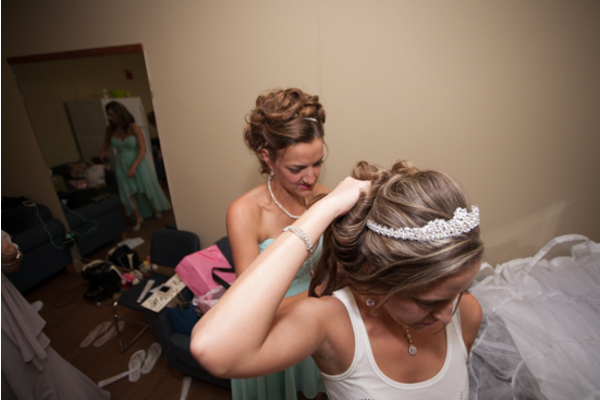 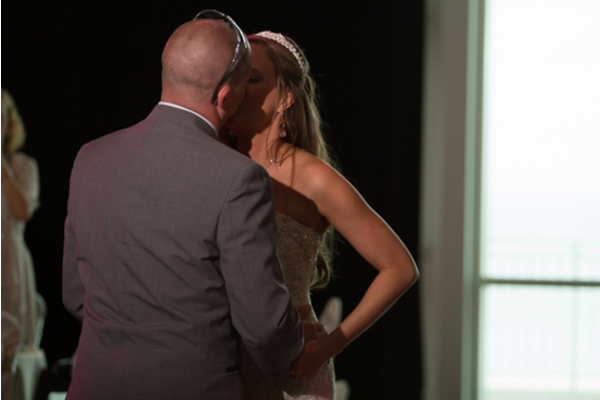 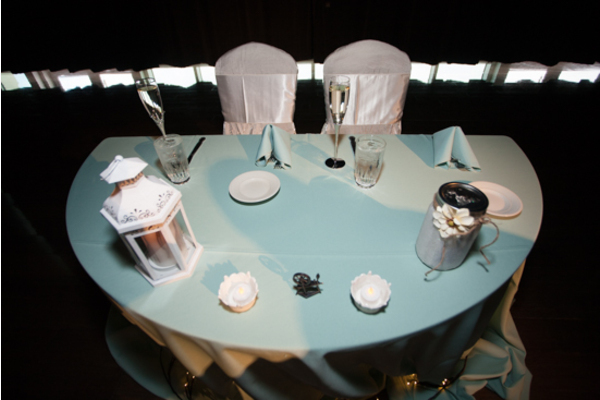 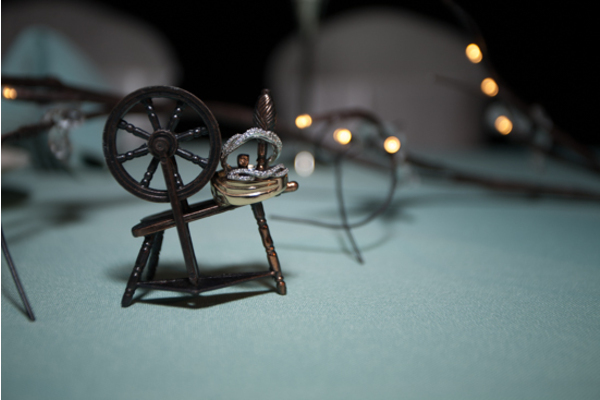 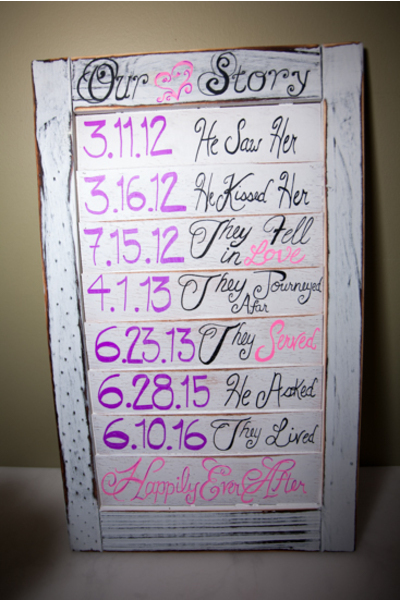 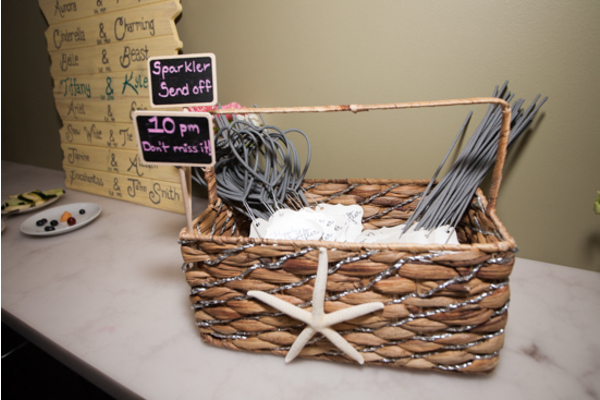 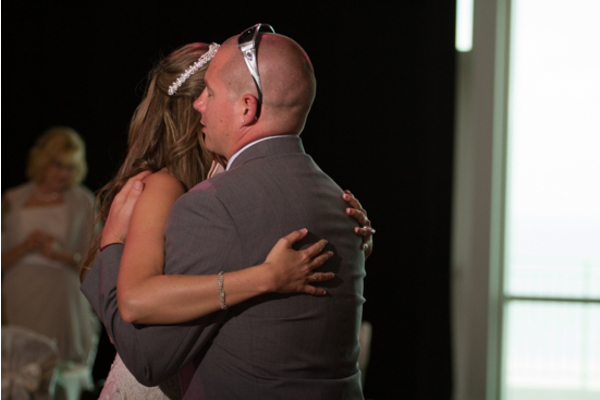 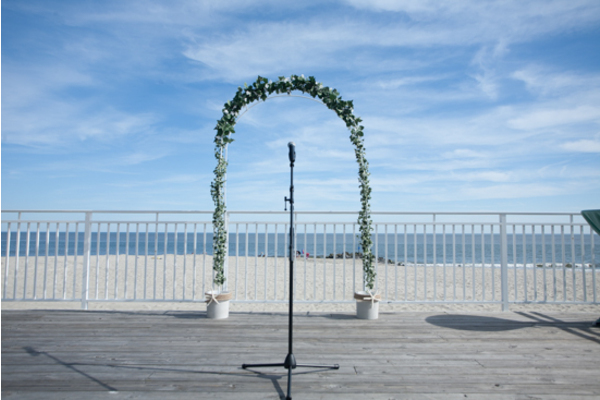 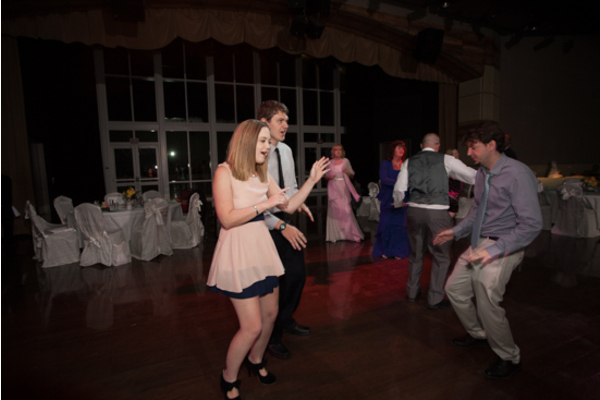 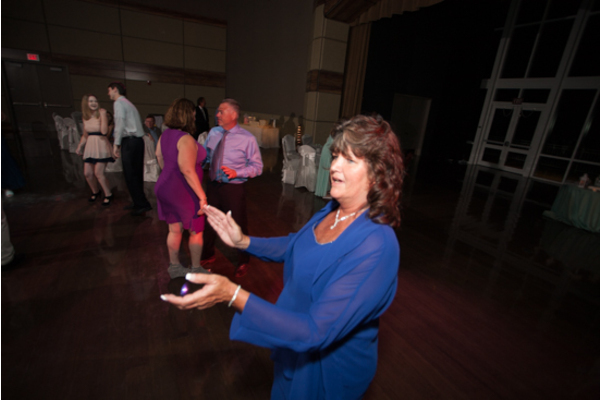 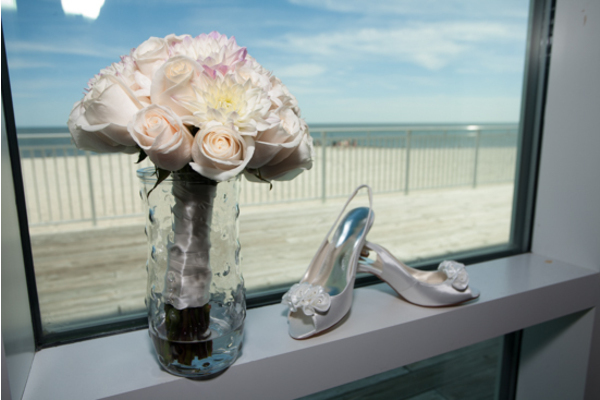 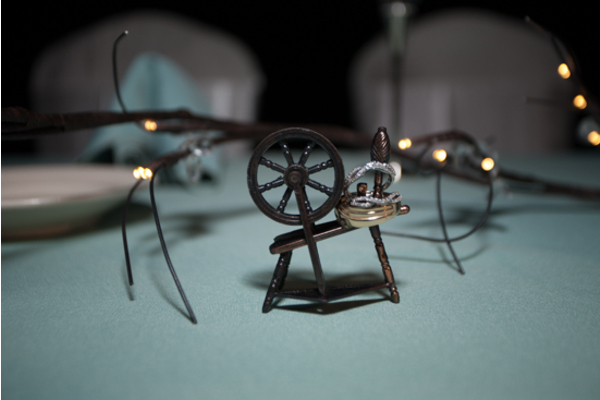 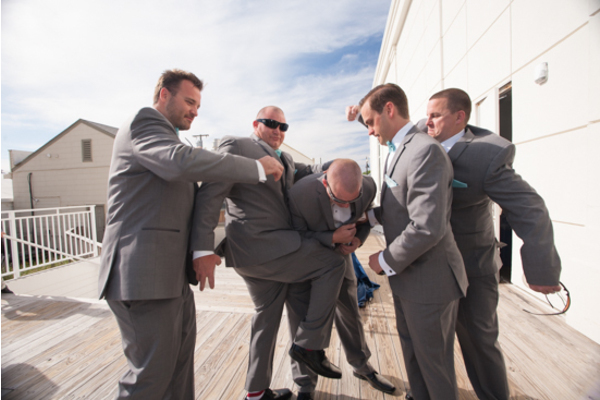 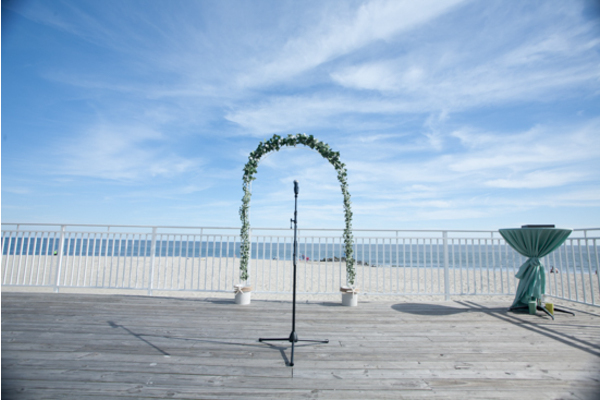 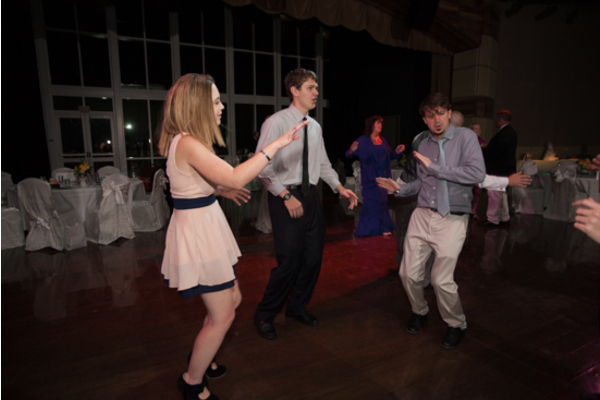 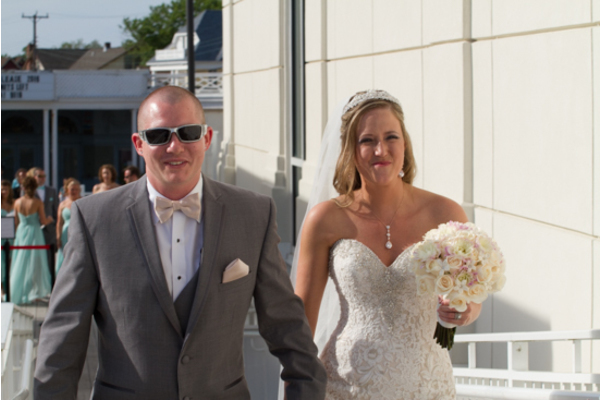 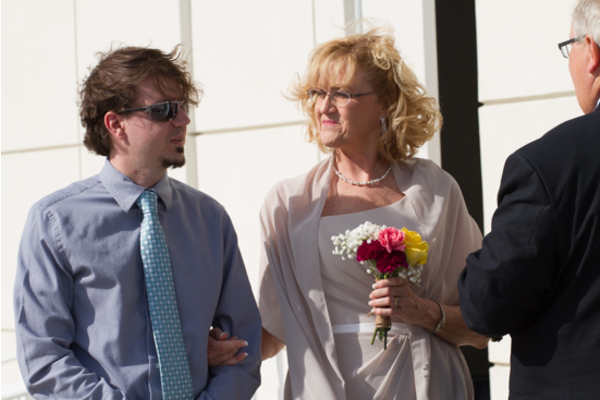 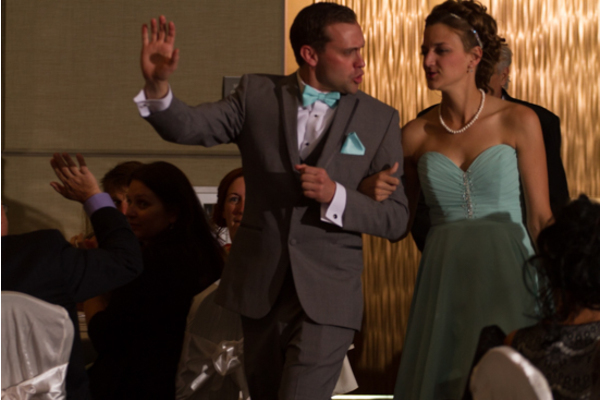 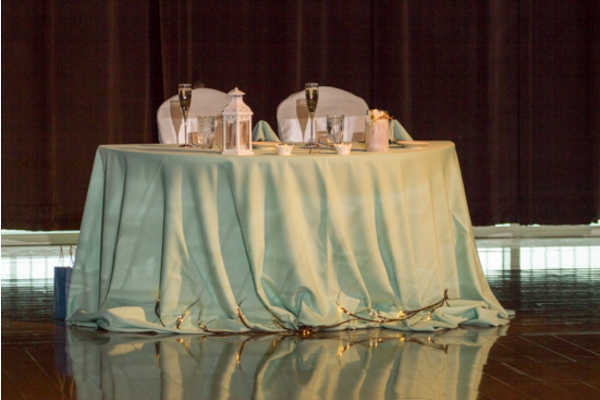 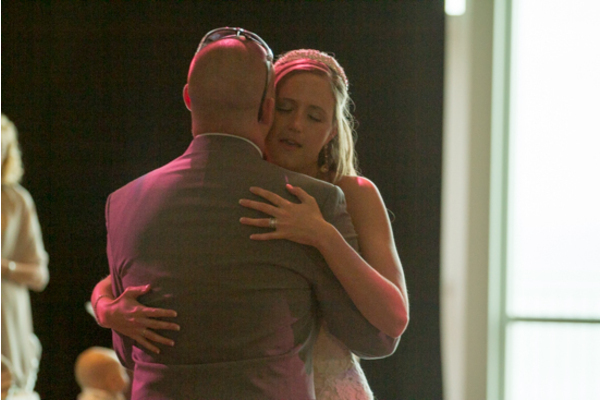 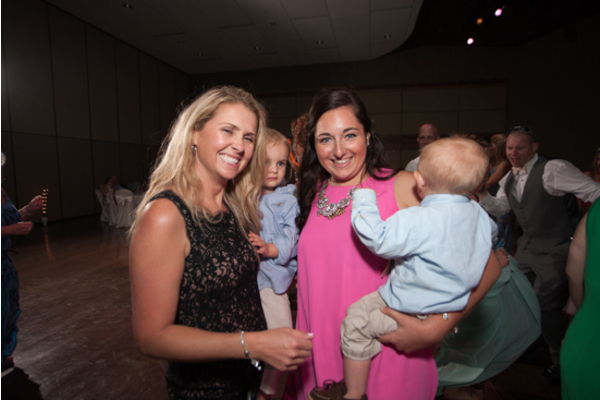 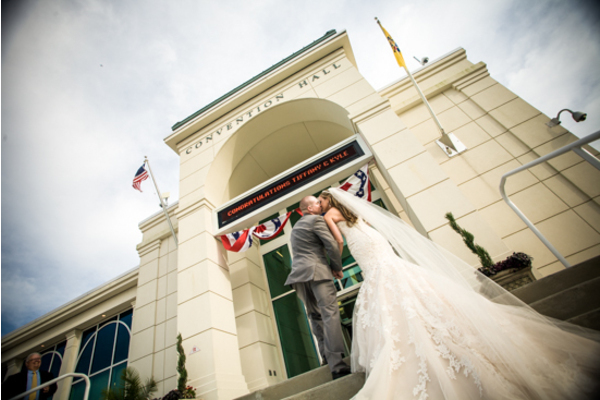 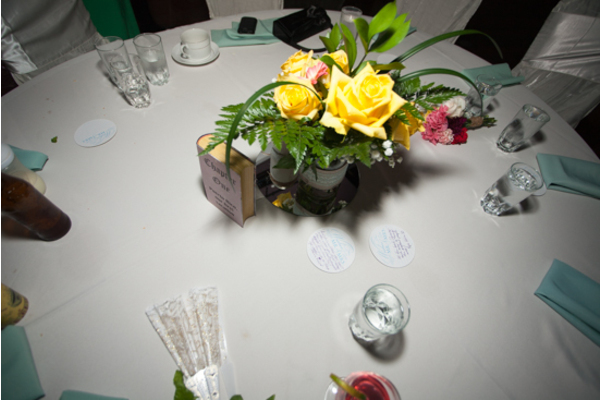 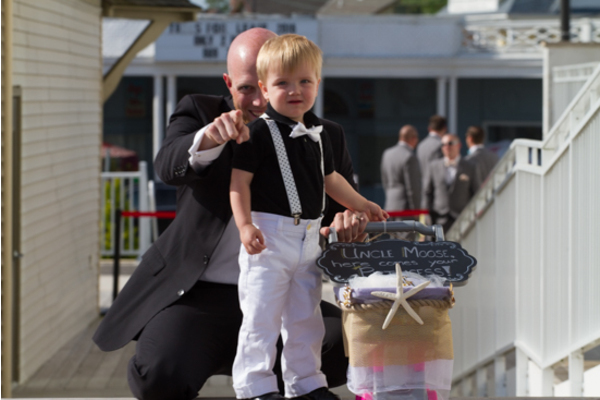 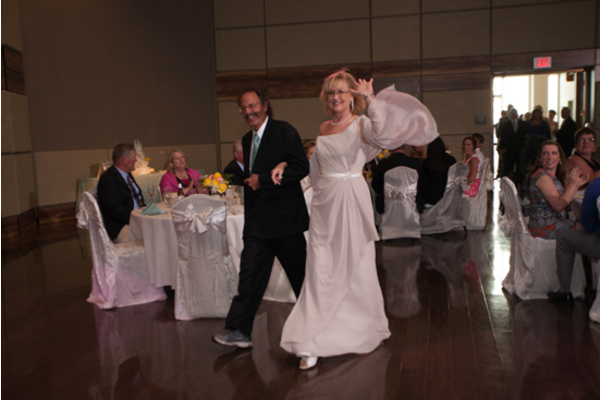 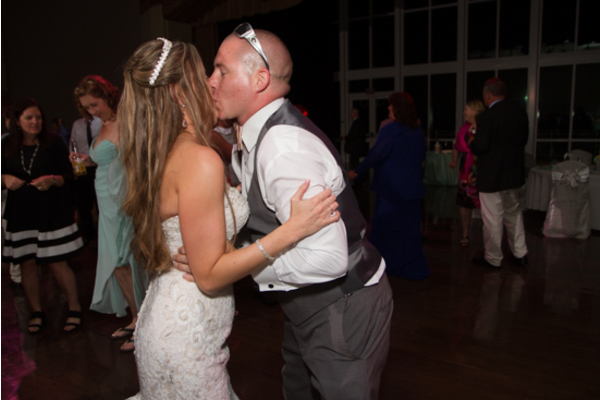 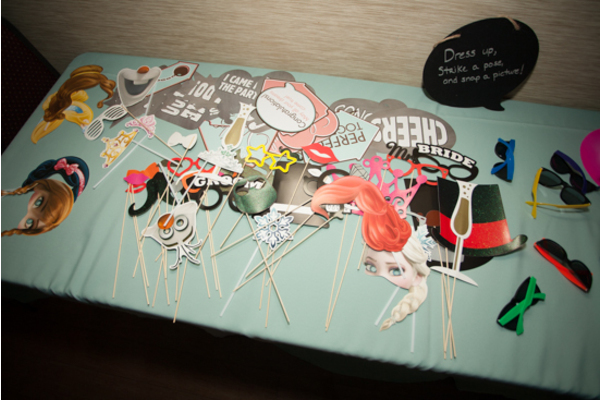 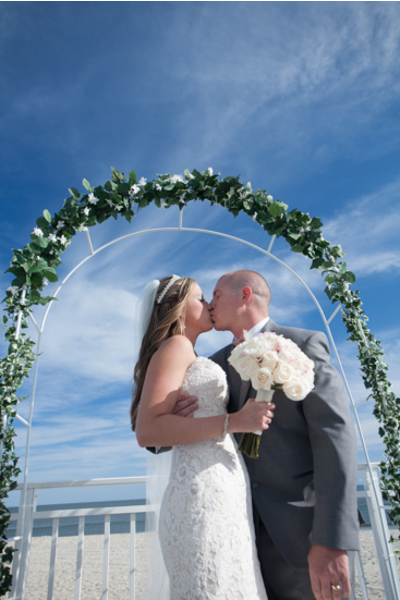 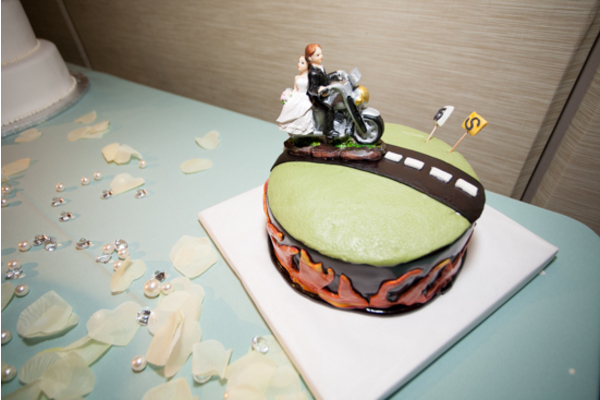 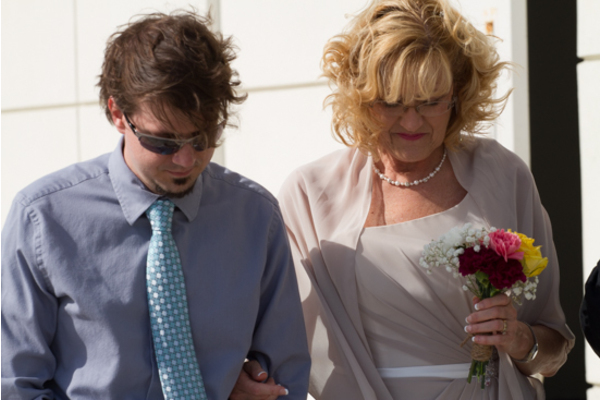 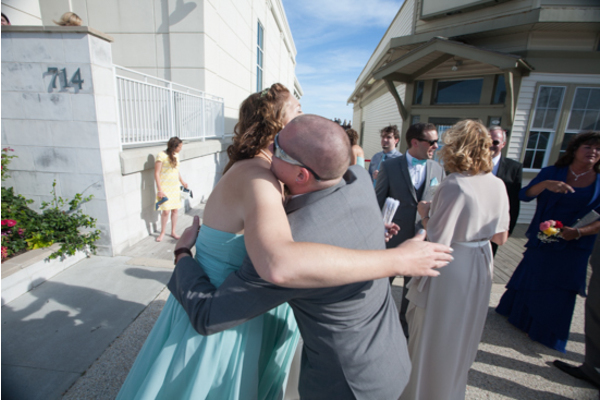 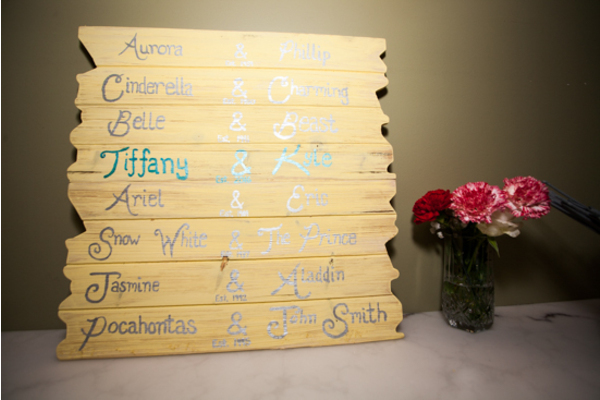 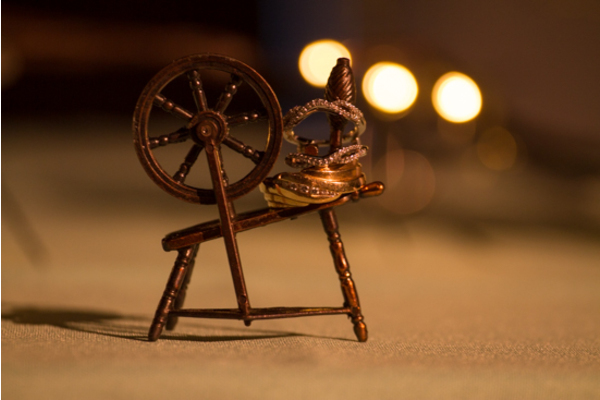 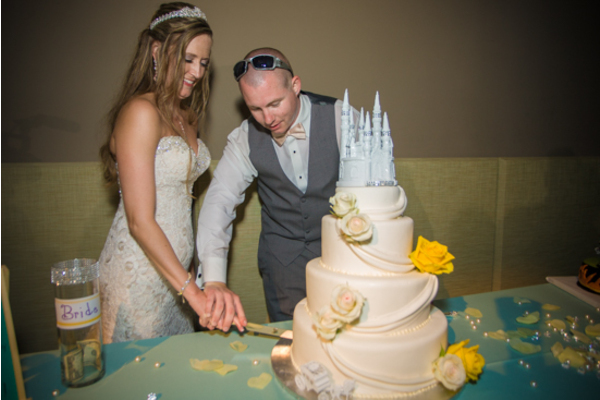 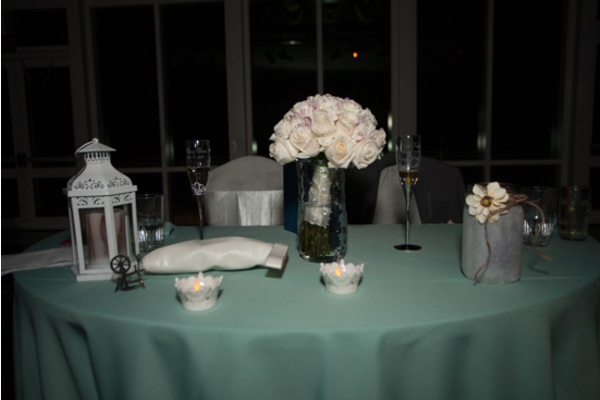 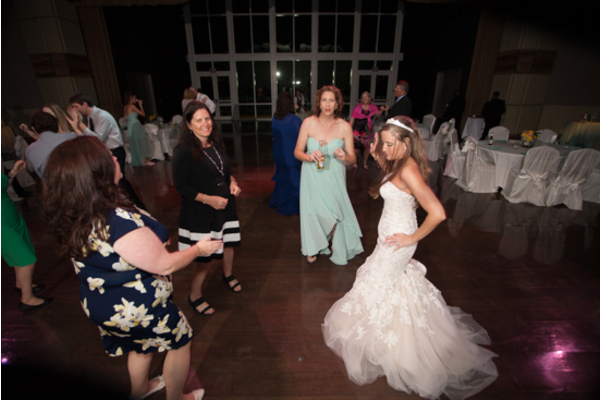 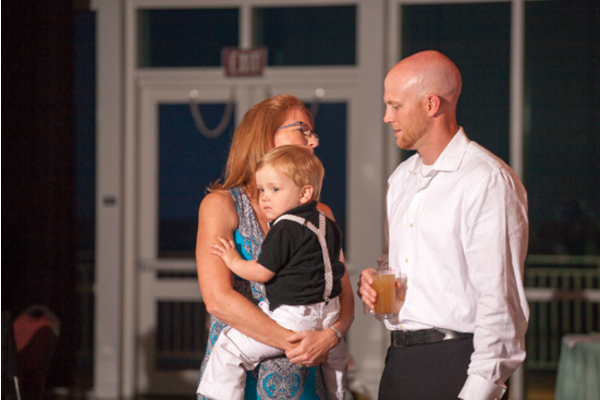 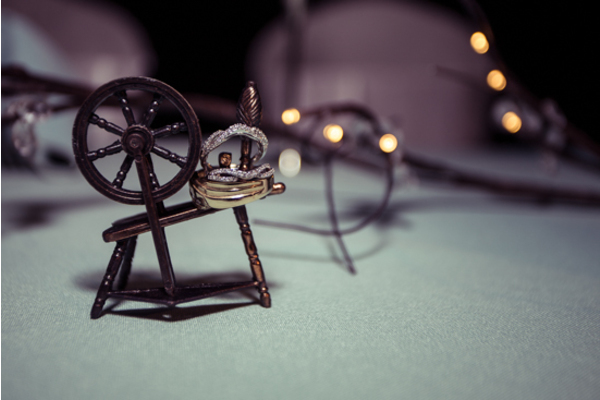 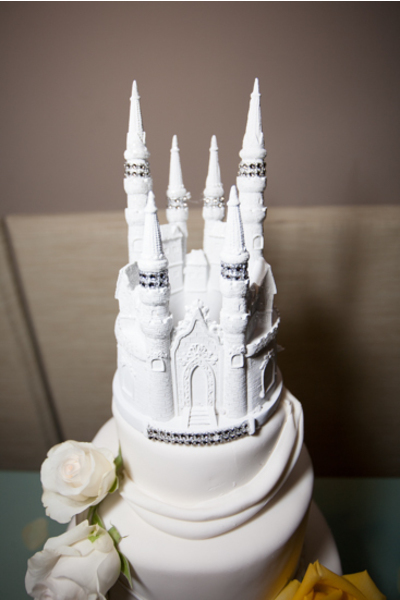 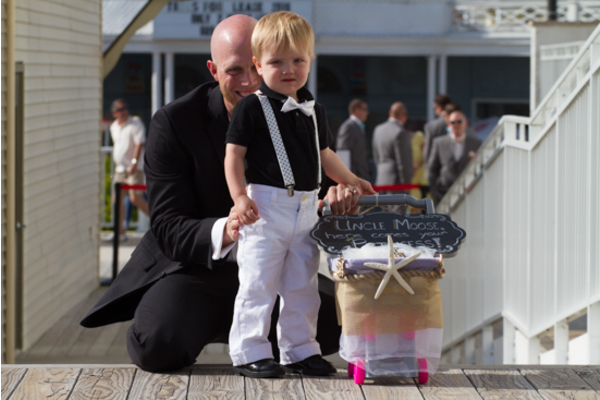 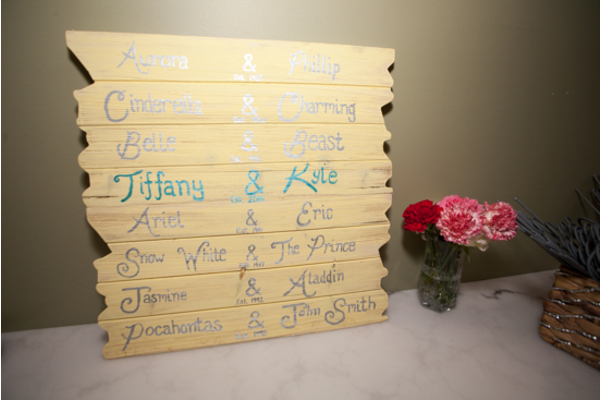 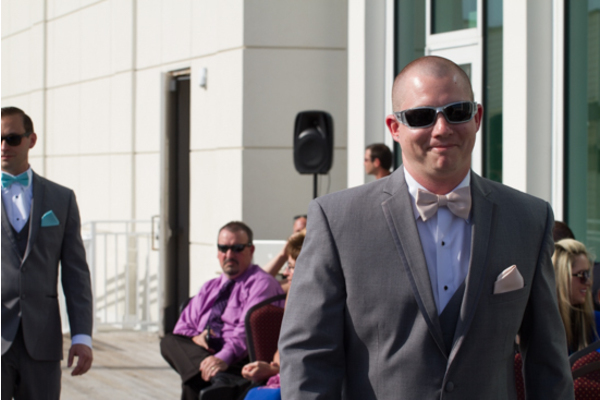 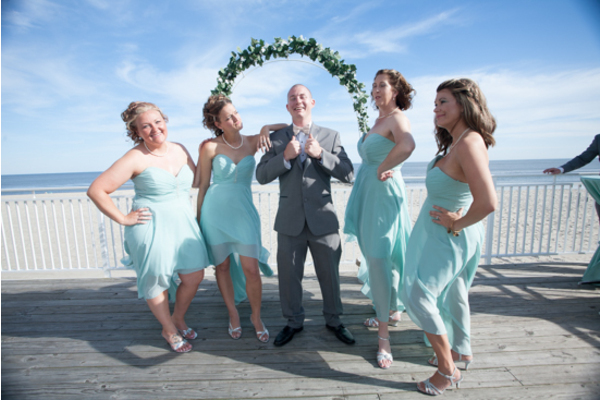 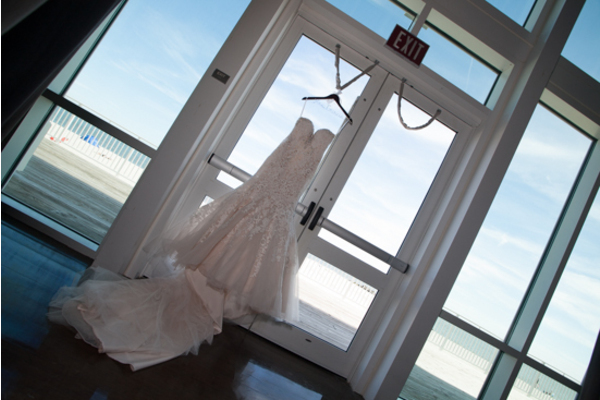 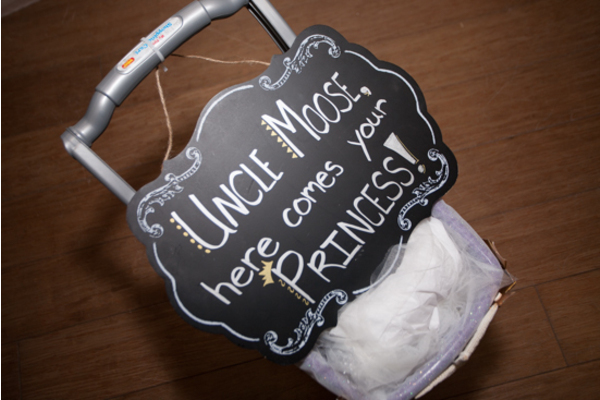 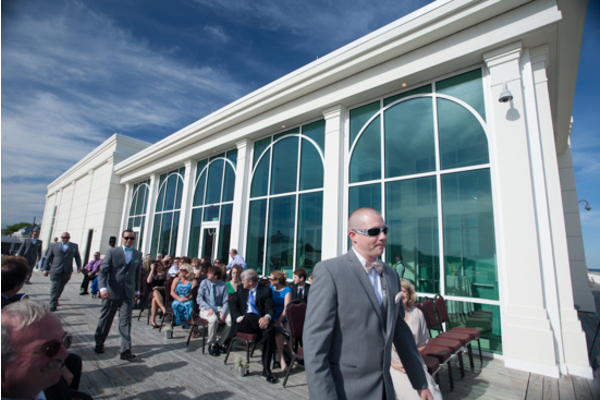 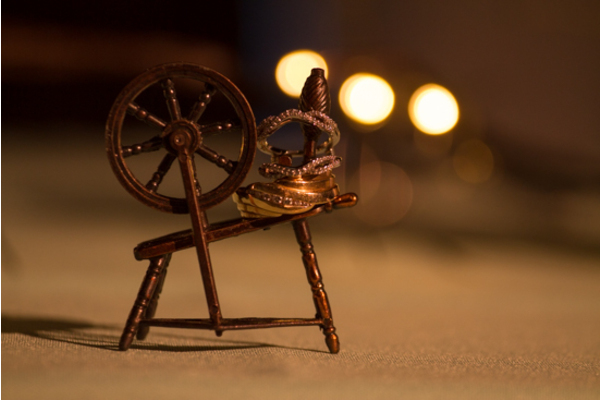 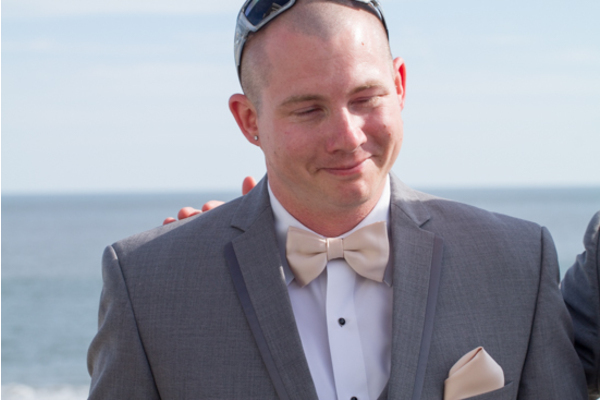 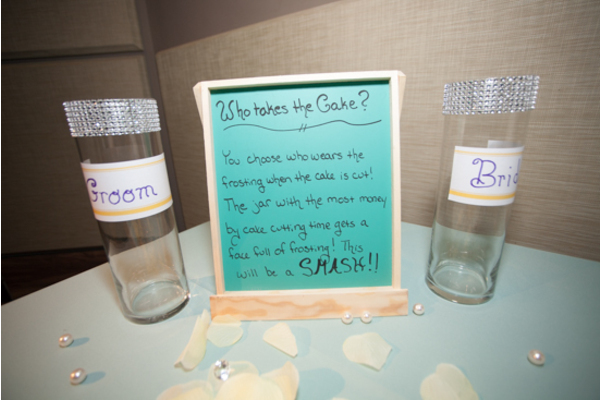 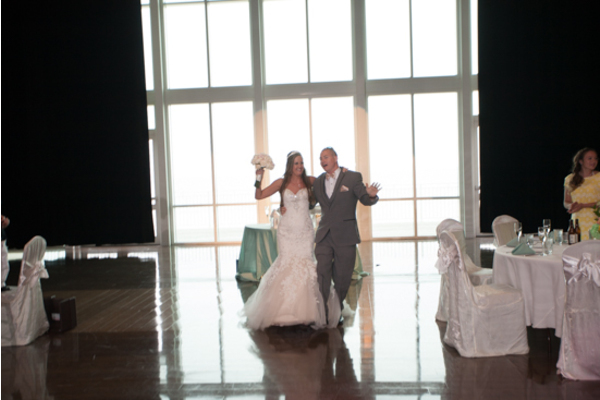 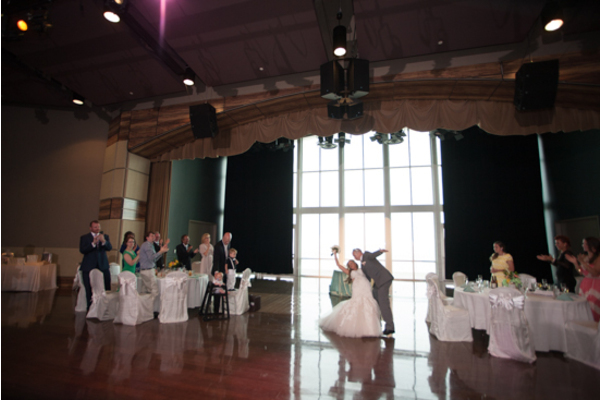 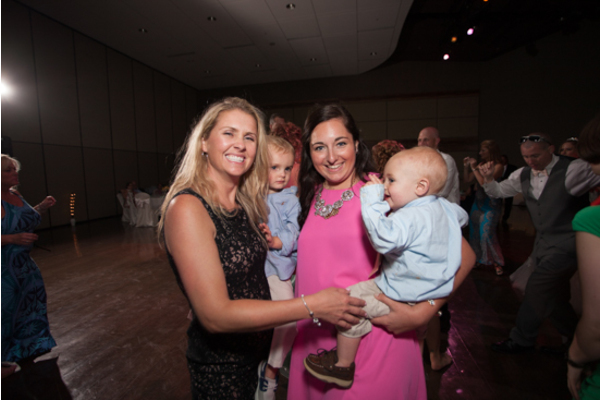 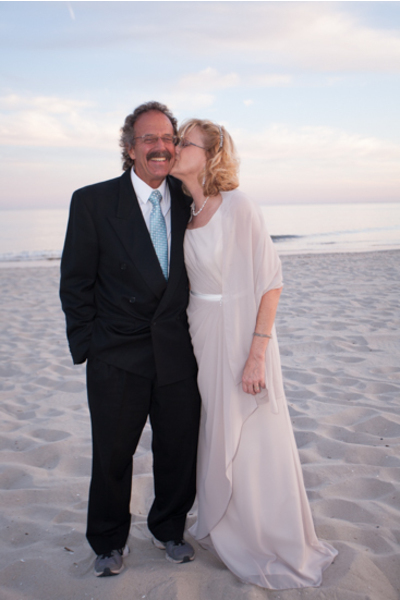 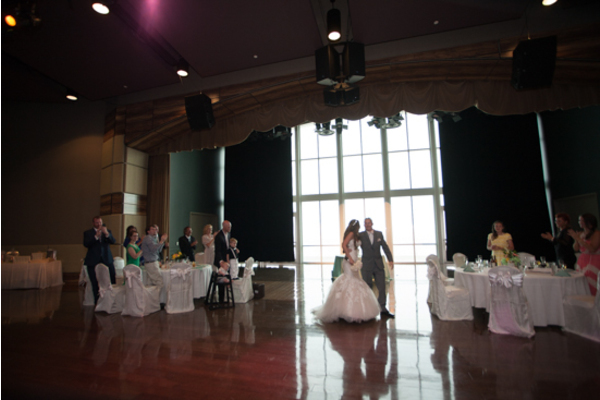 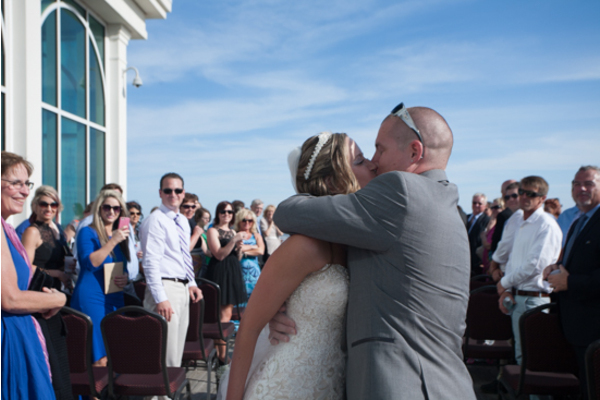 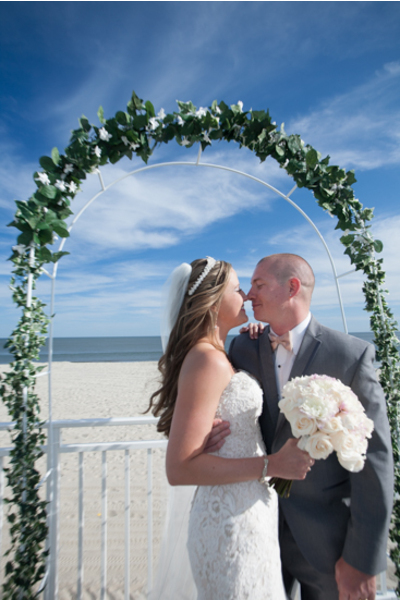 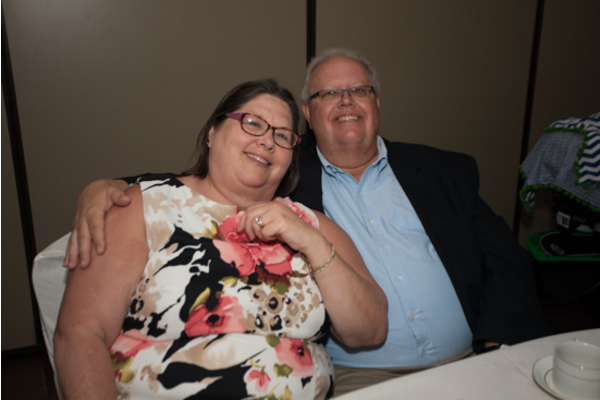 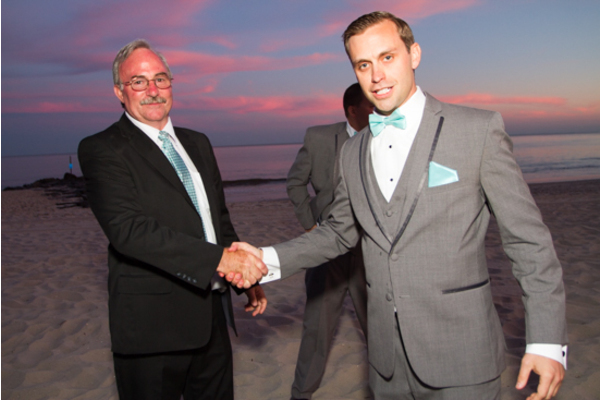 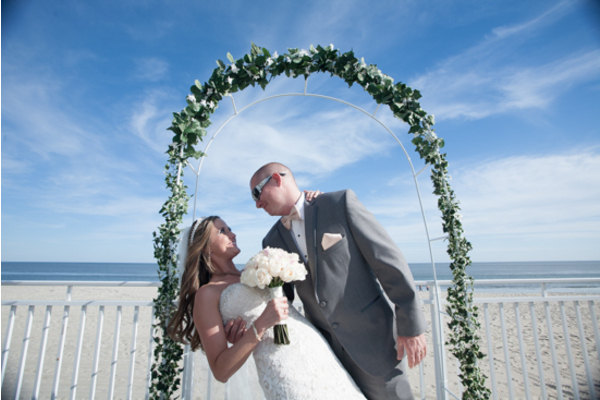 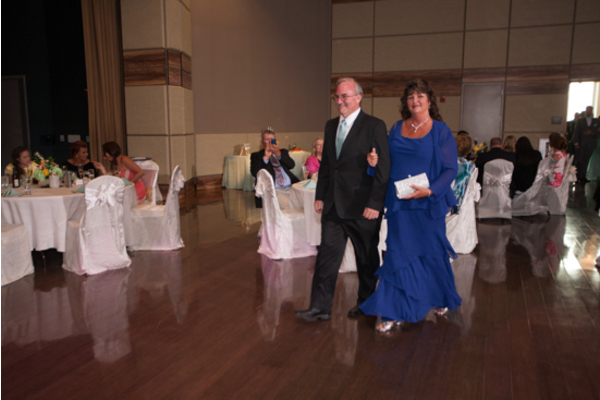 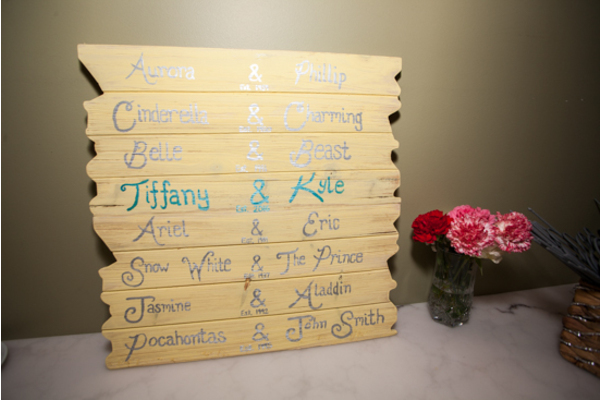 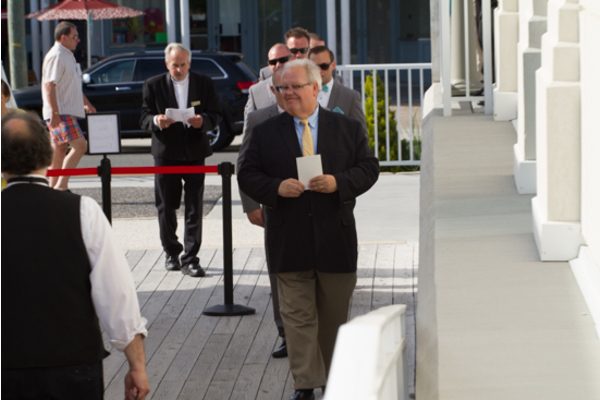 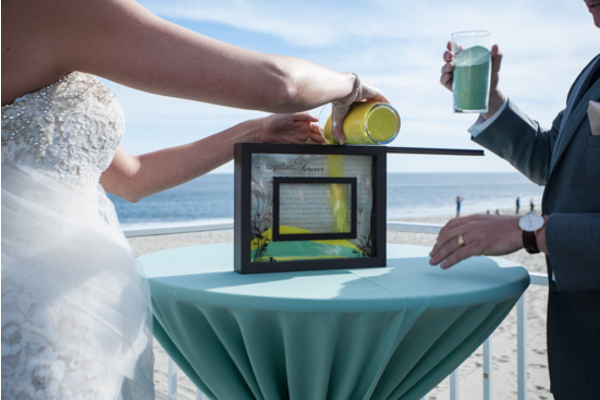 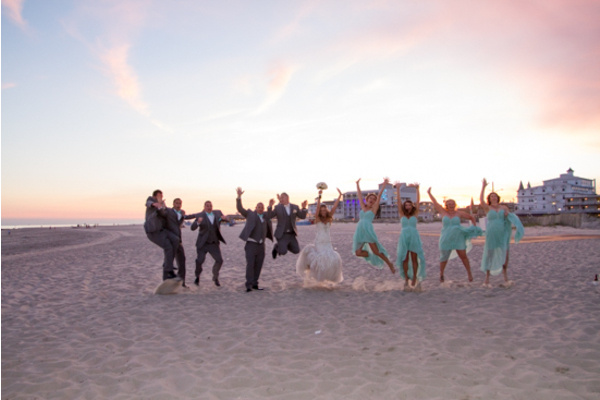 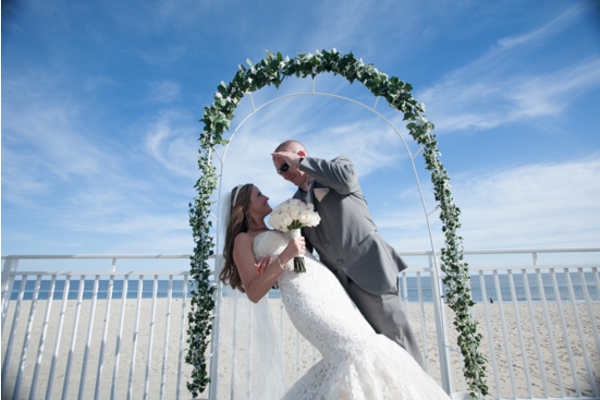 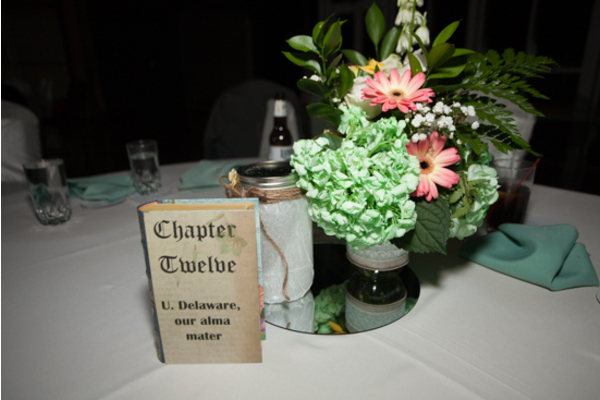 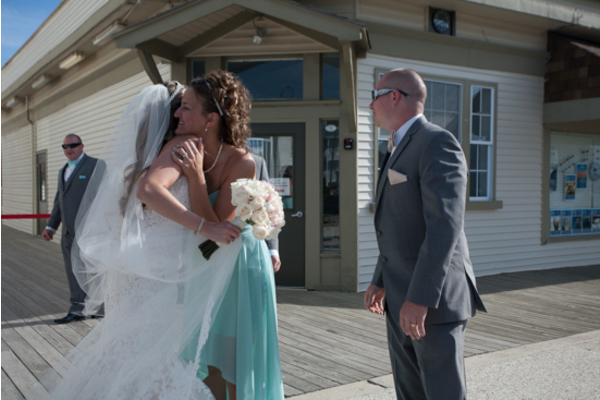 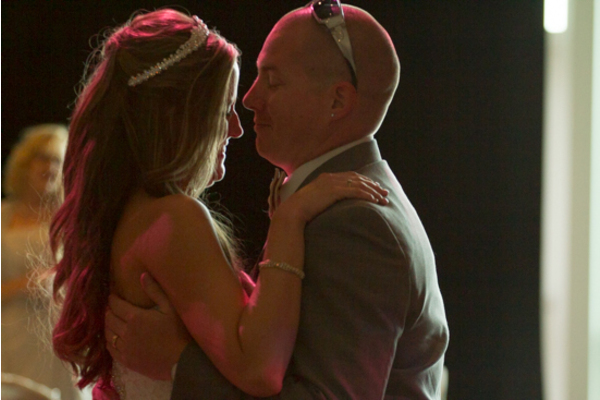 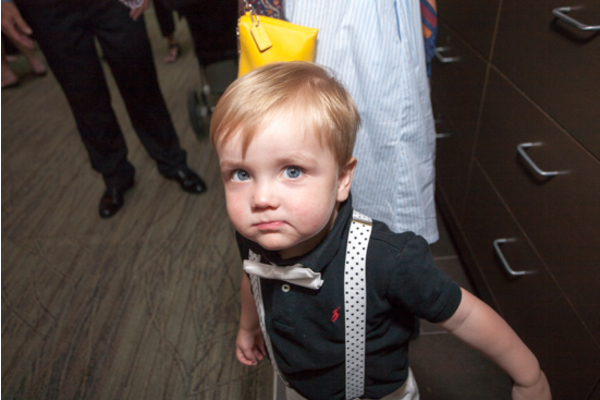 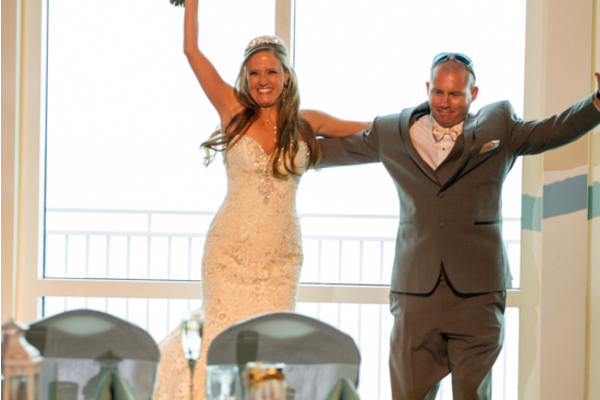 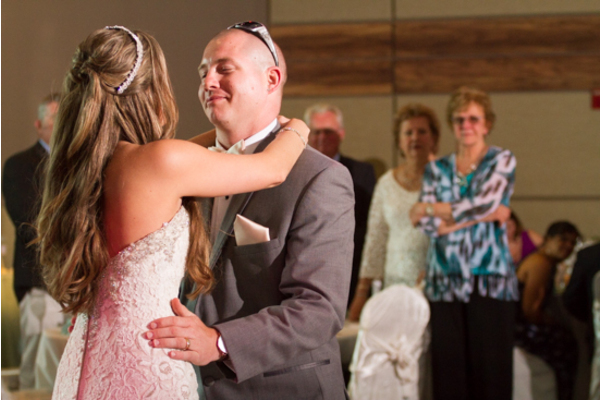 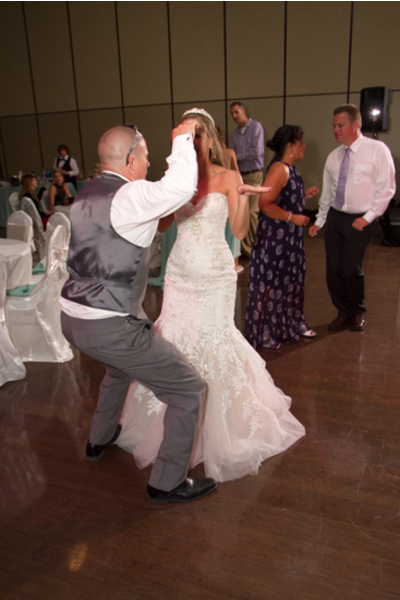 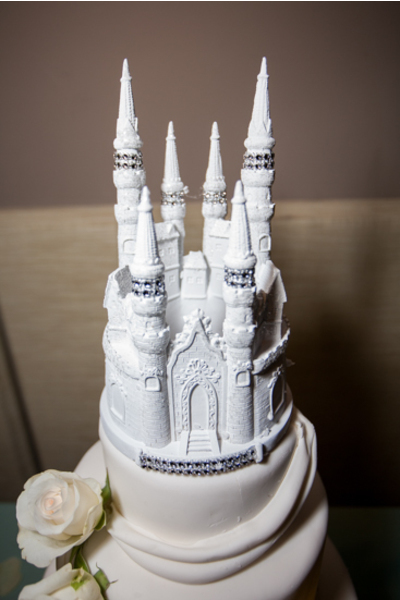 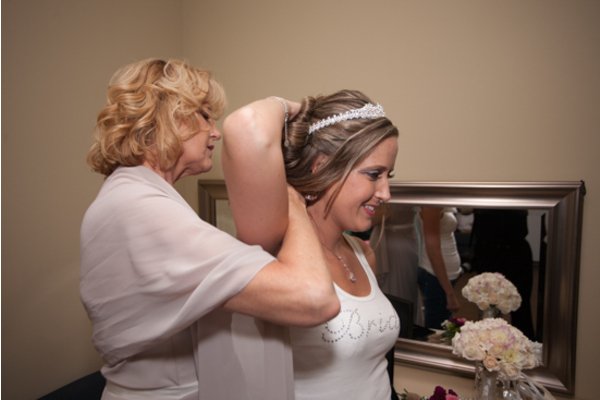 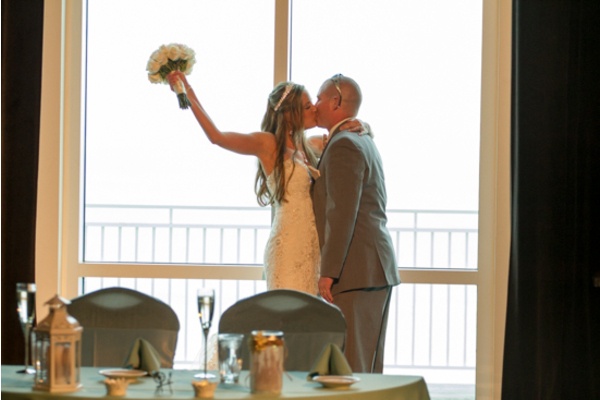 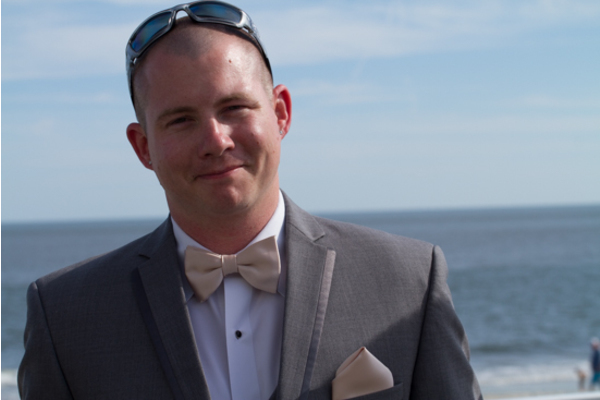 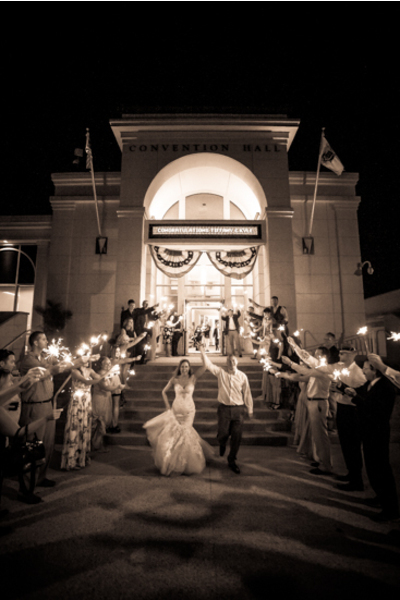 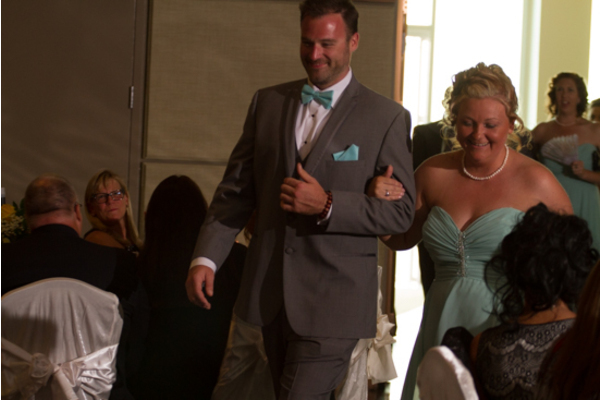 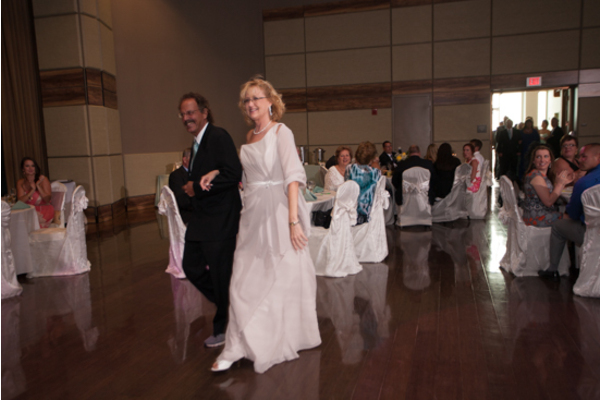 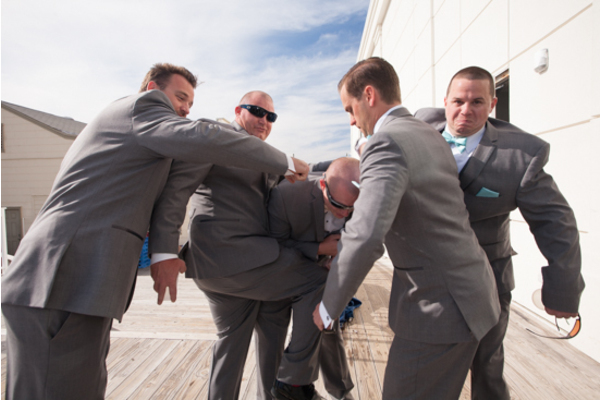 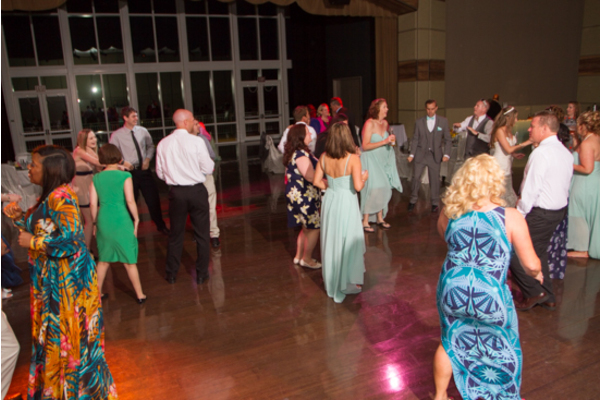 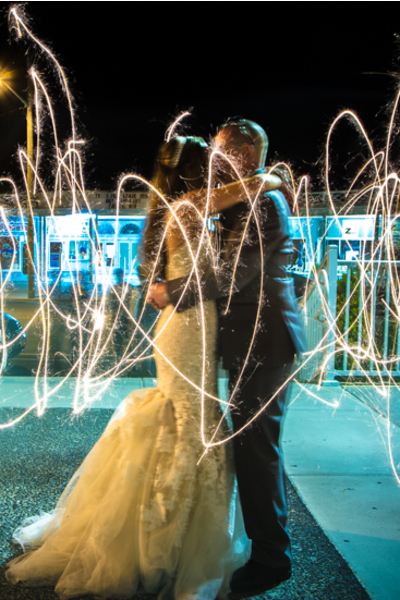 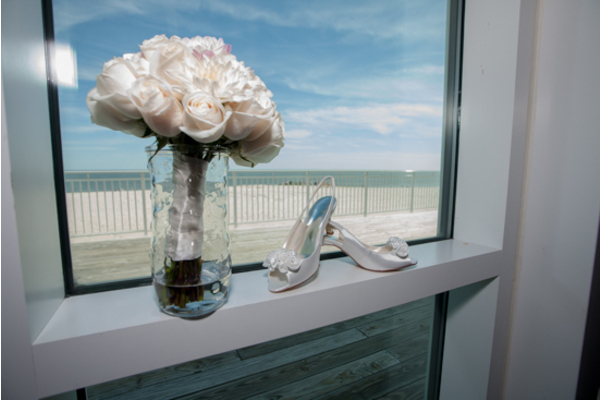 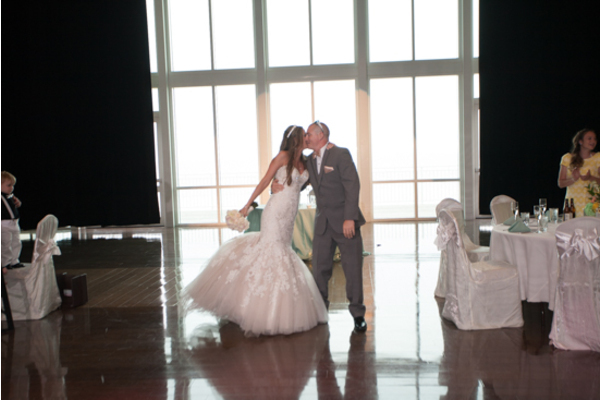 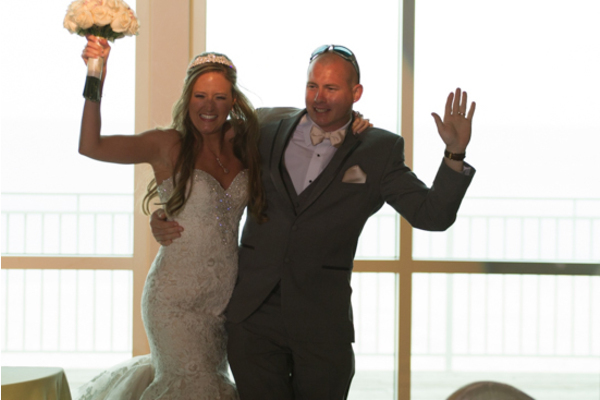 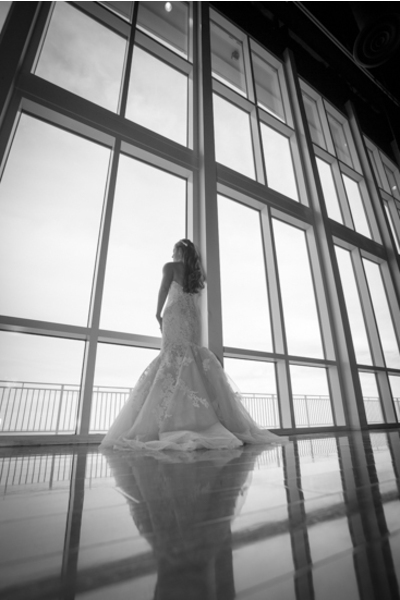 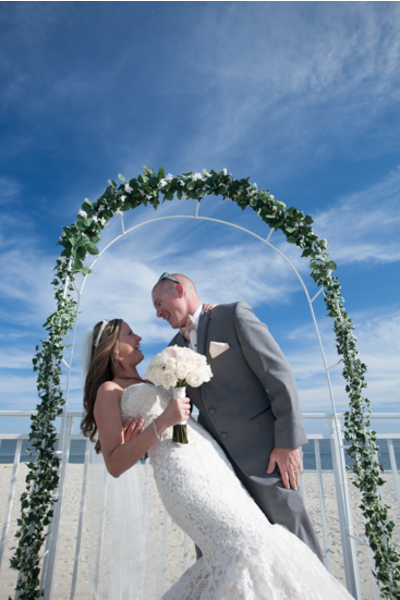 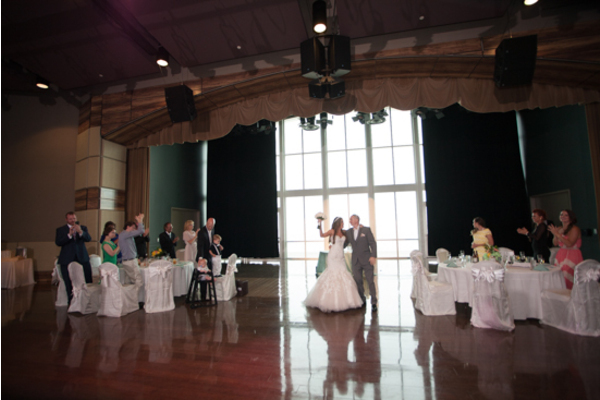 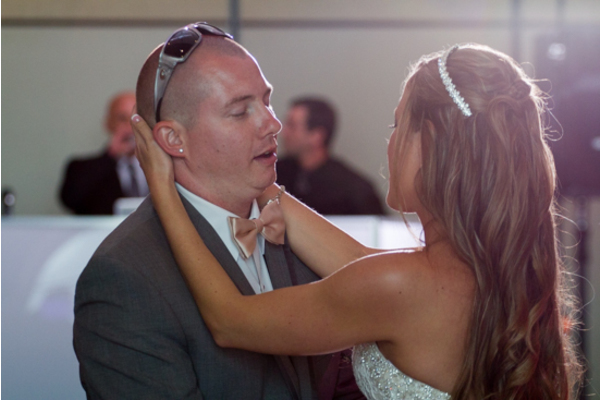 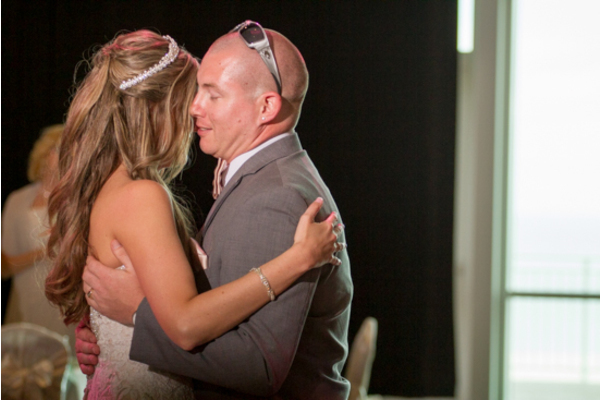 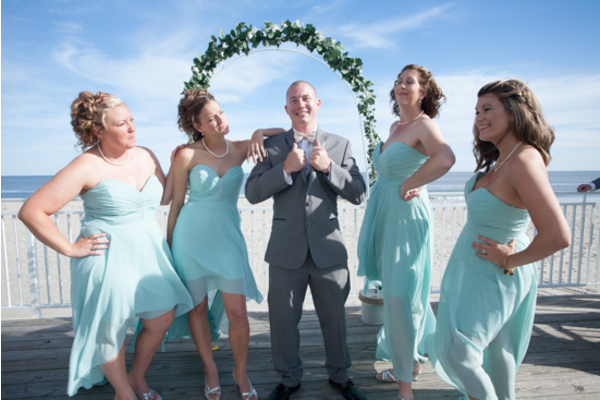 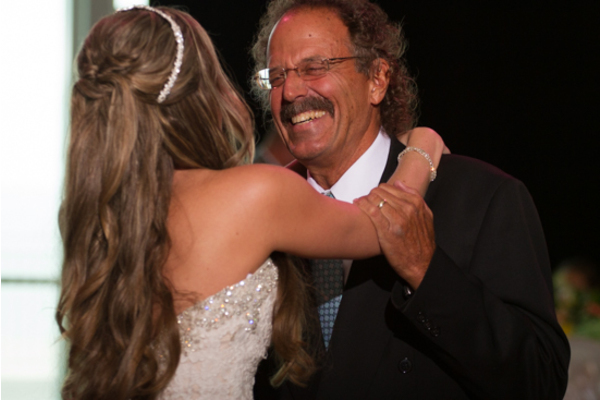 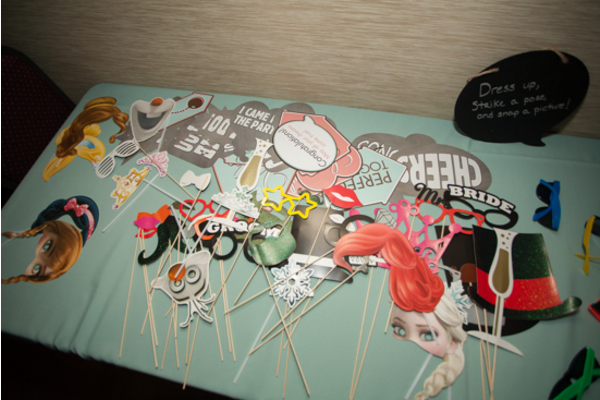 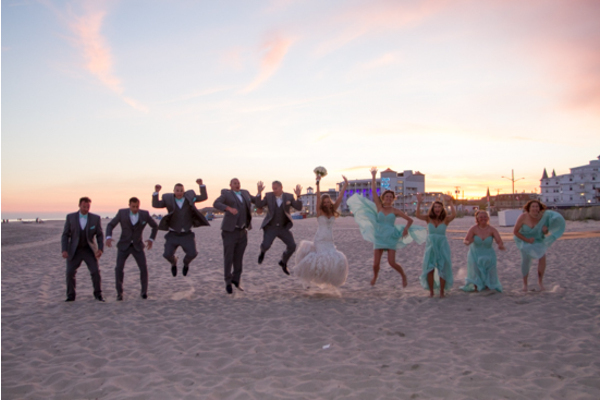 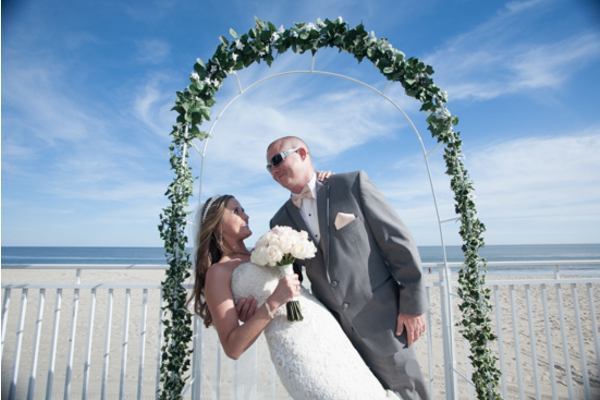 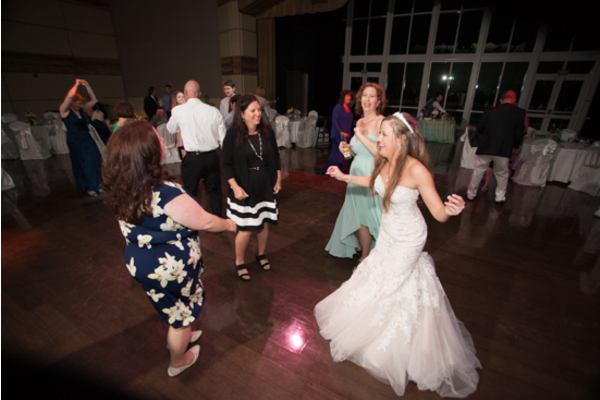 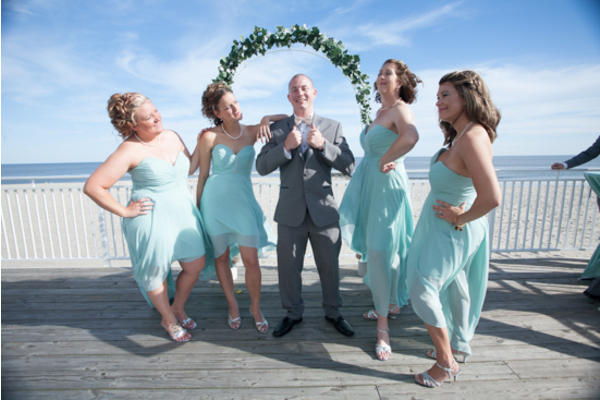 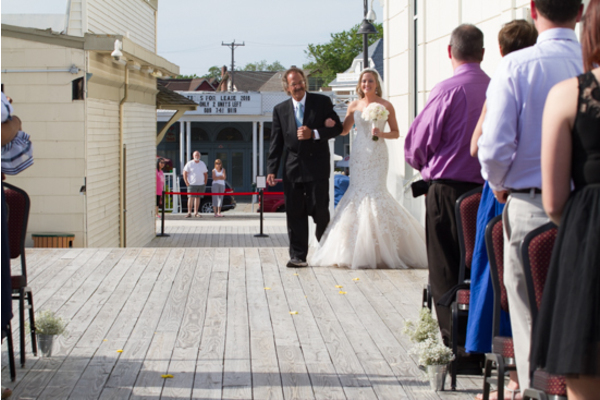 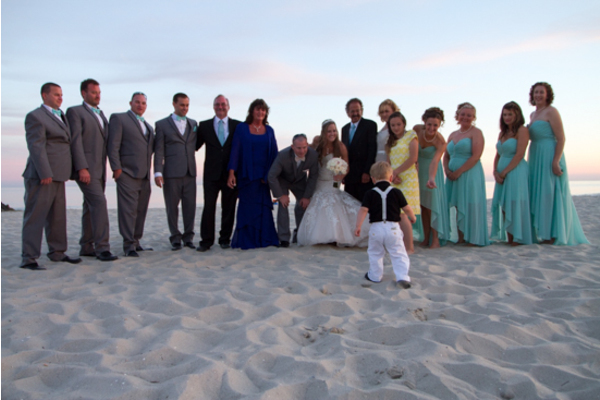 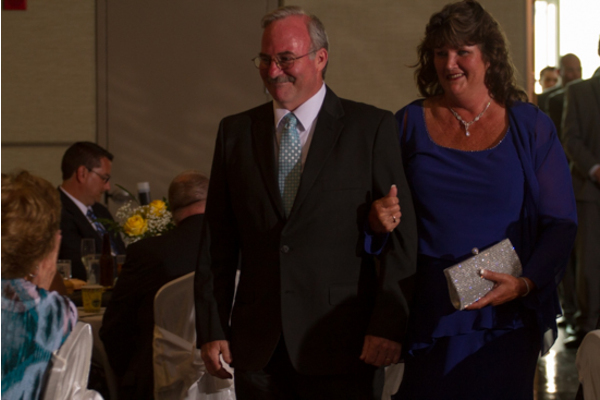 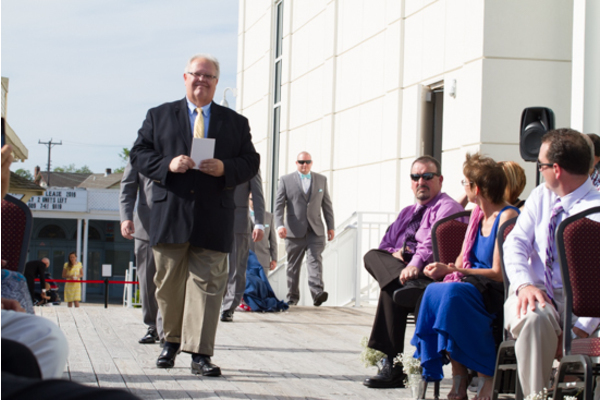 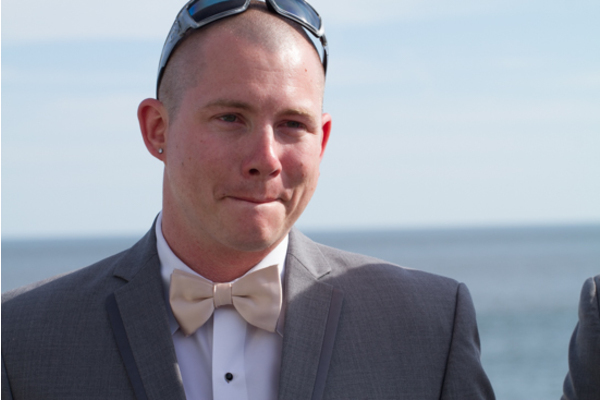 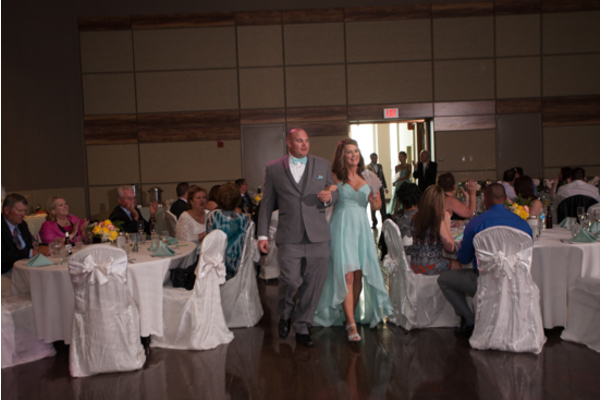 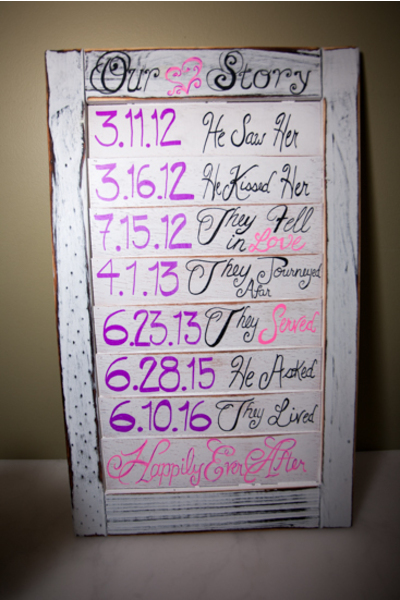 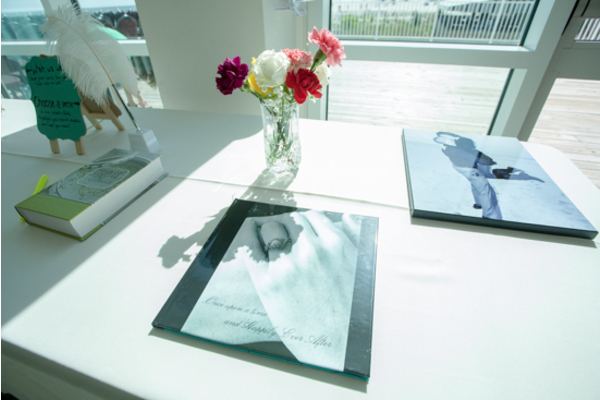 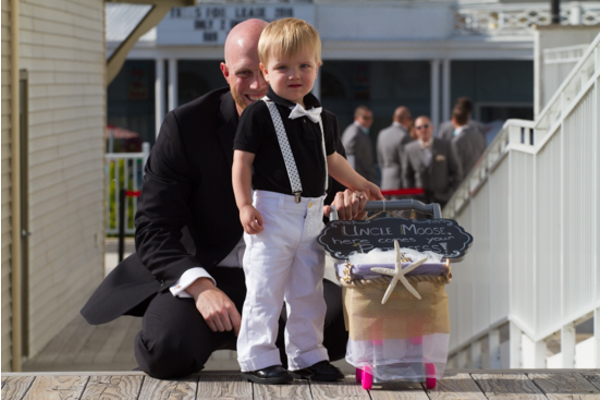 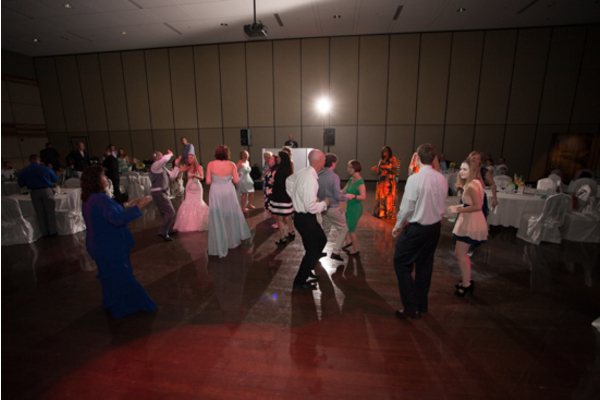 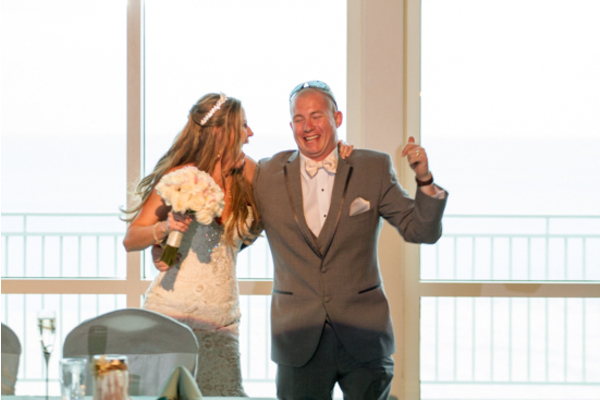 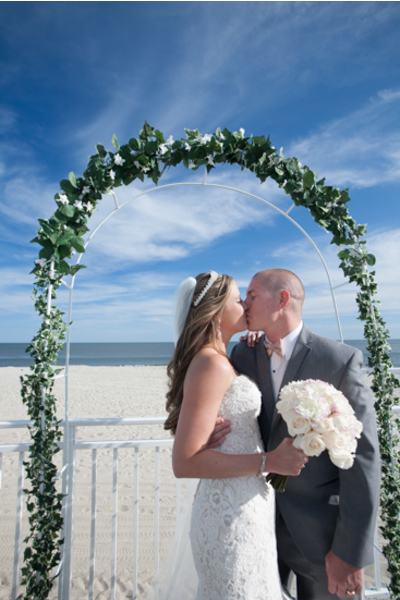 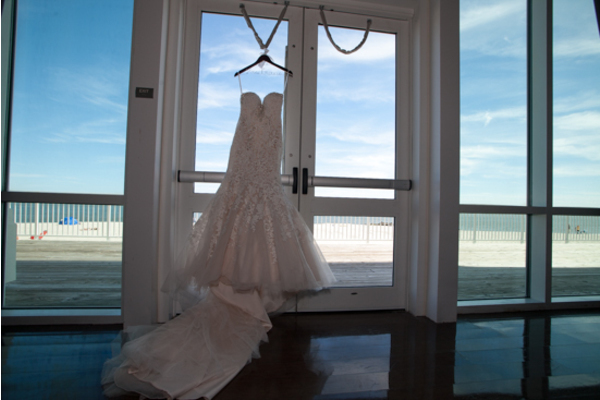 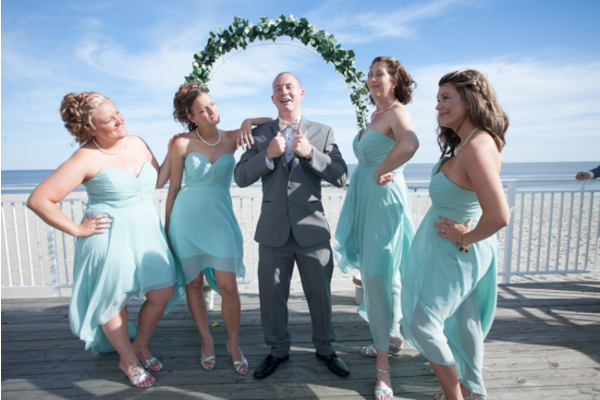 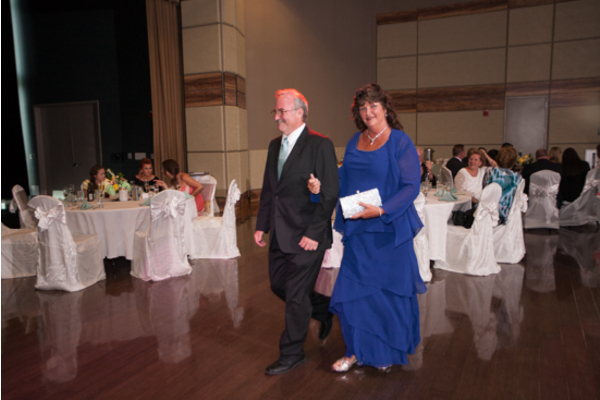 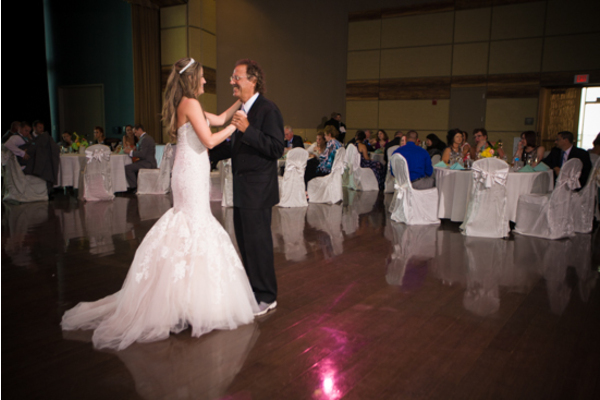 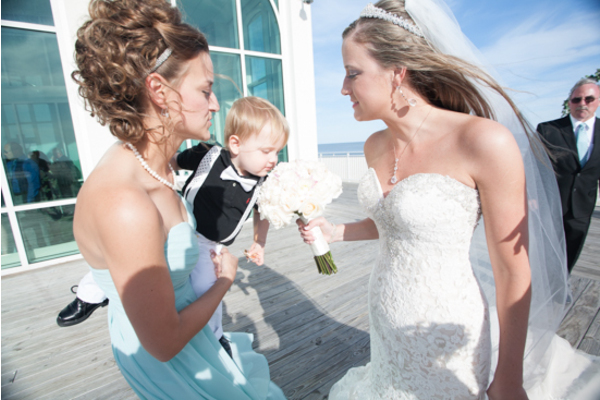 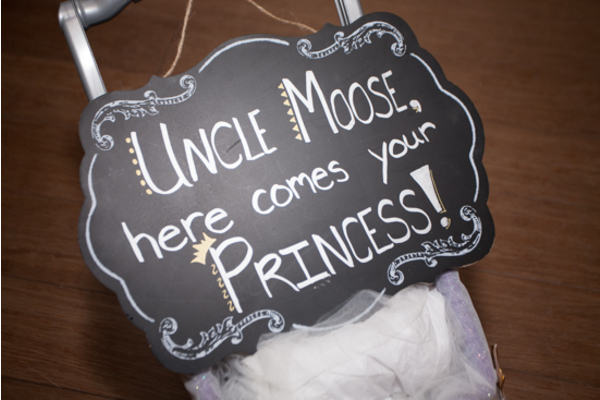 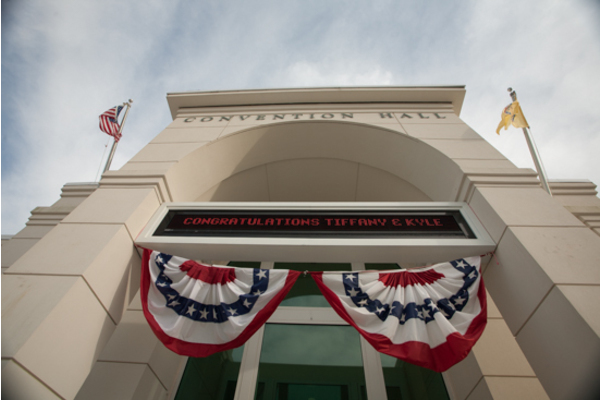 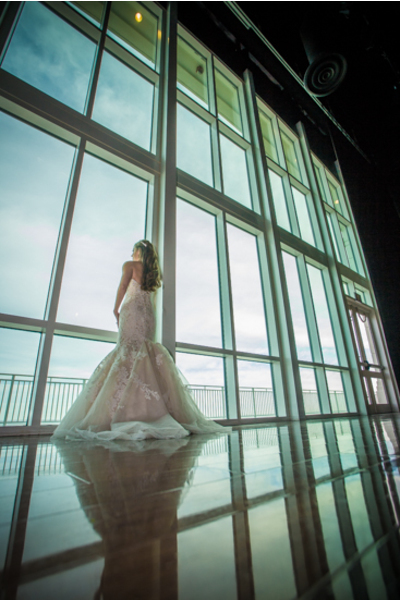 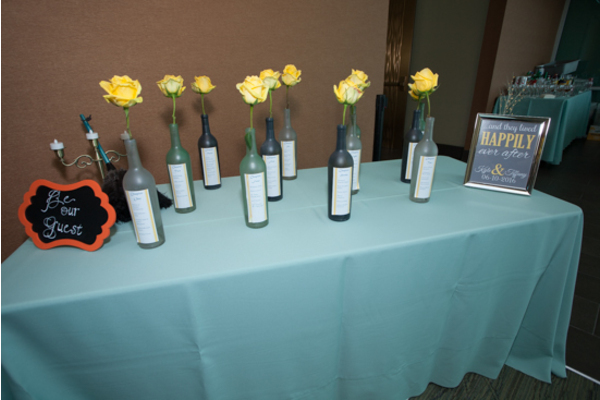 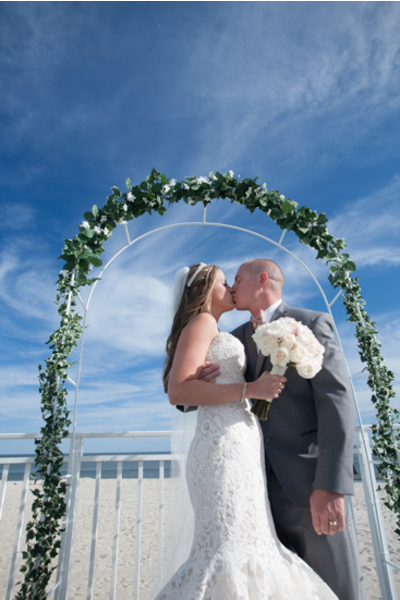 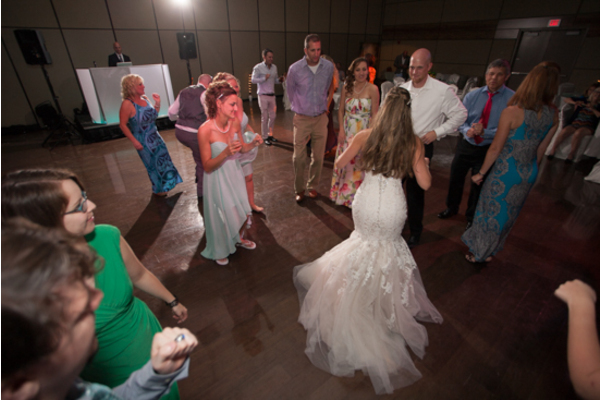 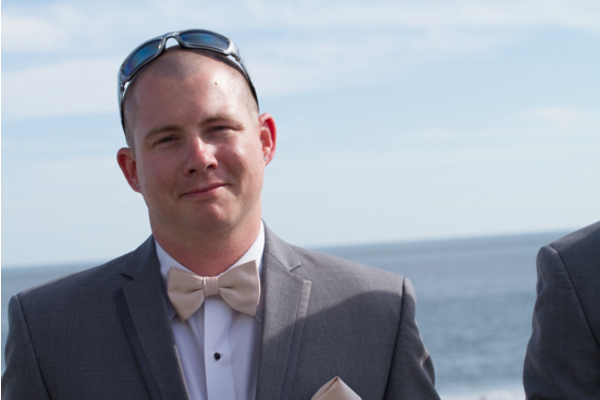 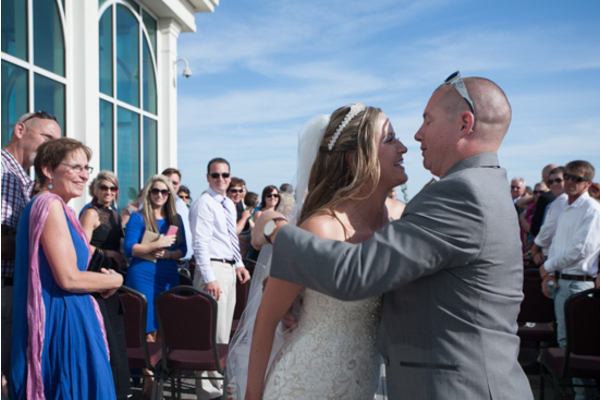 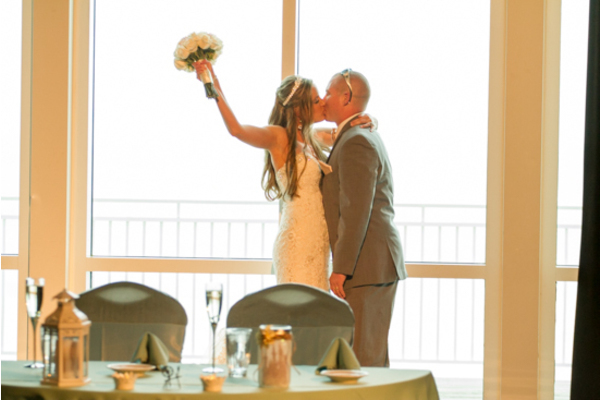 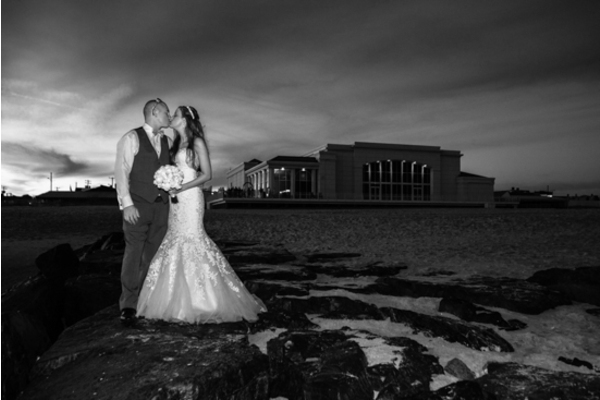 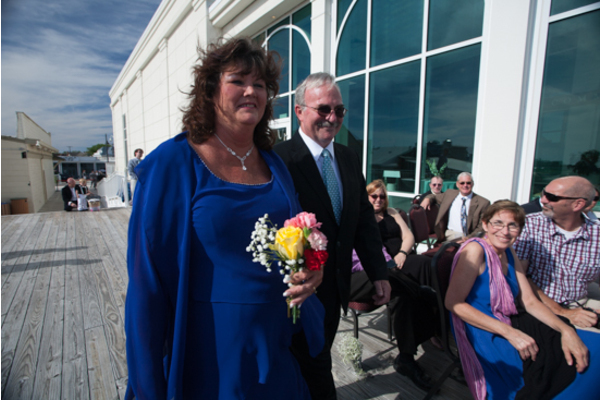 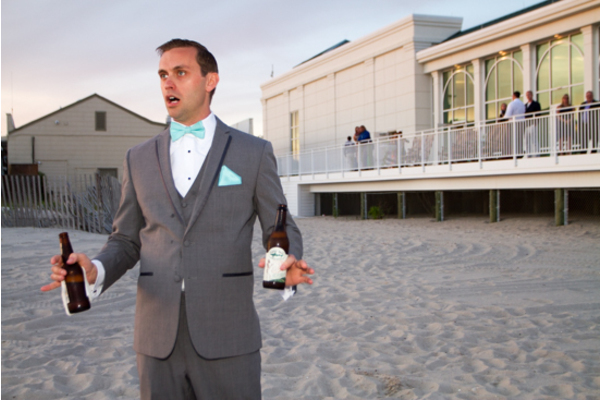 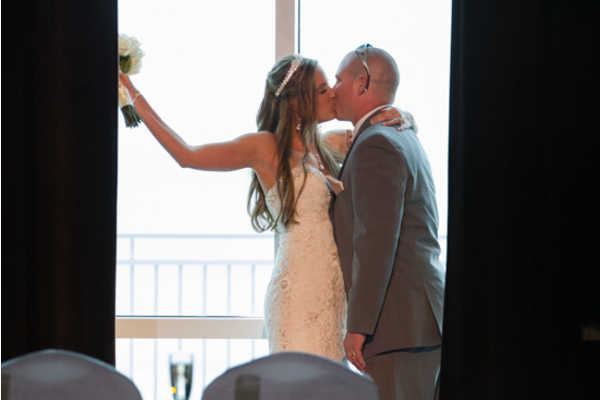 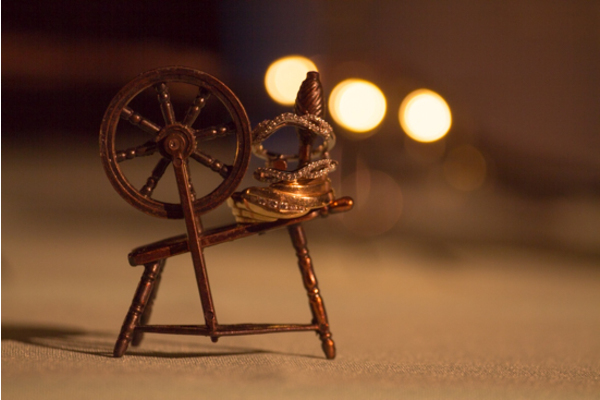 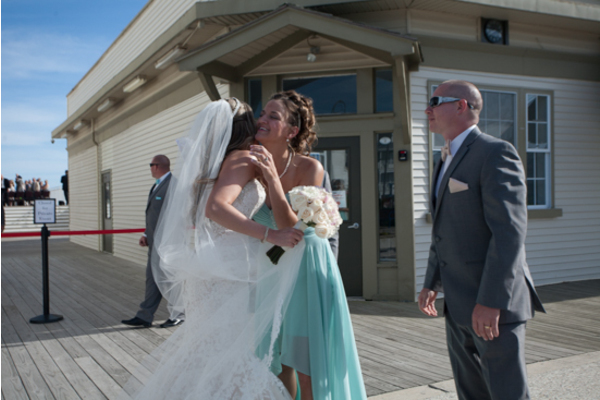 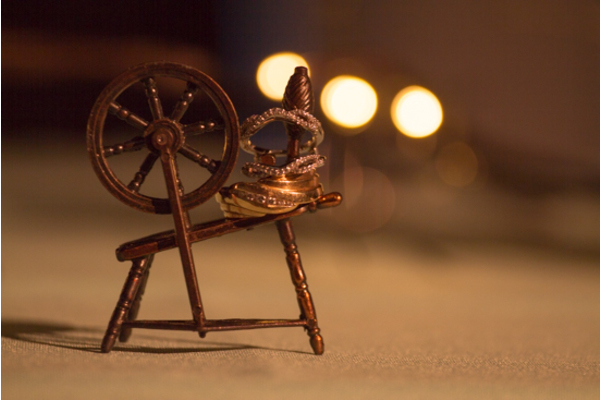 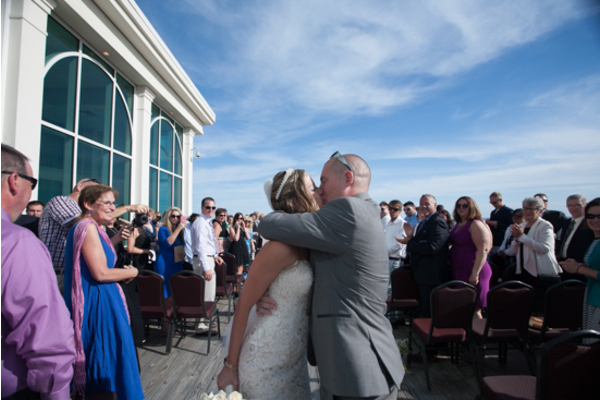 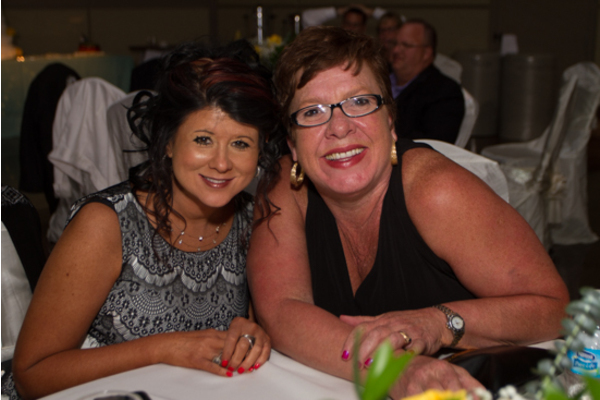 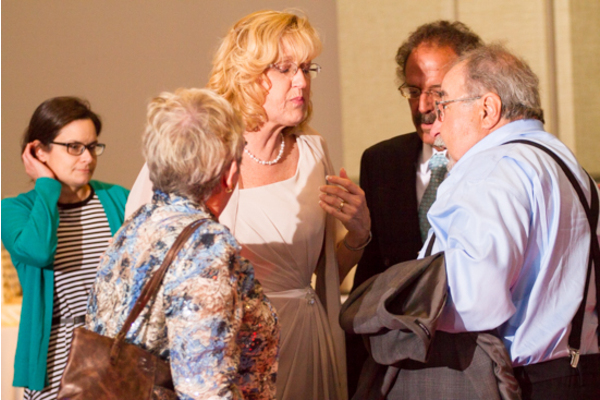 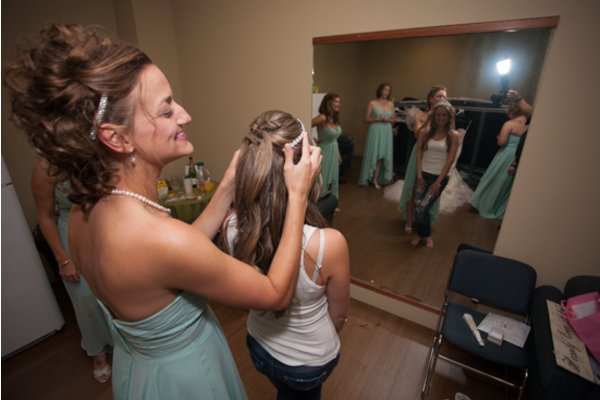 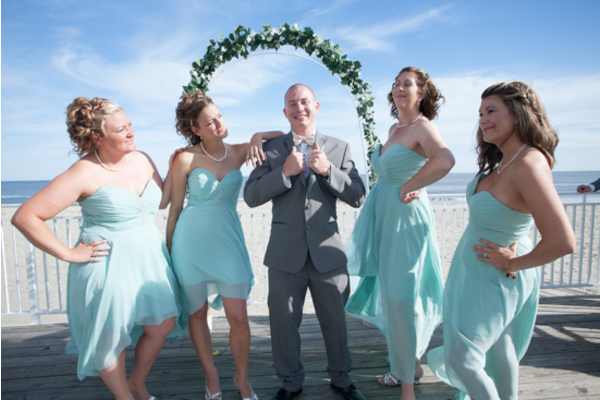 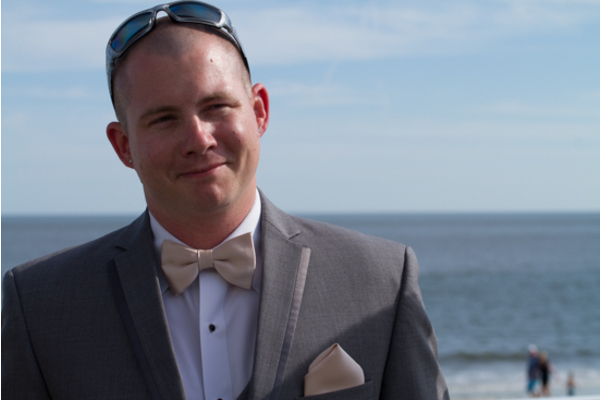 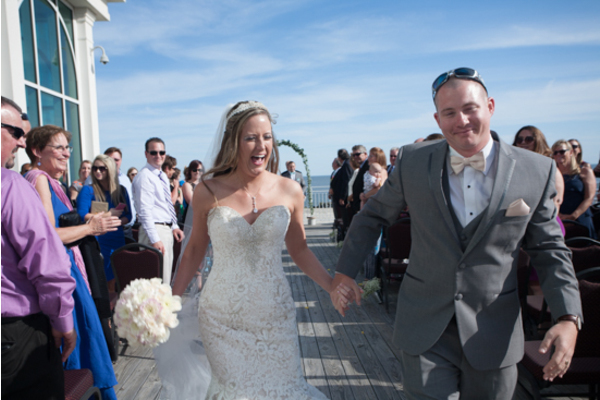 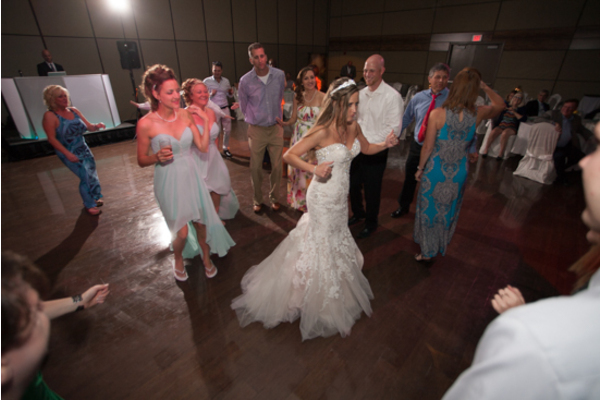 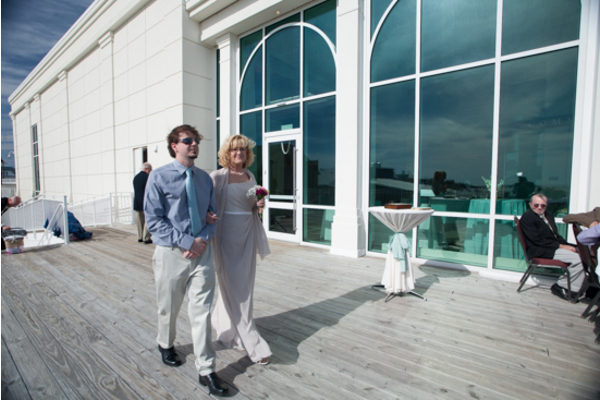 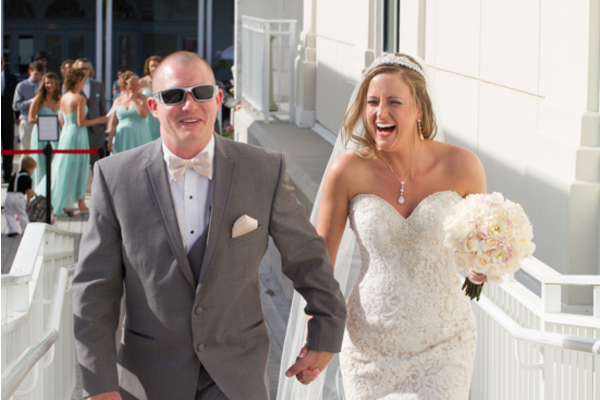 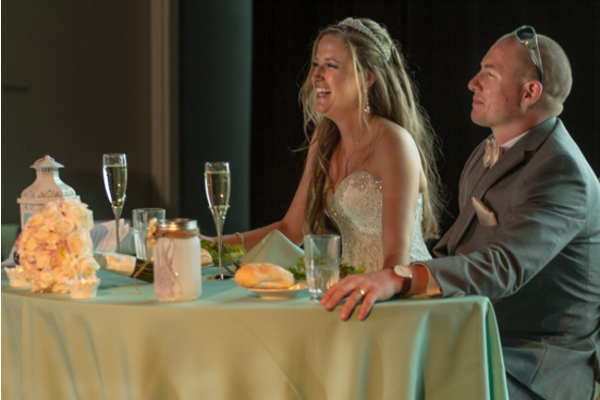 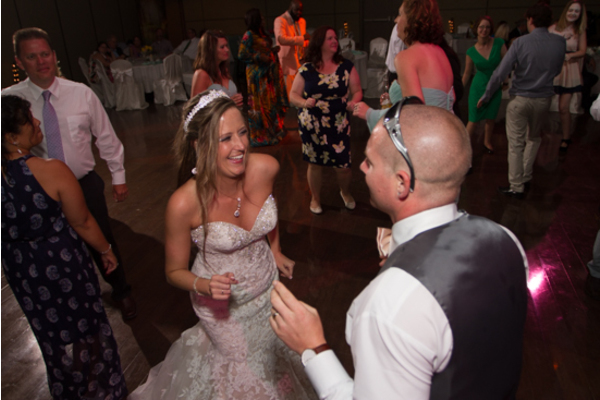 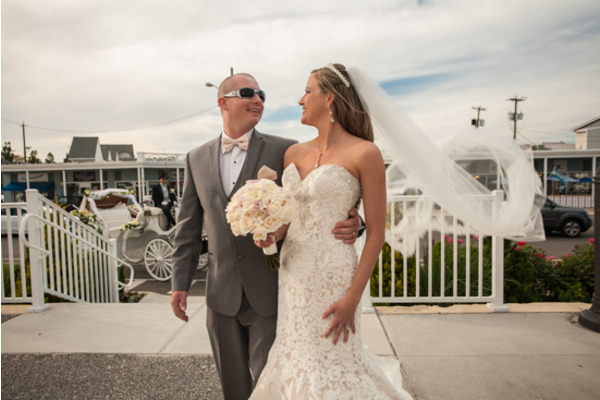 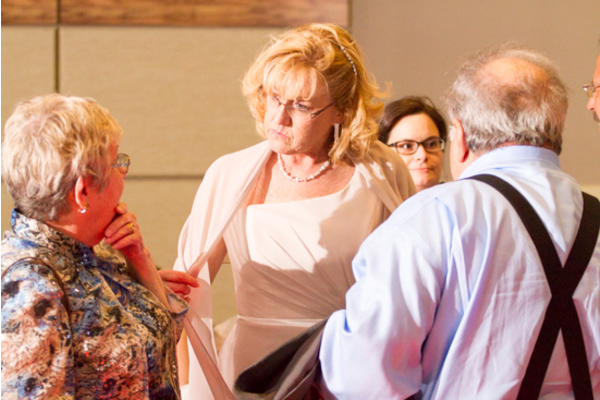 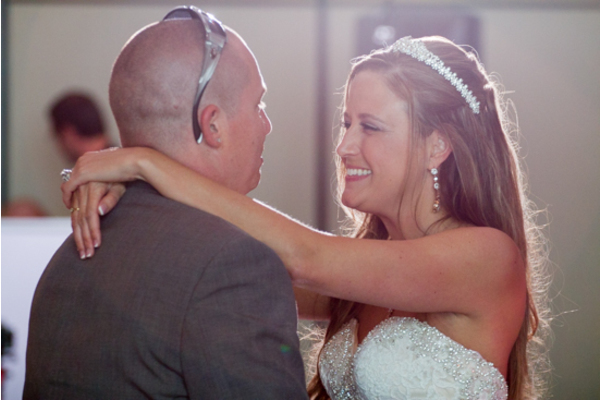 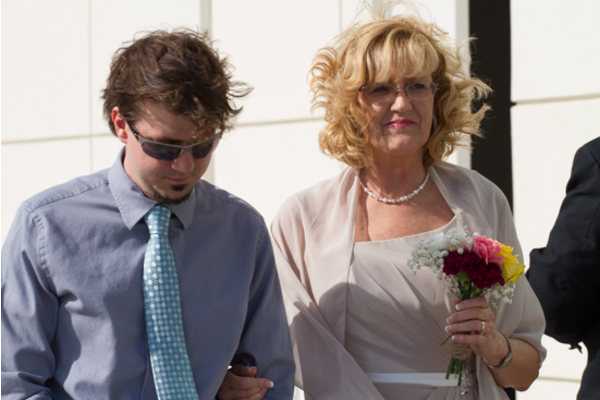 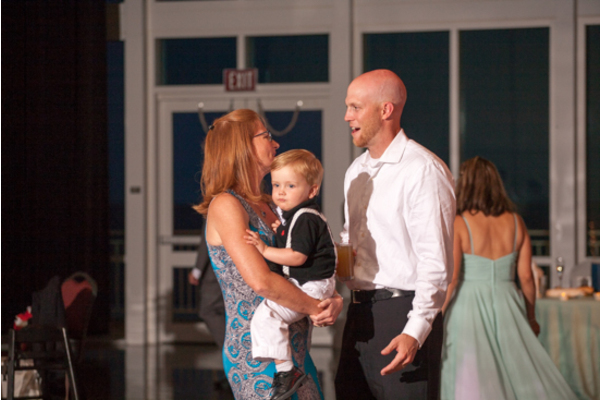 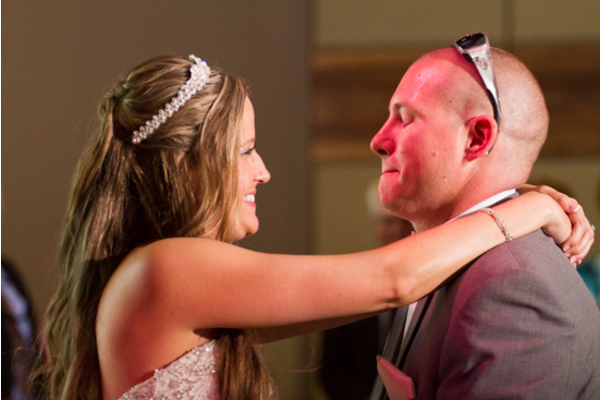 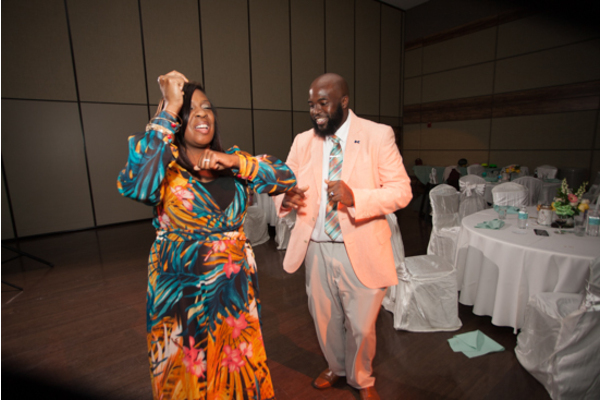 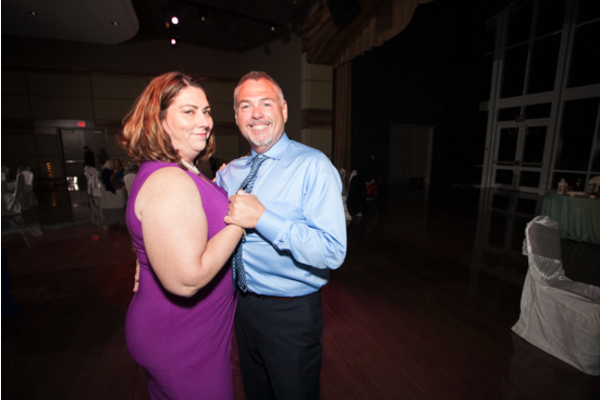 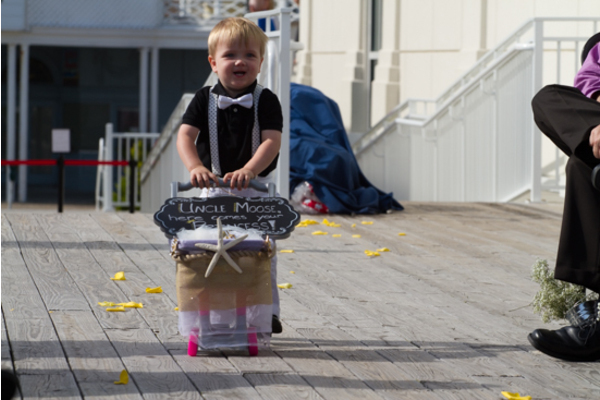 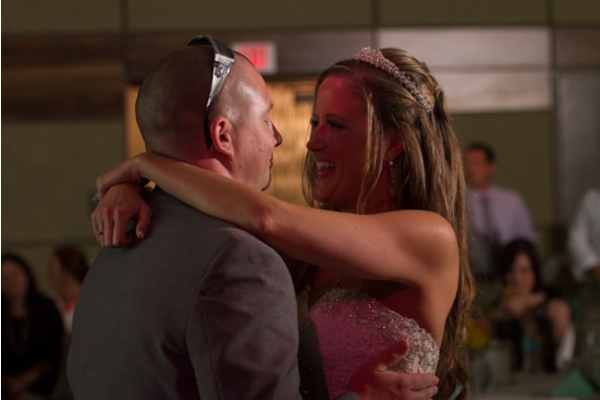 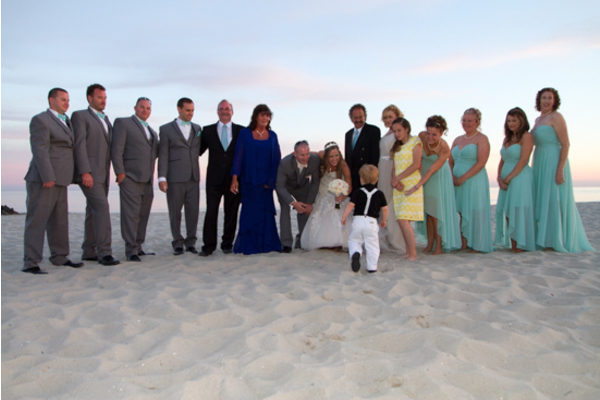 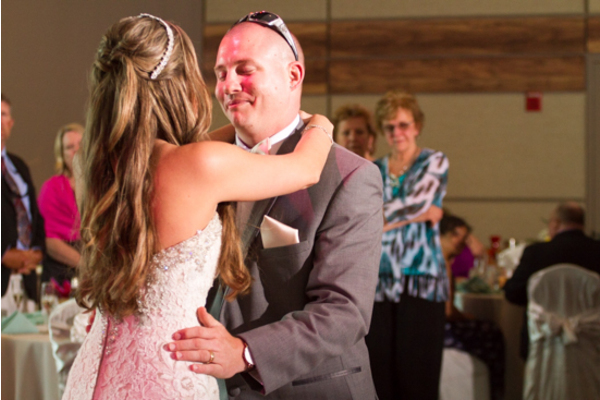 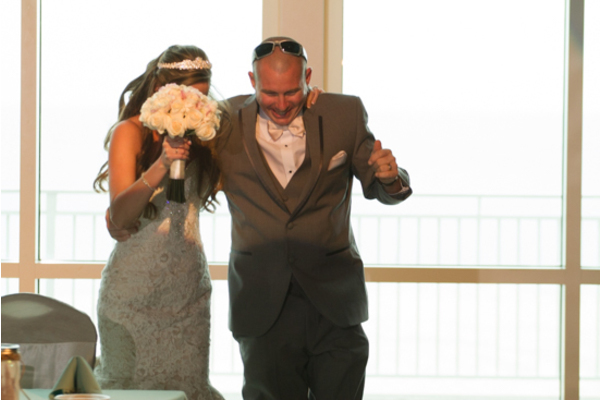 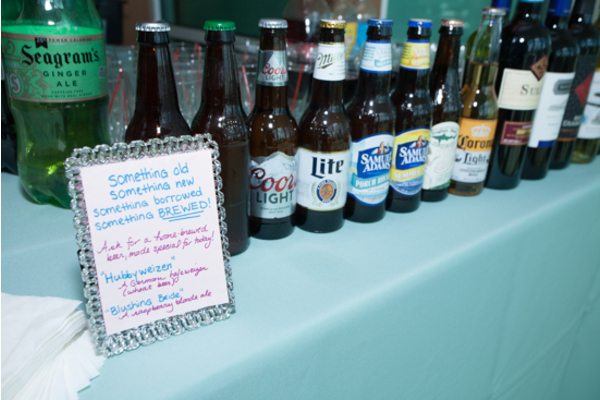 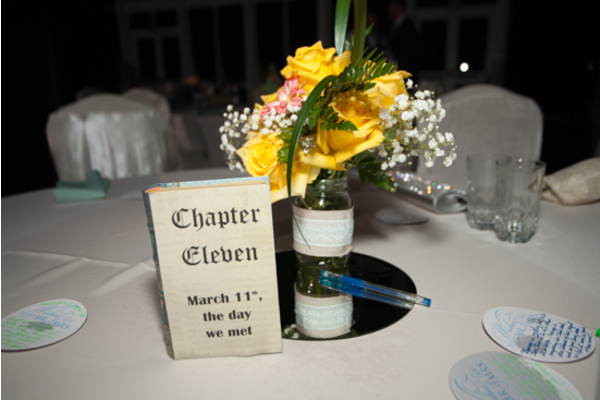 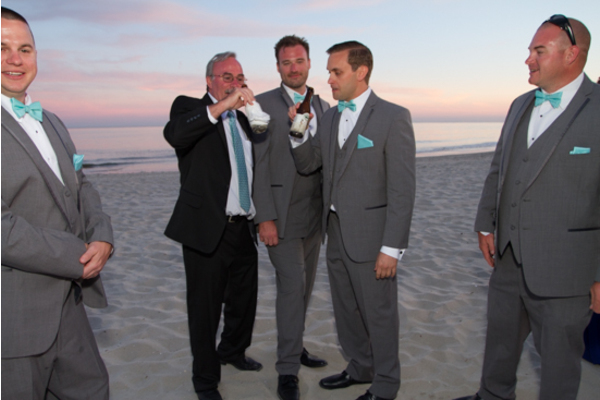 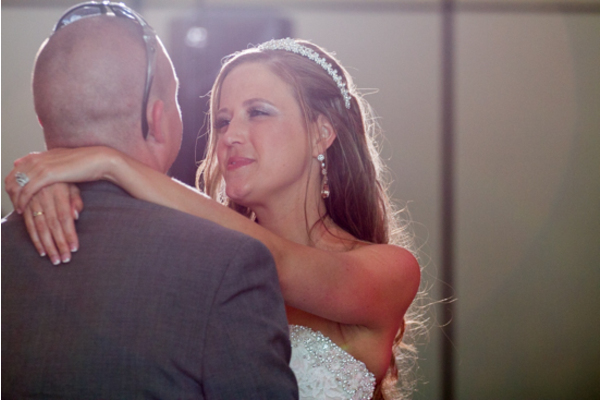 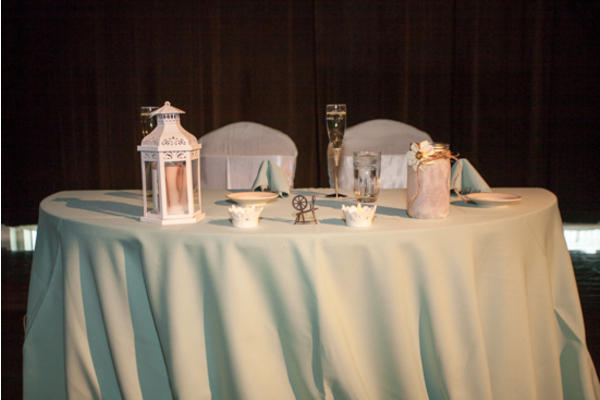 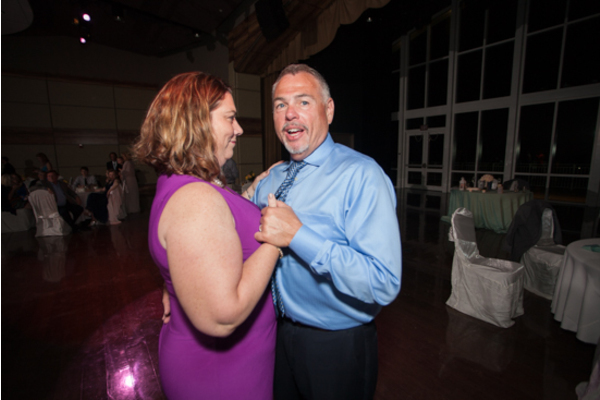 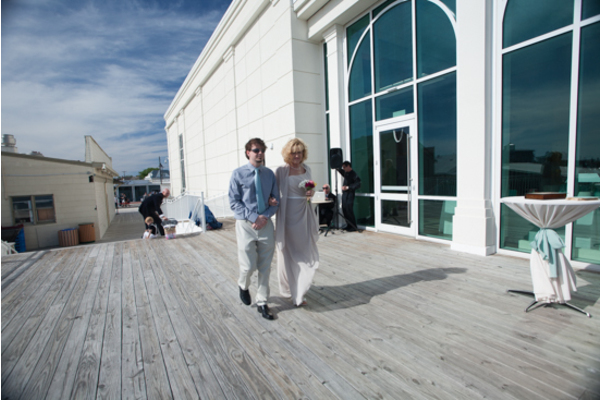 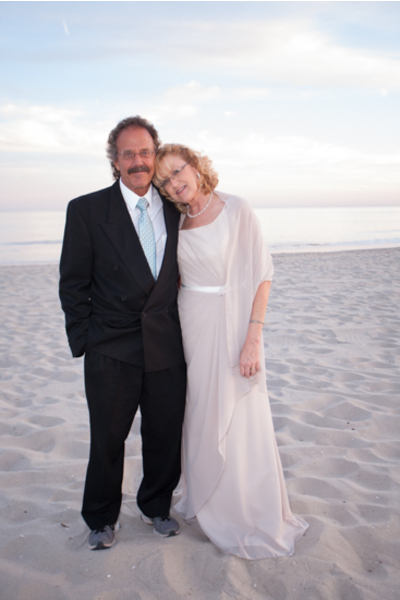 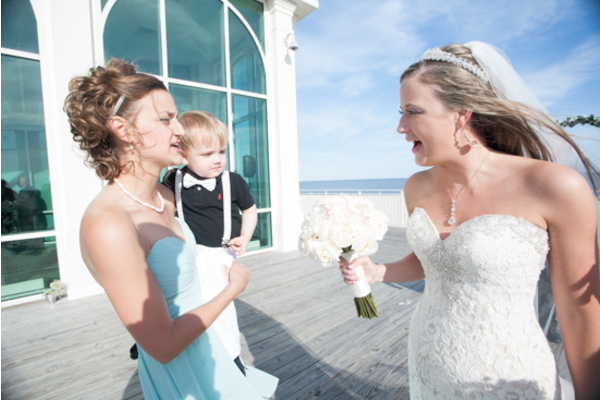 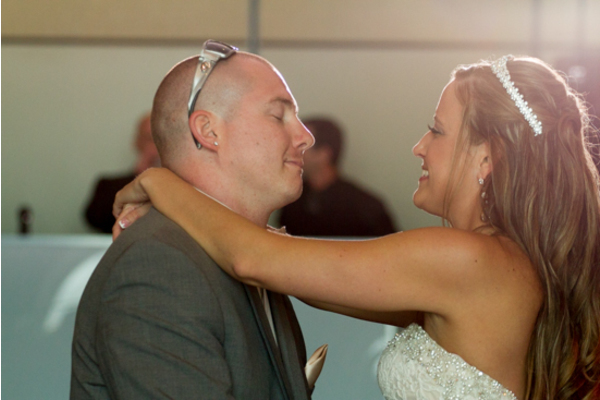 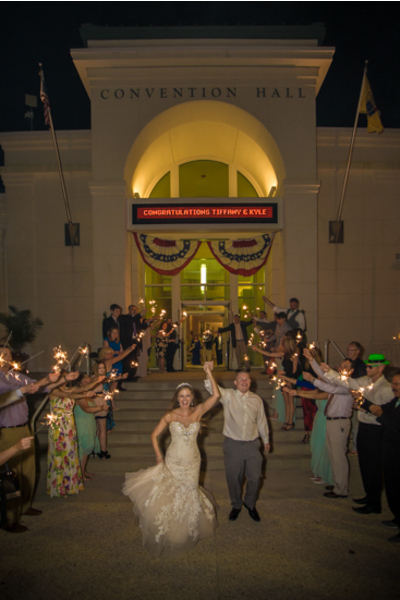 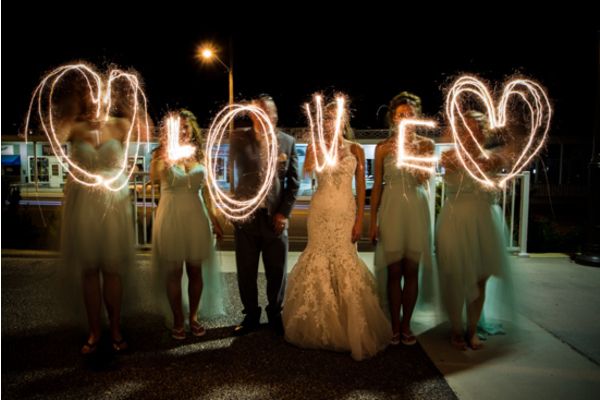 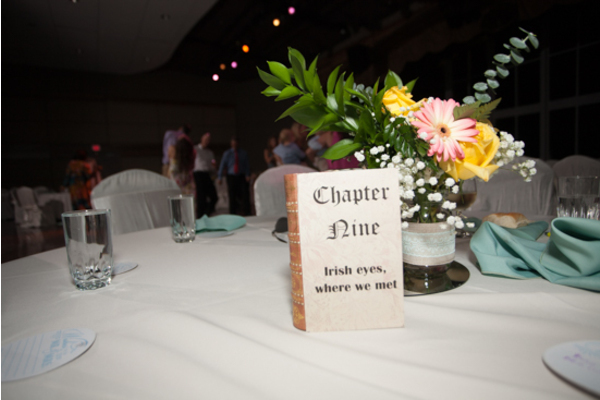 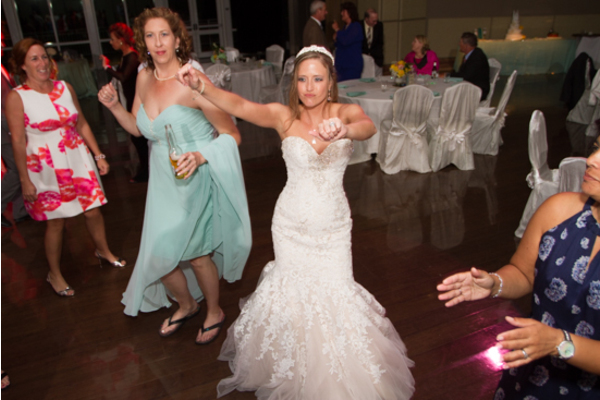 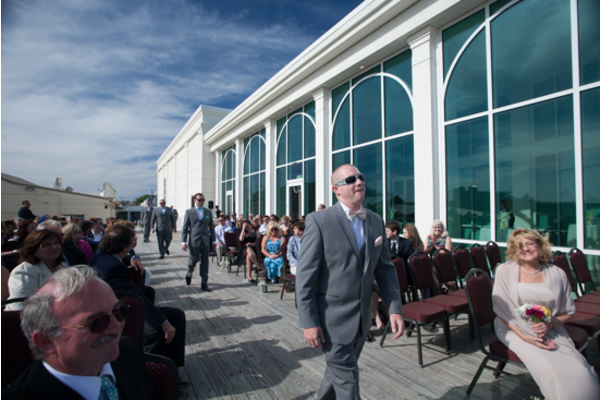 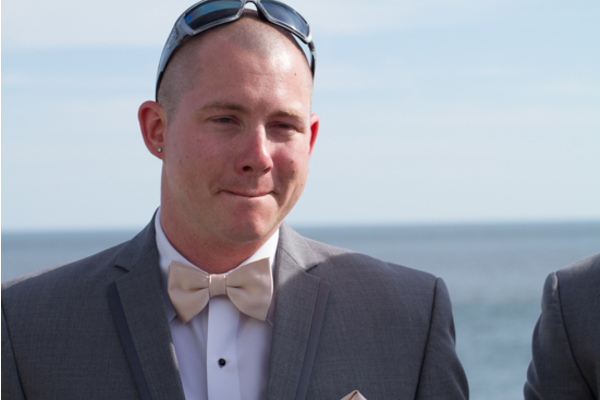 This couple held their fairy tale wedding at the Cape May Convention Hall in Cape May, NJ. 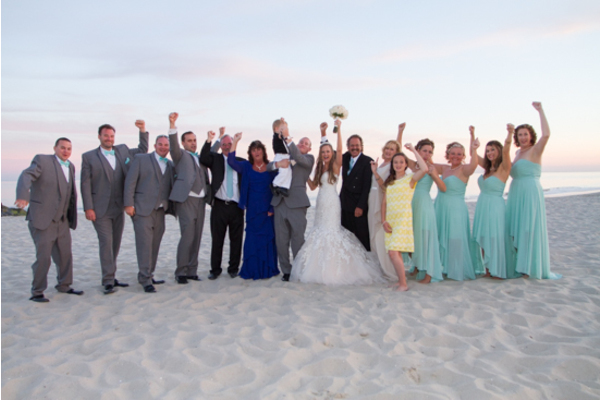 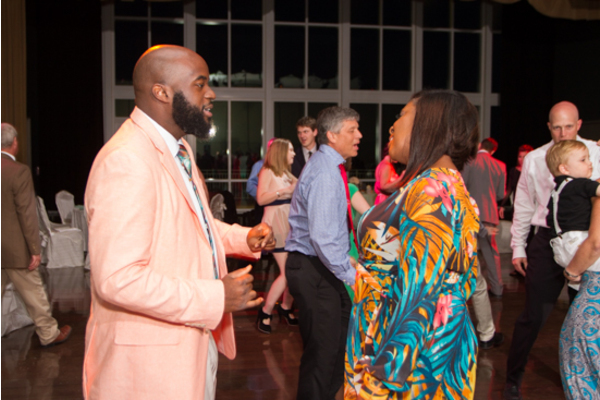 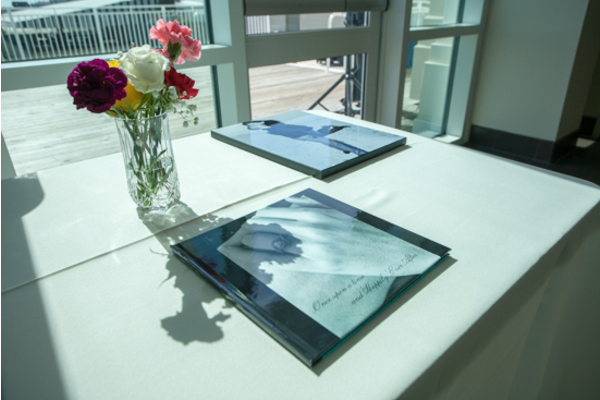 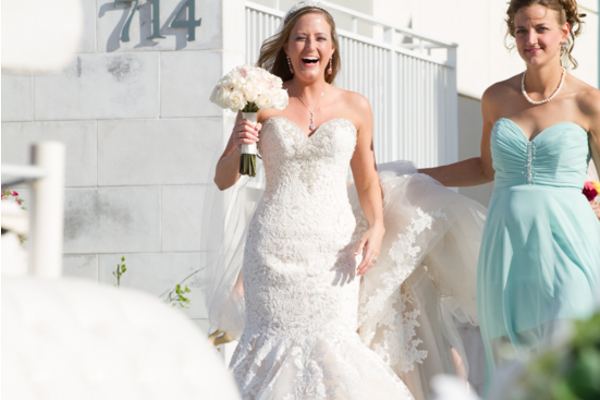 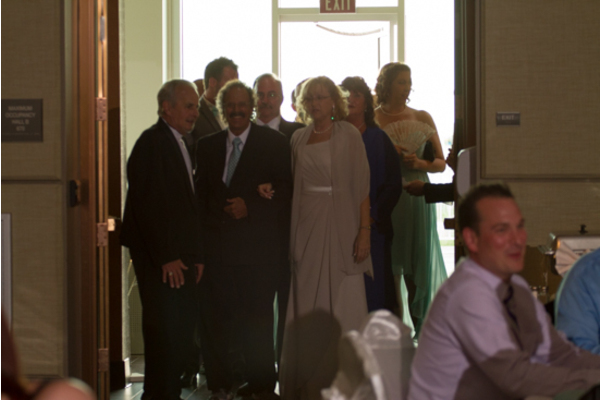 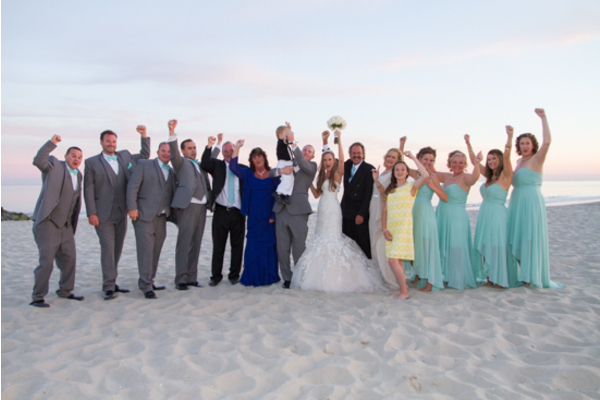 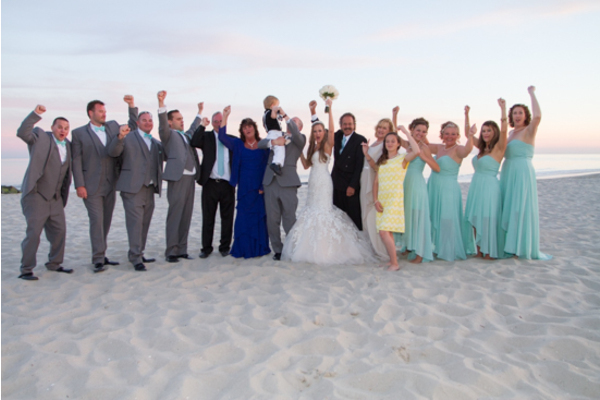 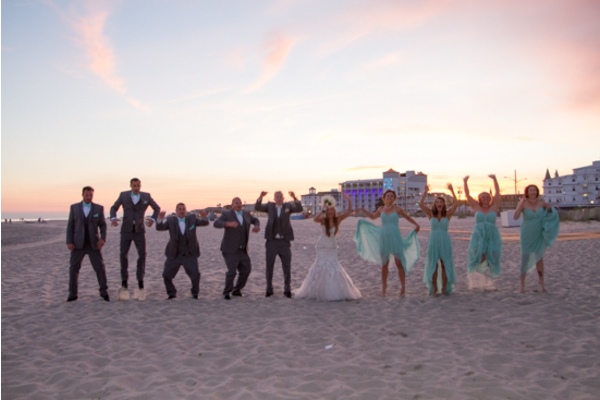 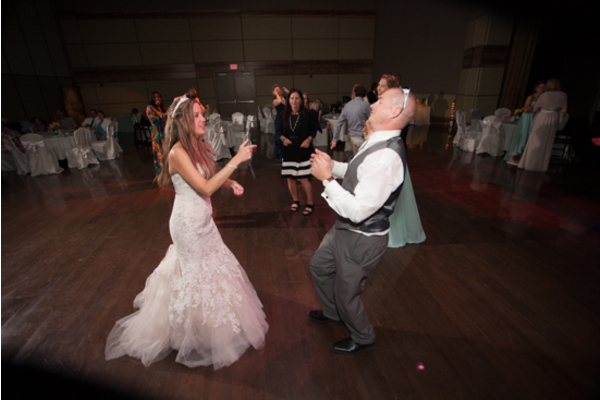 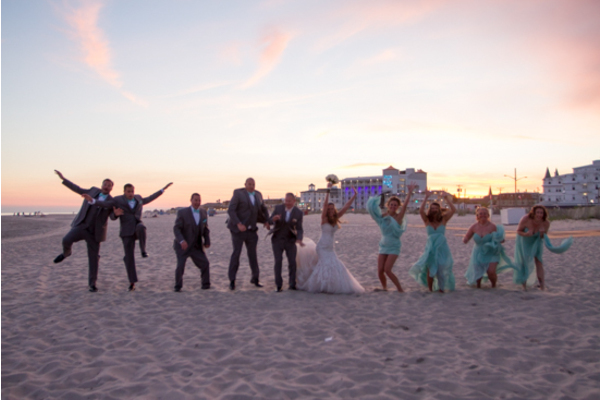 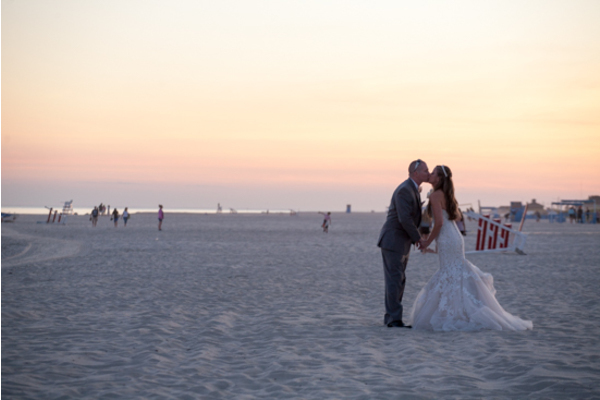 Complete with a romantic sunset, a beautiful ocean view and many memorable moments at their reception, this couple shared a night to remember with their close friends and family. 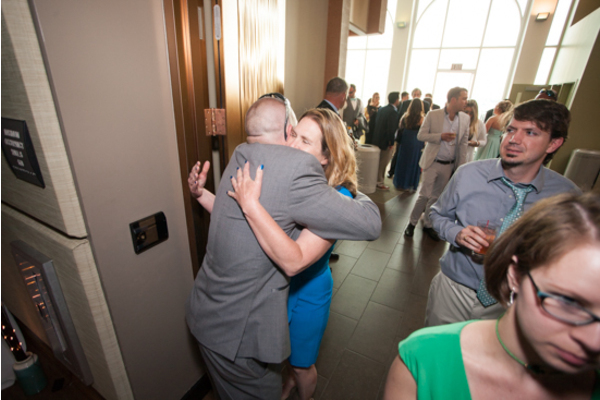 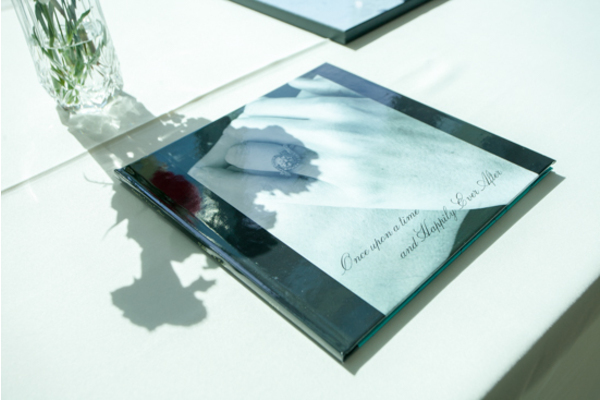 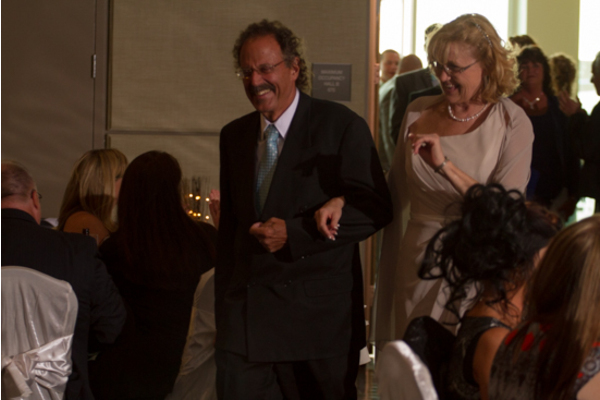 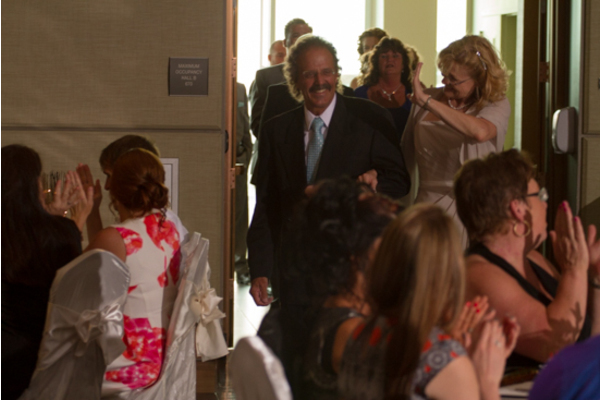 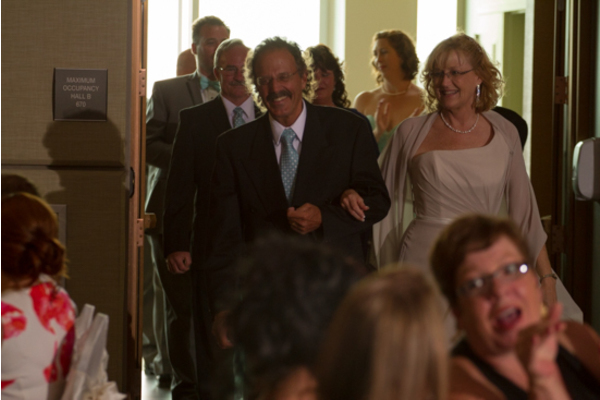 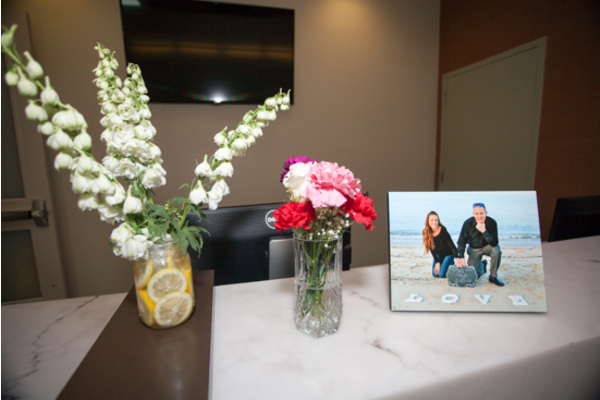 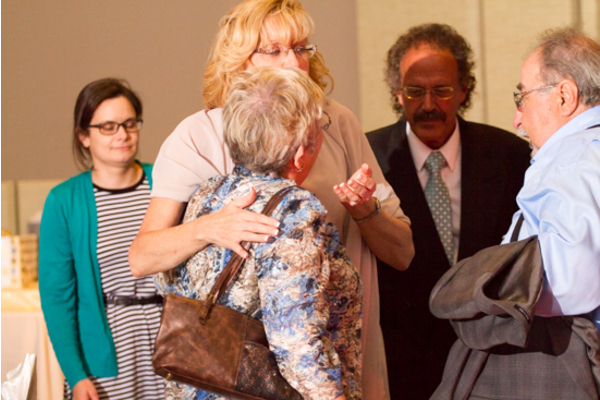 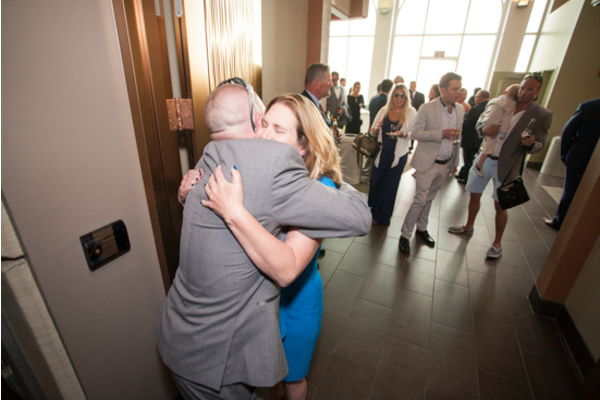 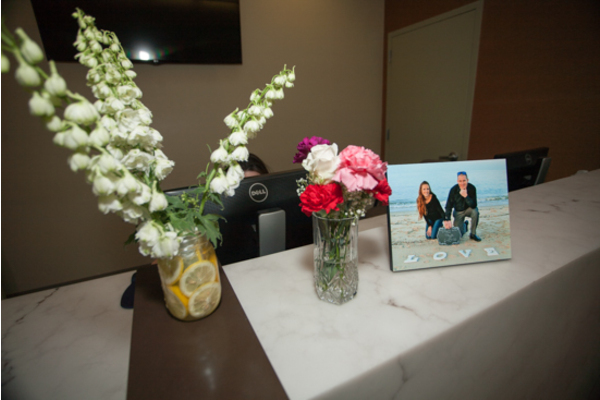 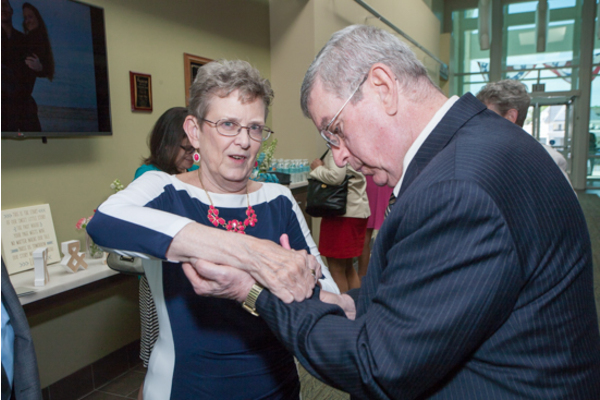 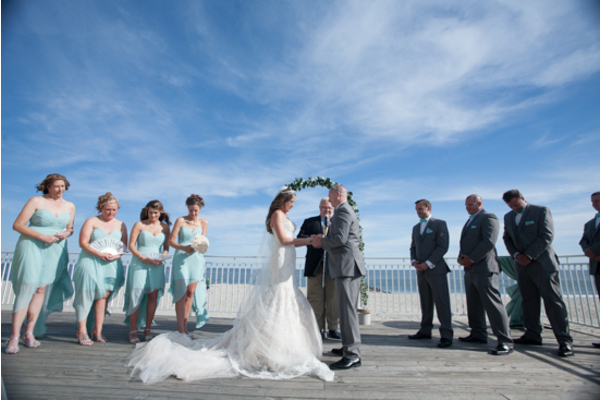 From the very beginning of the day, it was clear that there was something special about this couple. 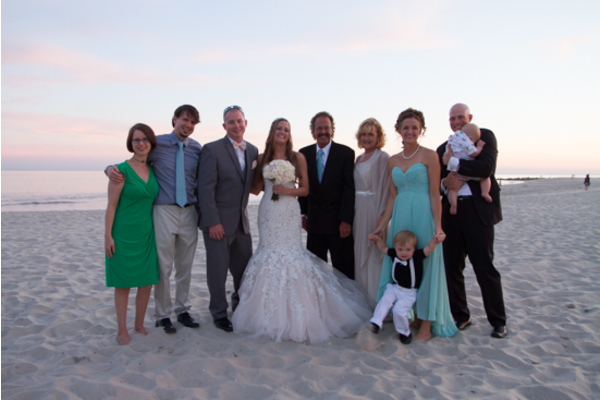 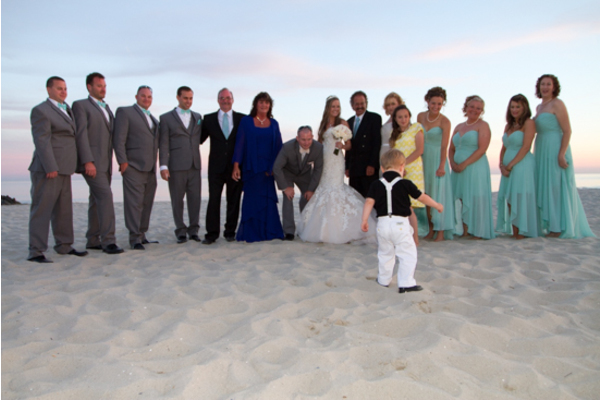 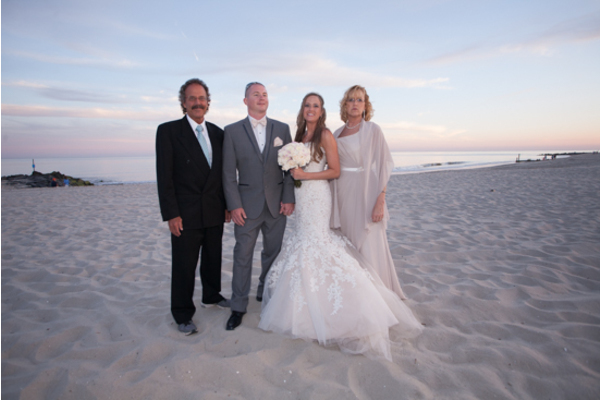 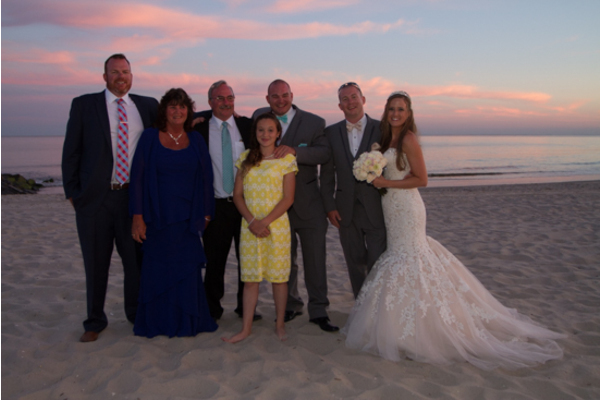 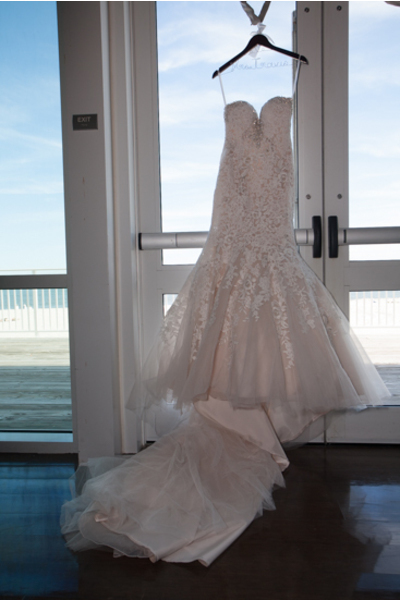 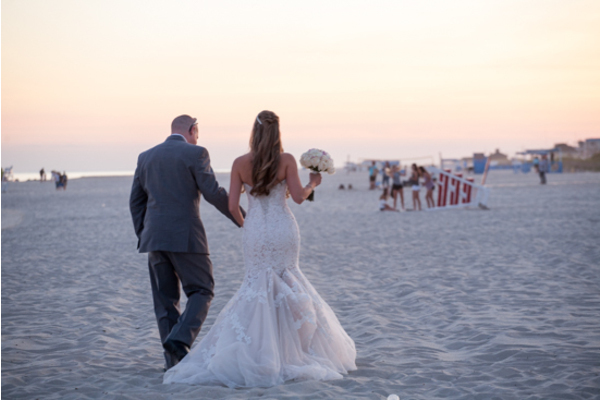 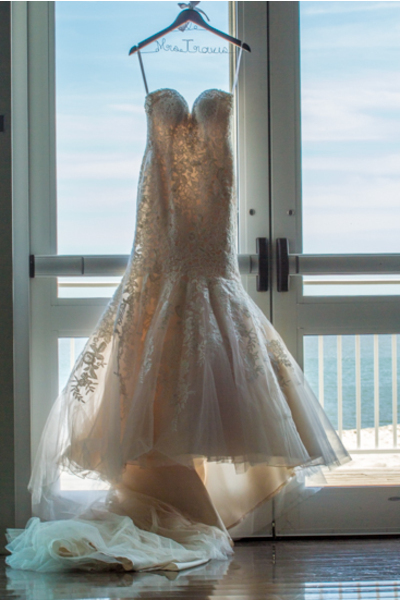 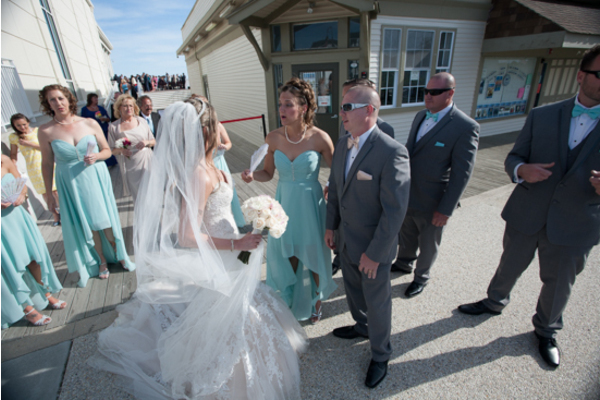 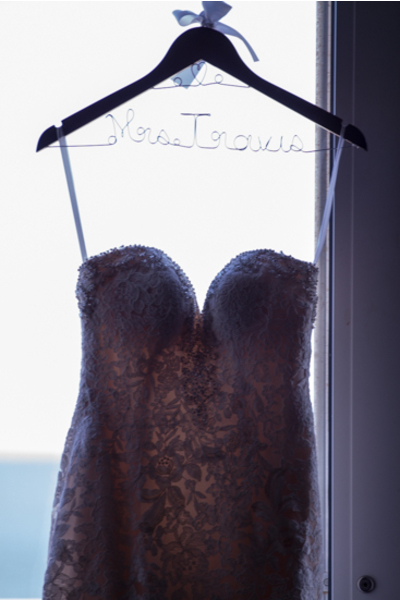 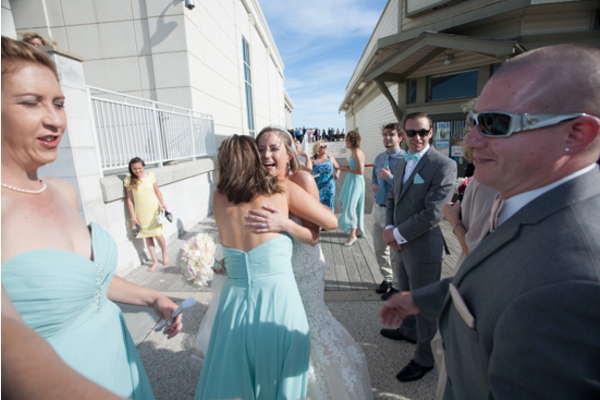 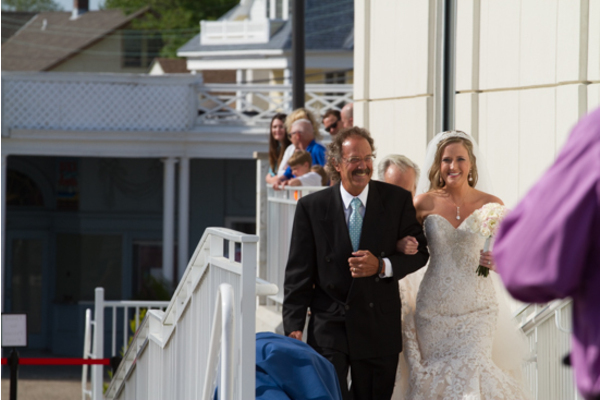 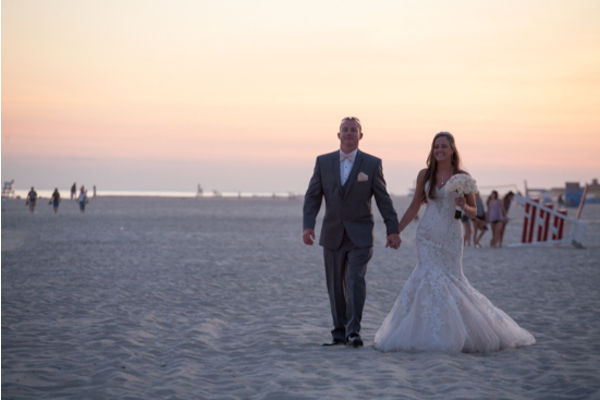 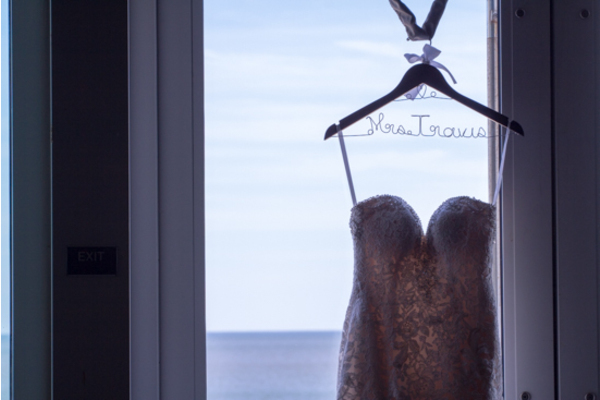 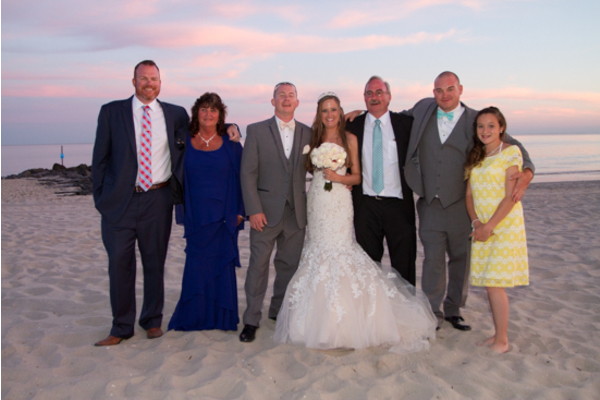 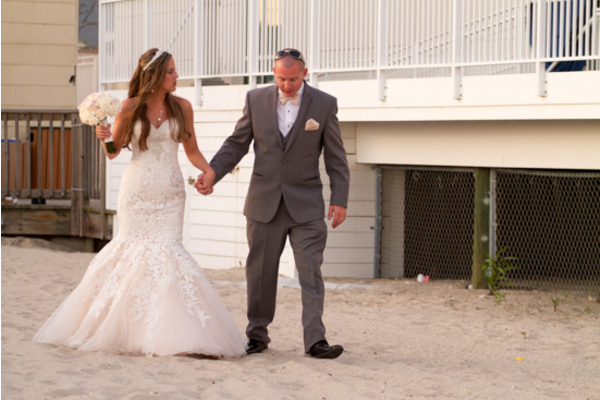 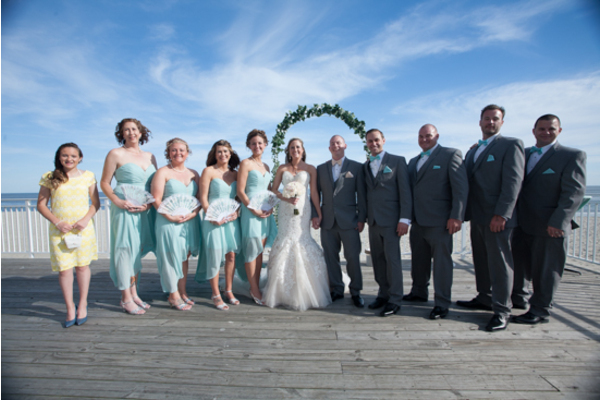 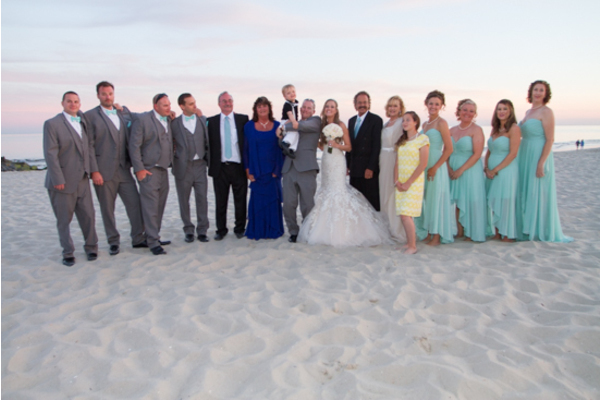 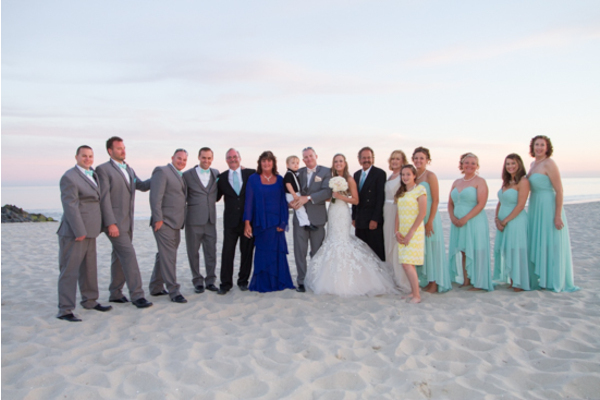 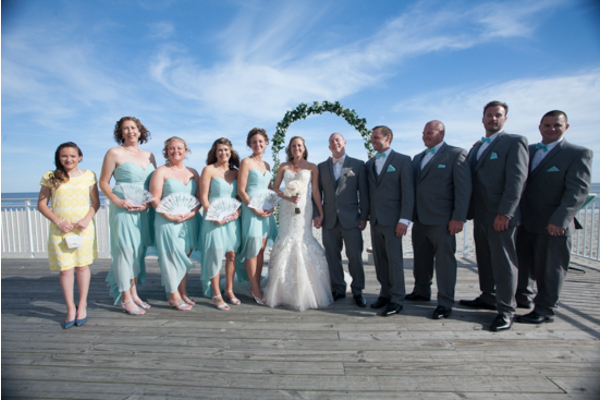 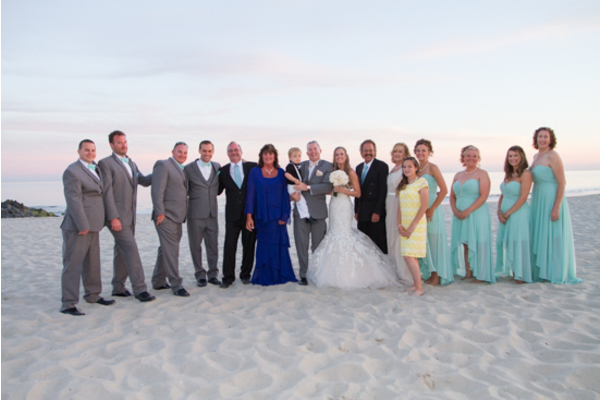 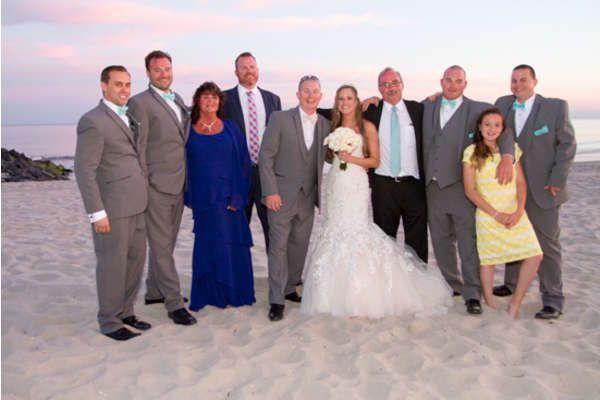 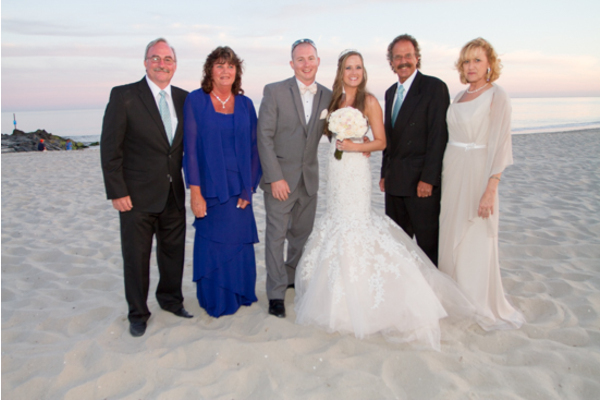 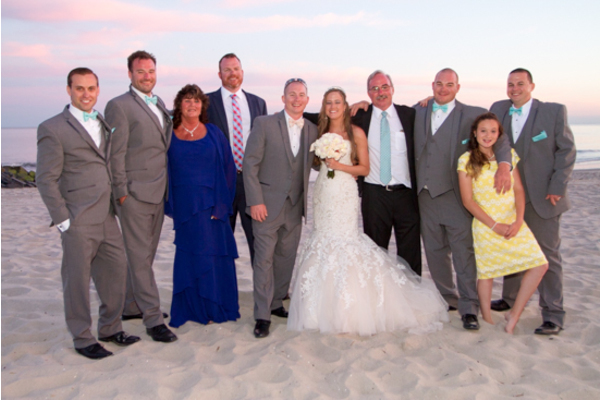 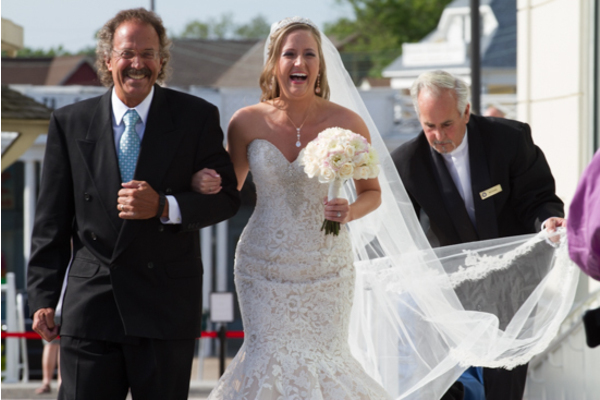 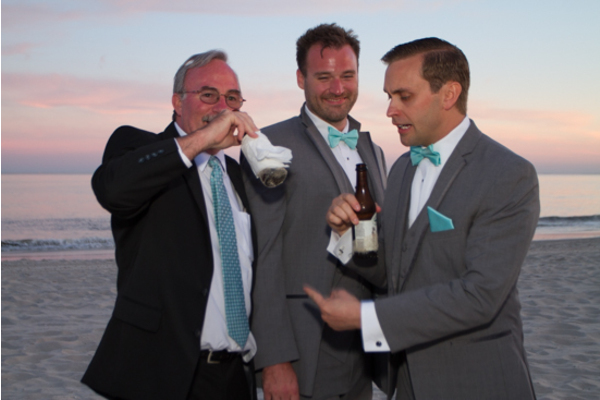 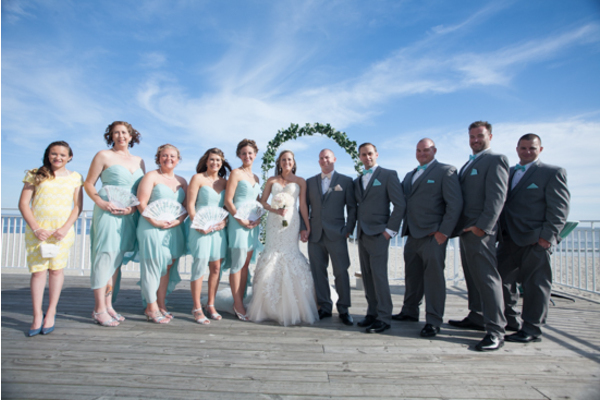 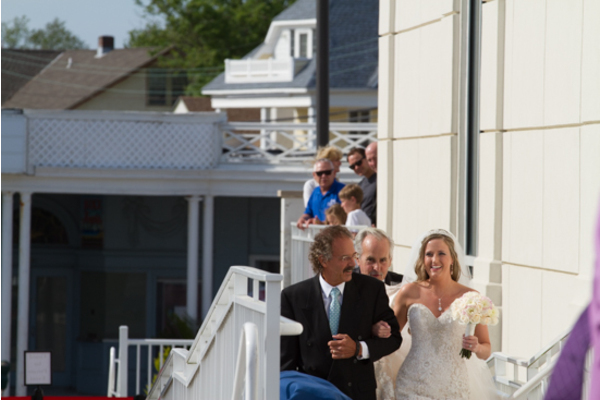 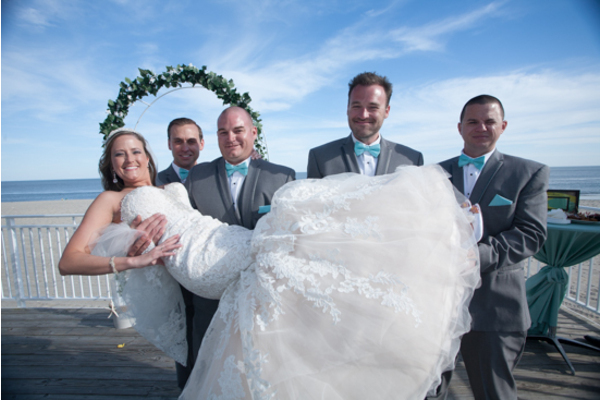 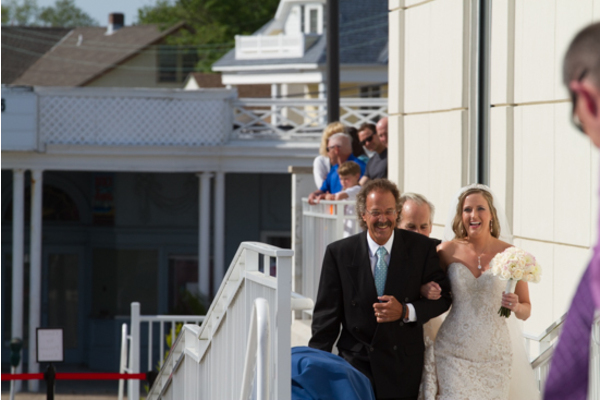 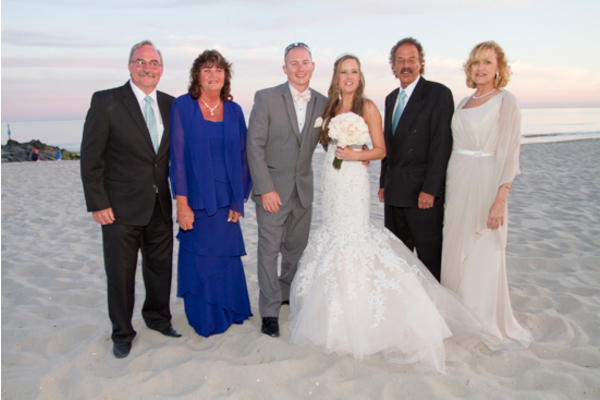 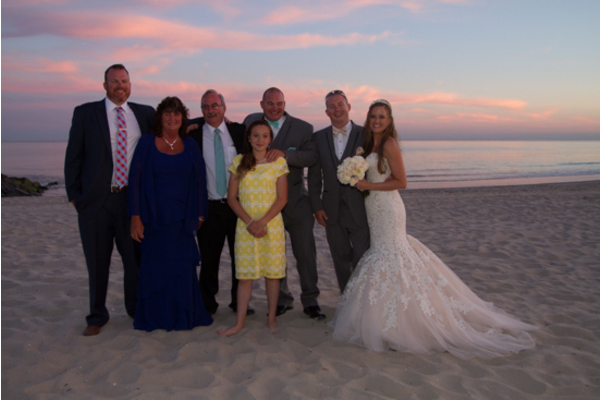 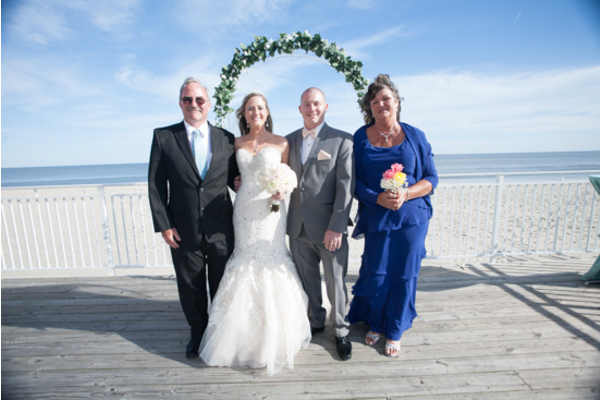 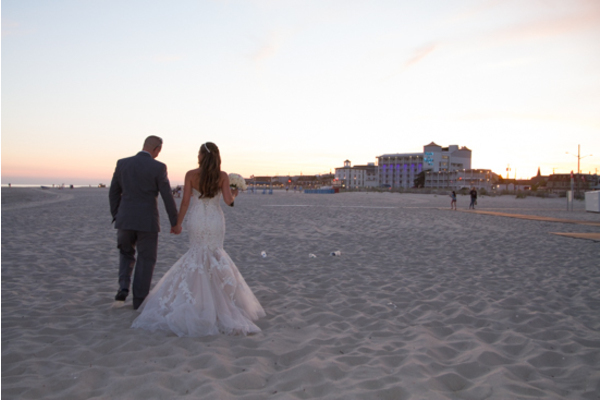 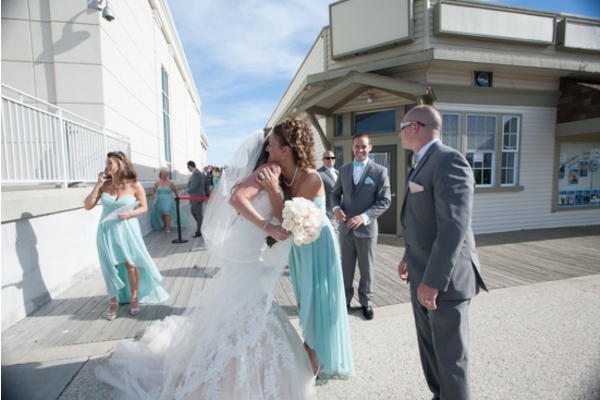 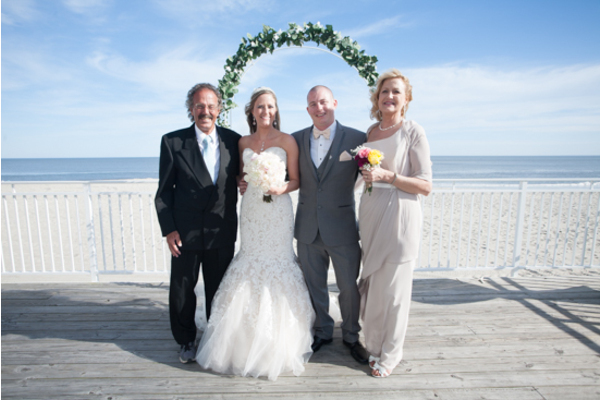 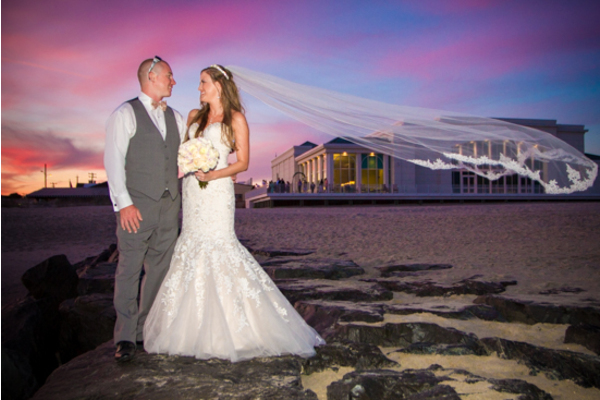 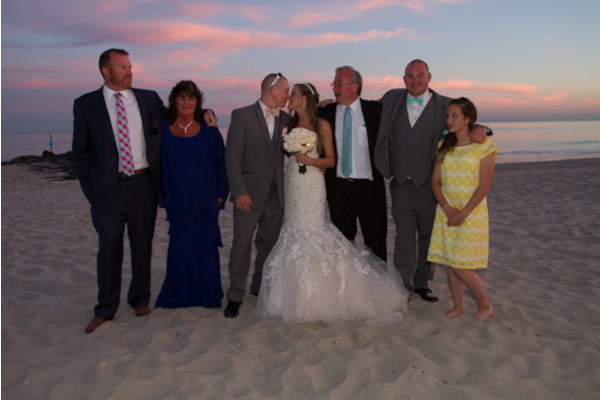 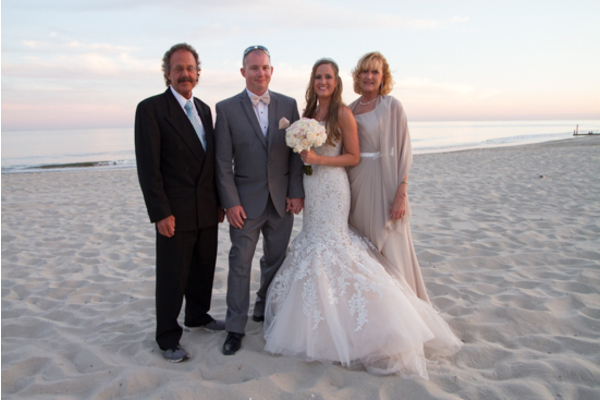 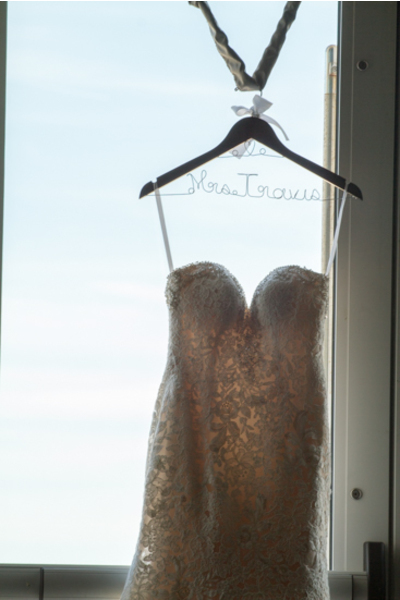 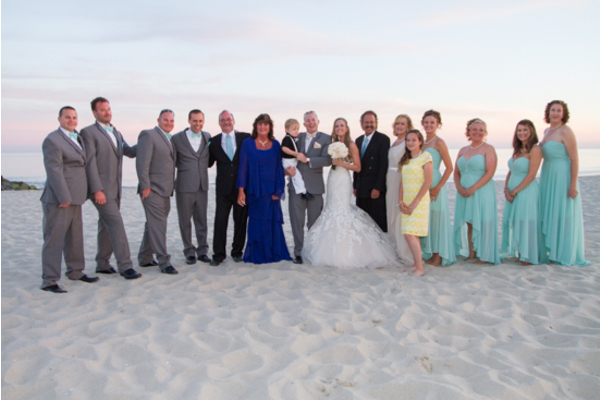 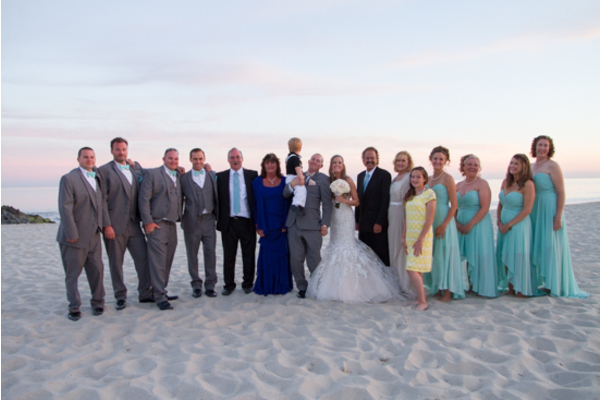 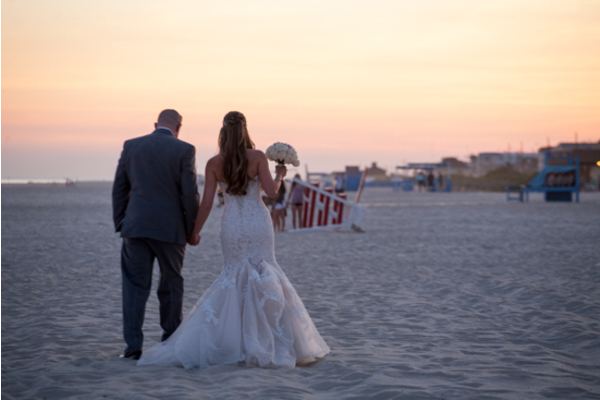 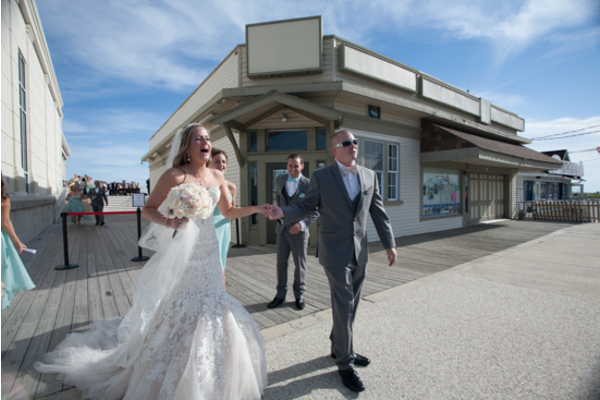 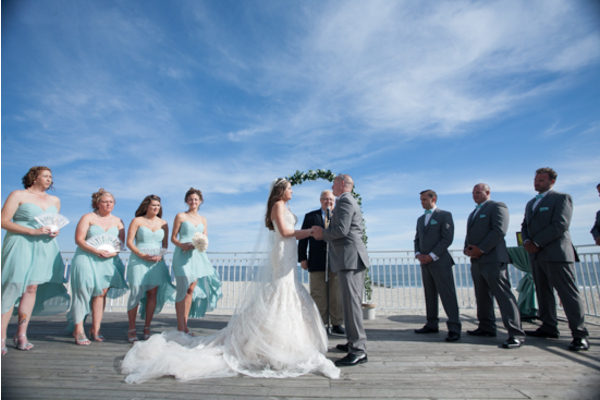 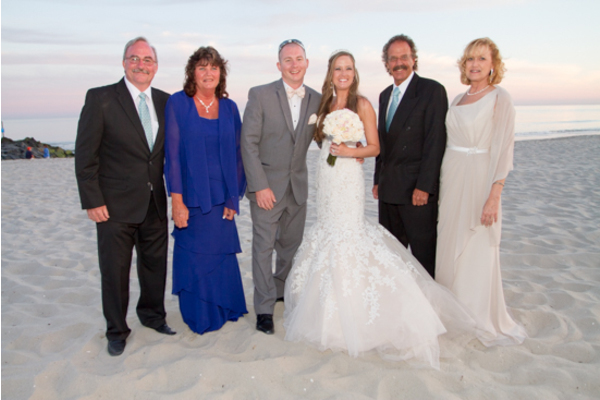 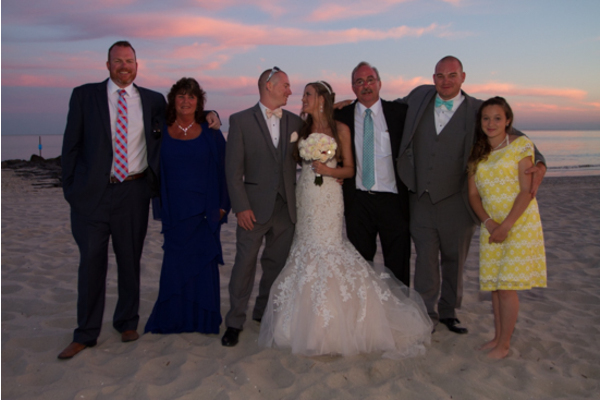 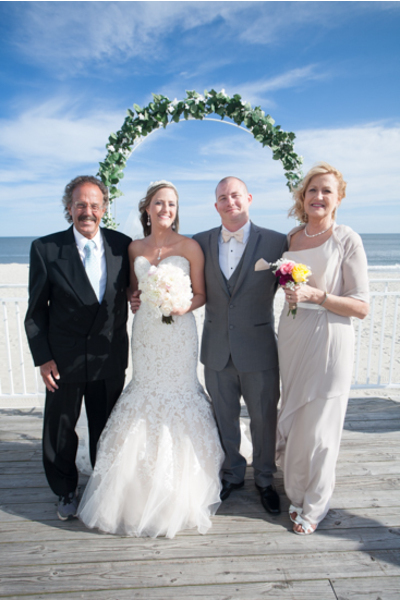 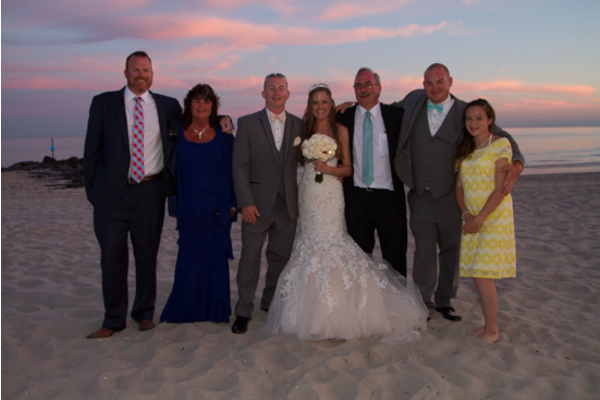 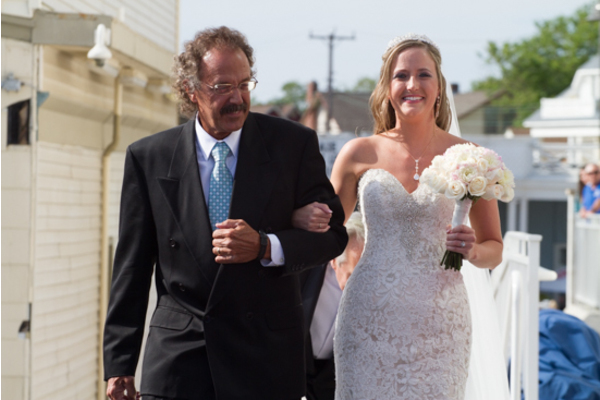 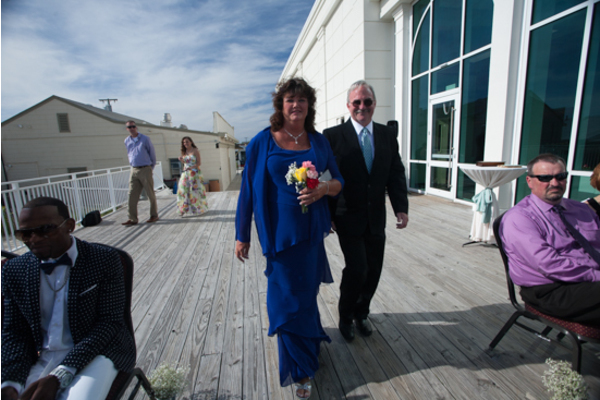 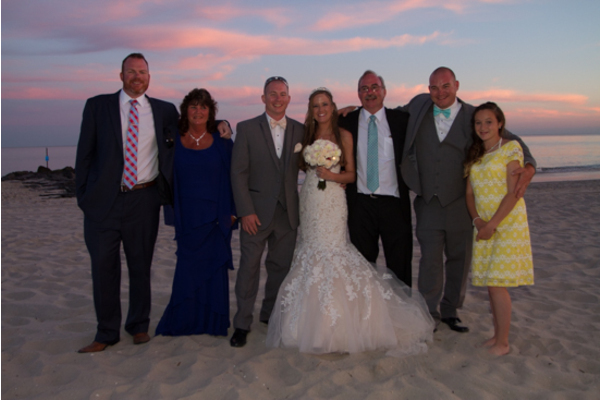 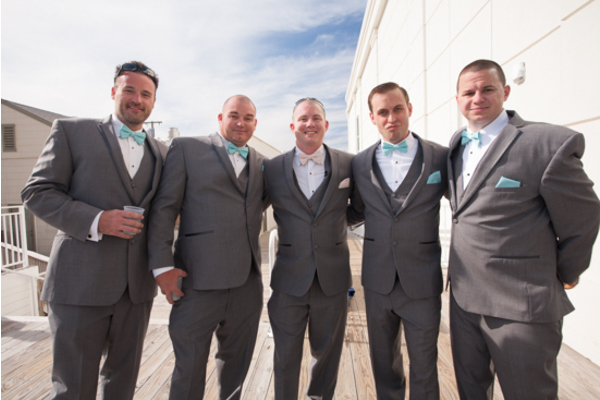 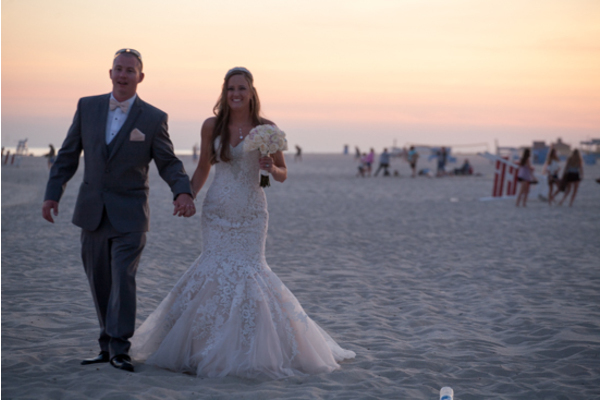 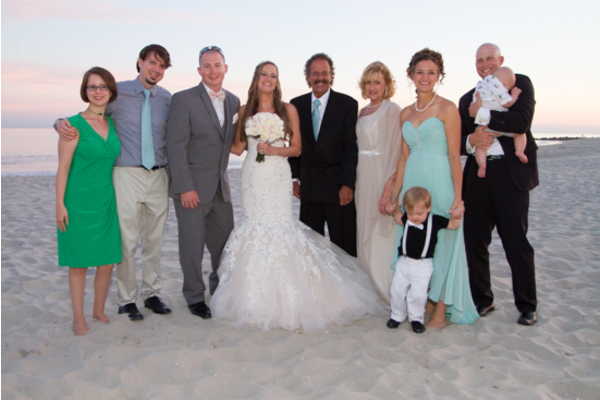 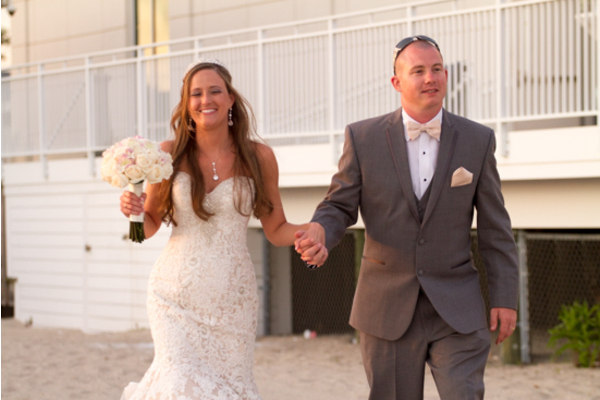 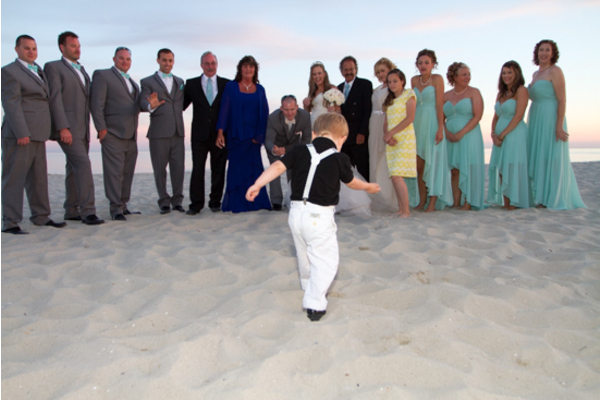 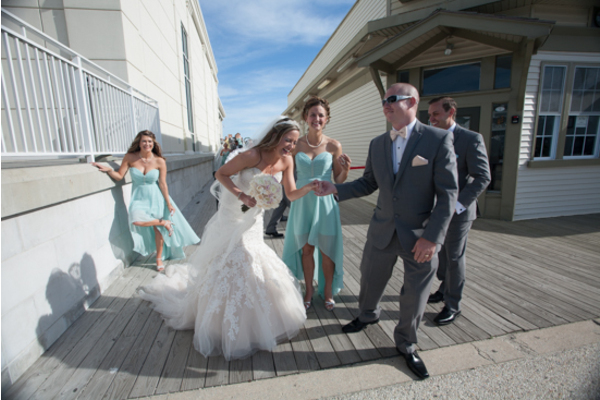 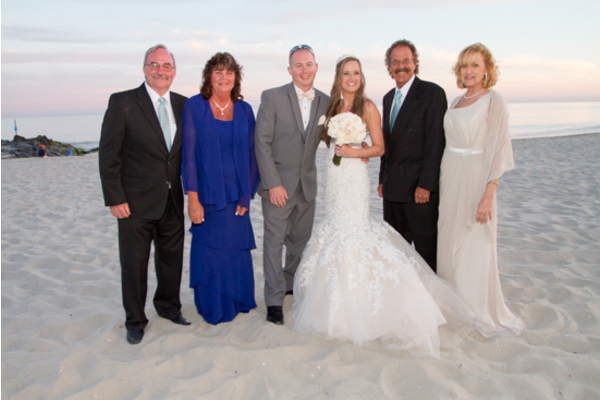 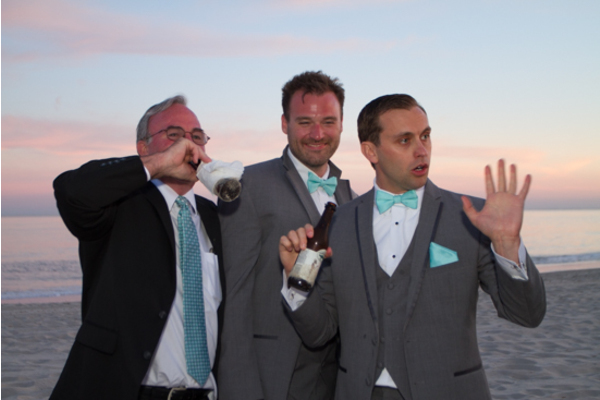 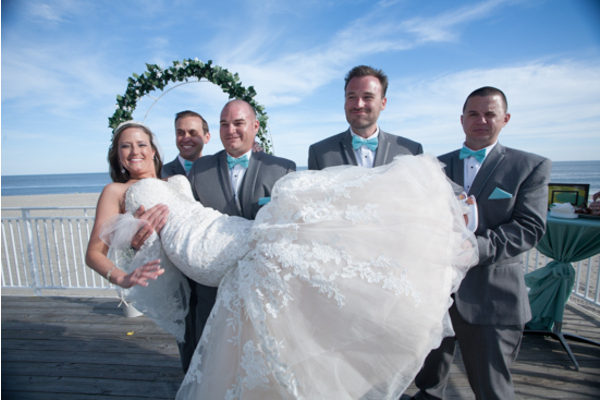 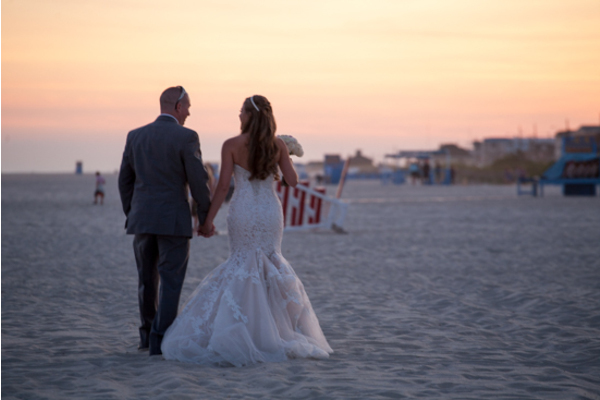 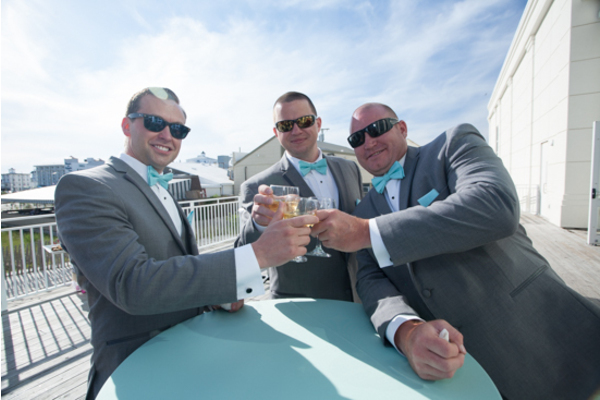 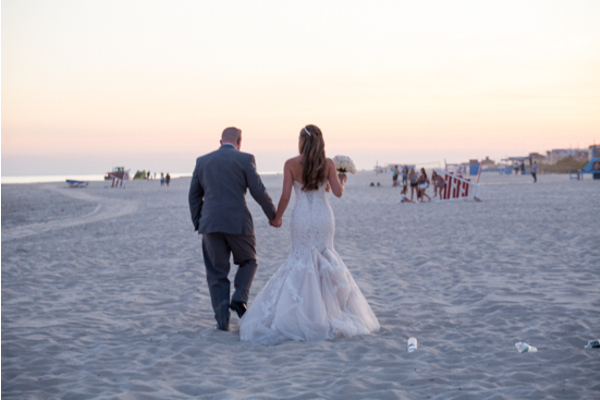 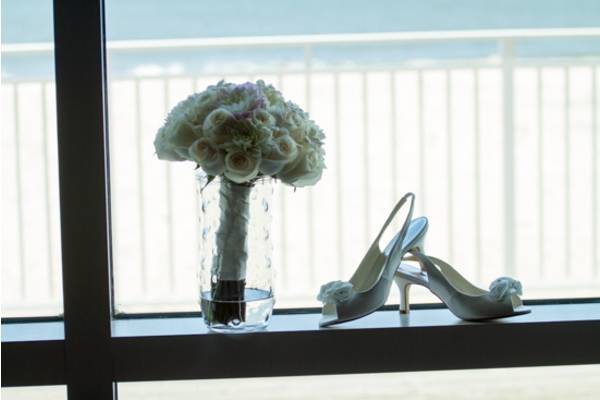 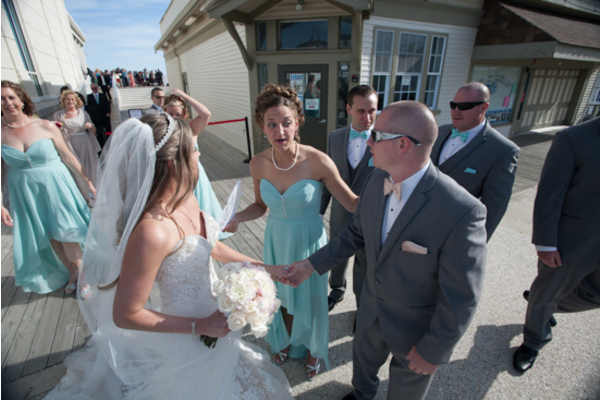 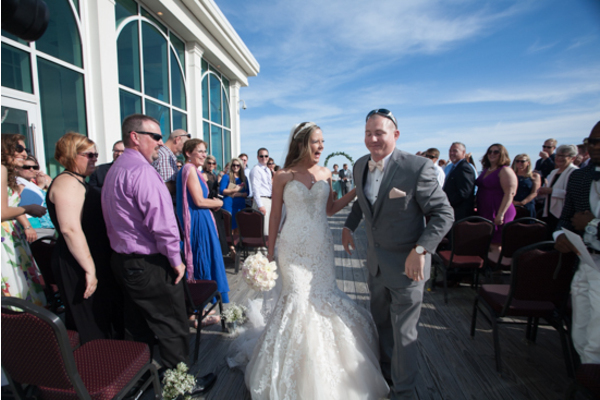 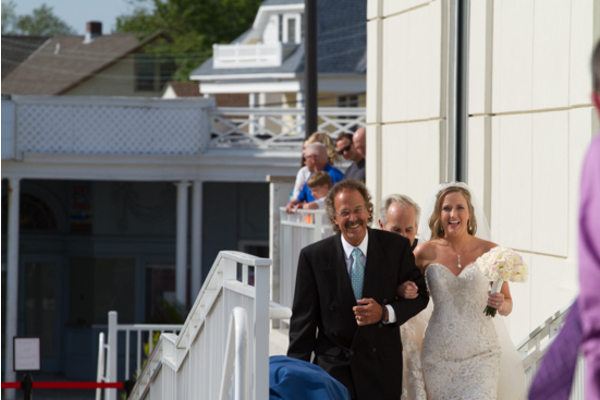 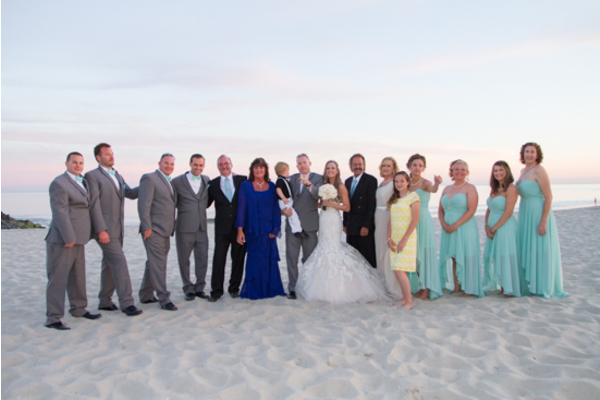 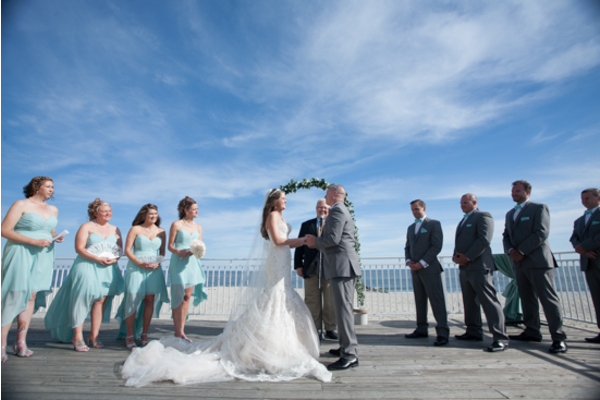 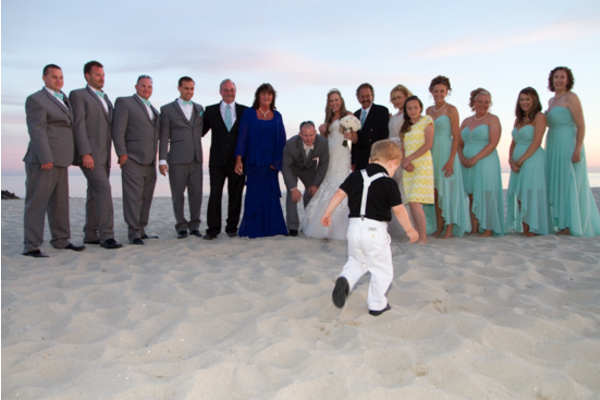 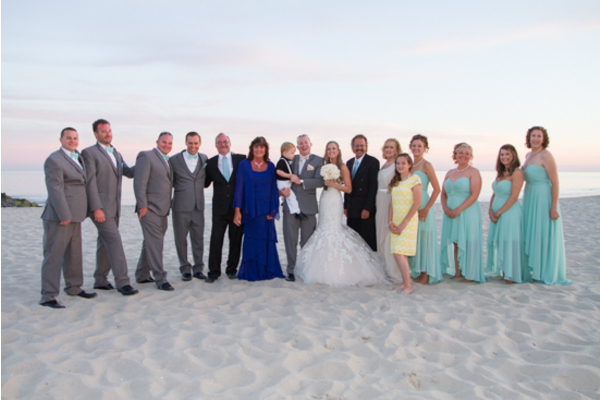 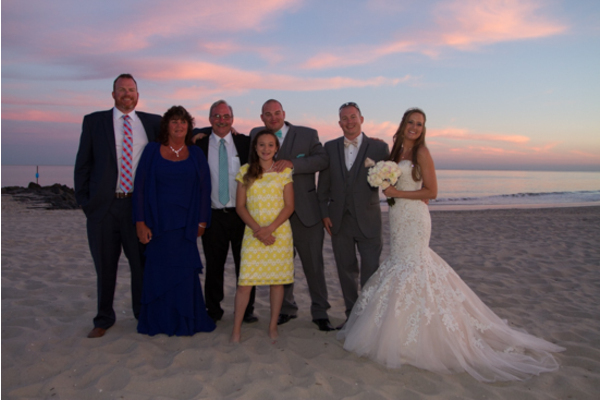 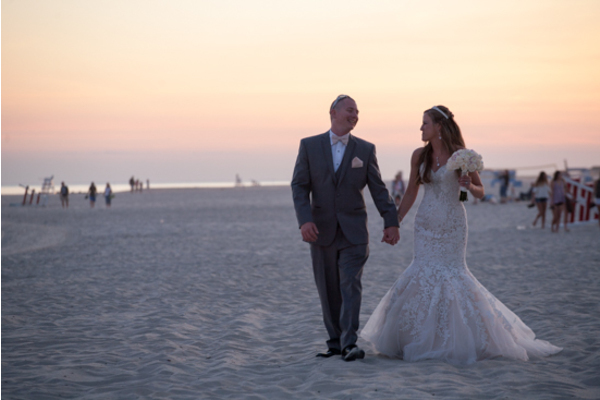 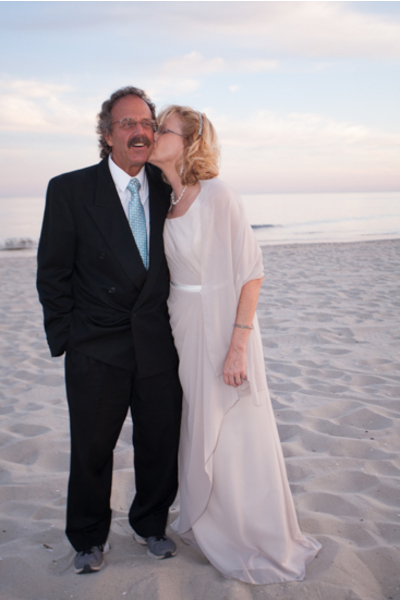 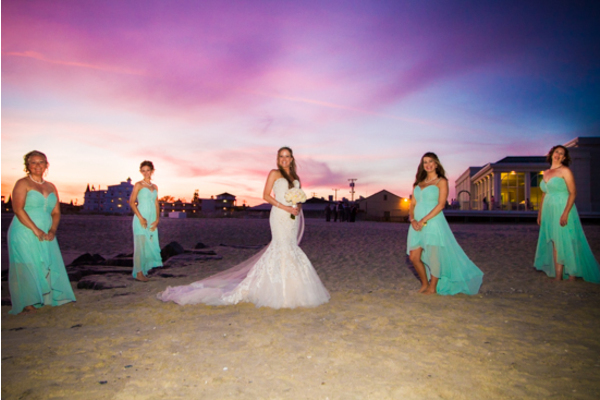 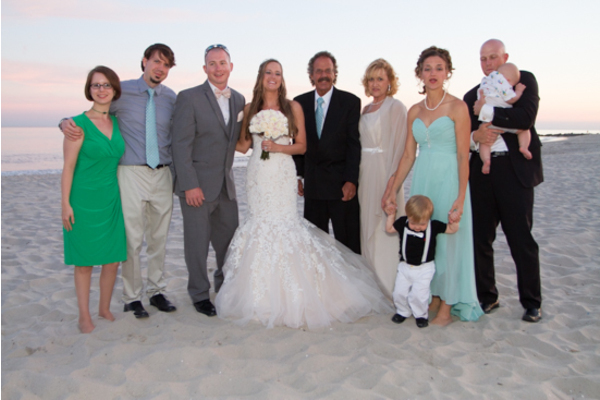 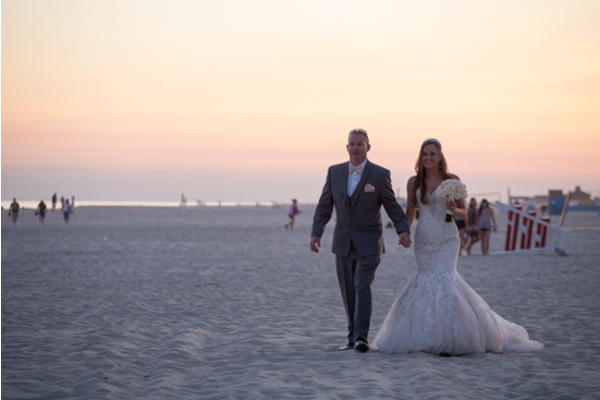 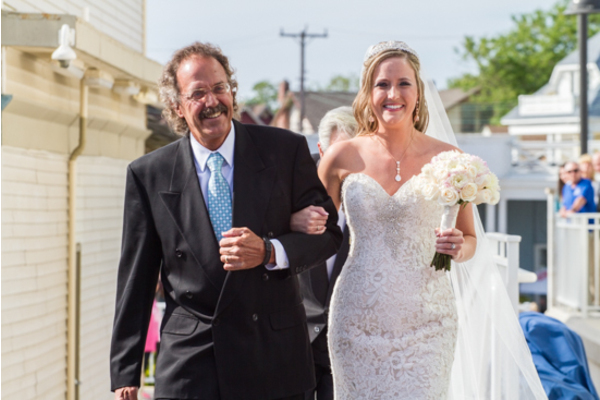 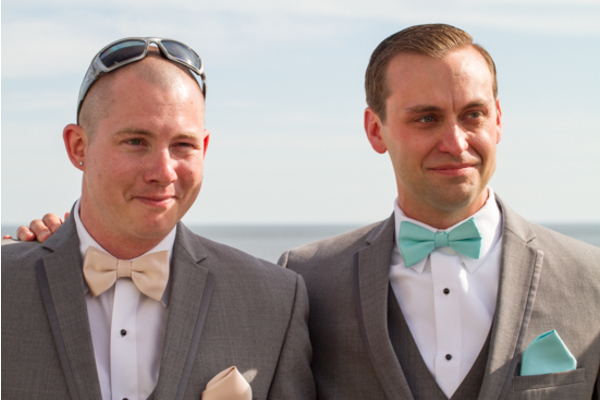 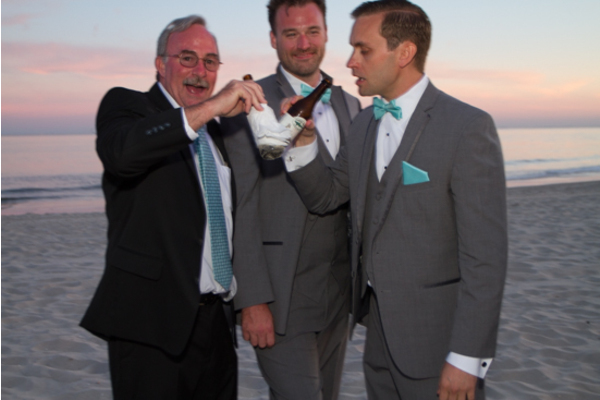 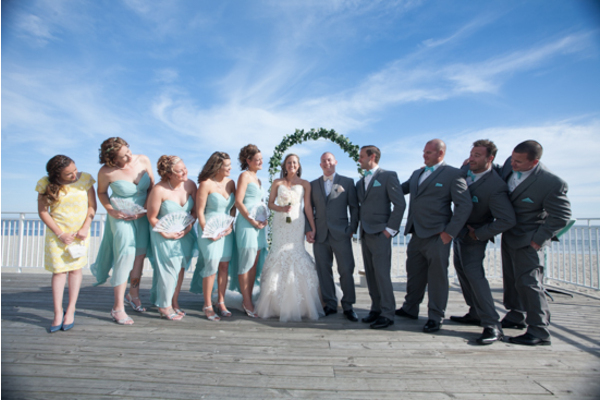 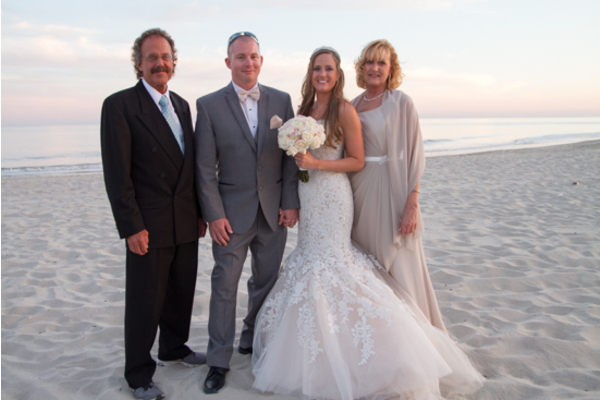 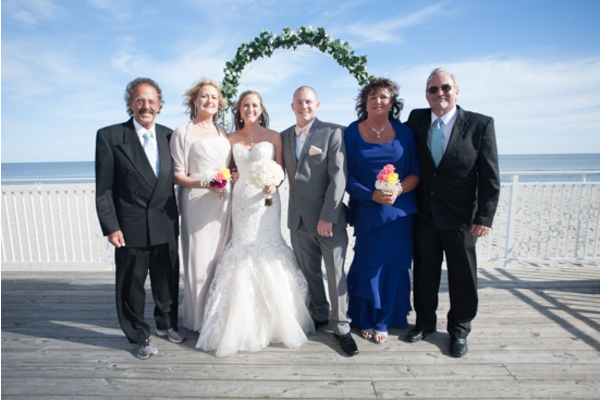 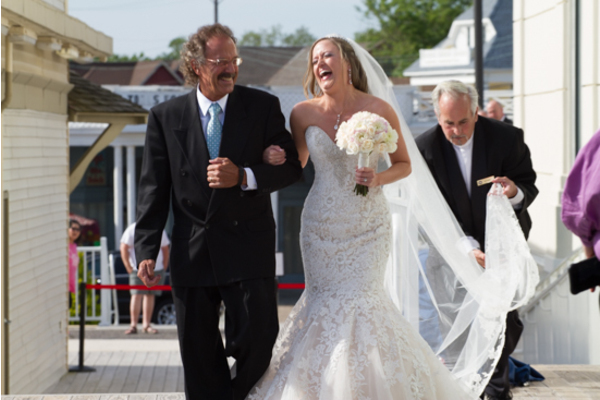 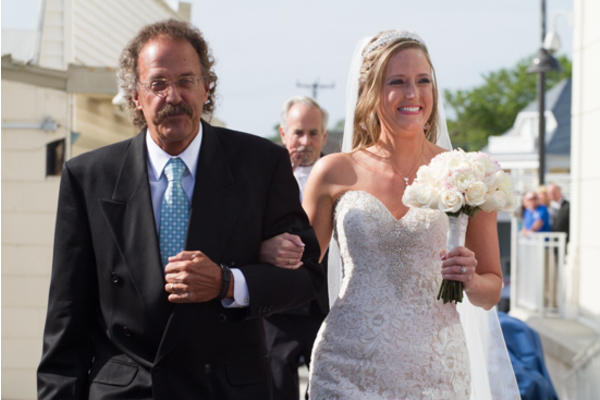 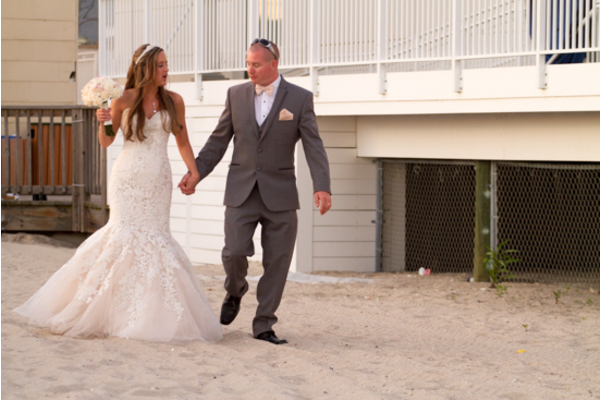 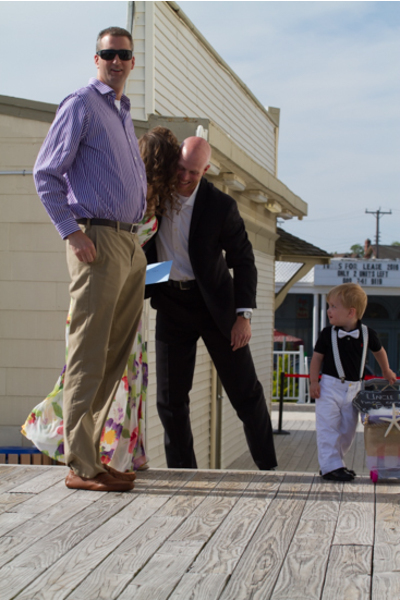 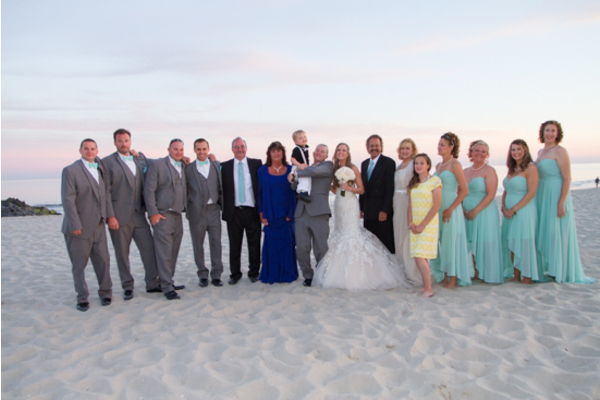 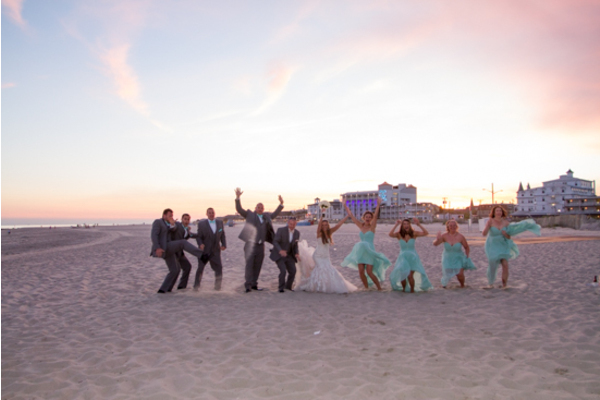 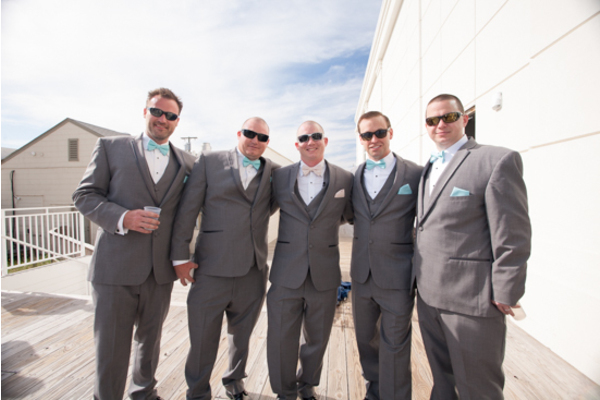 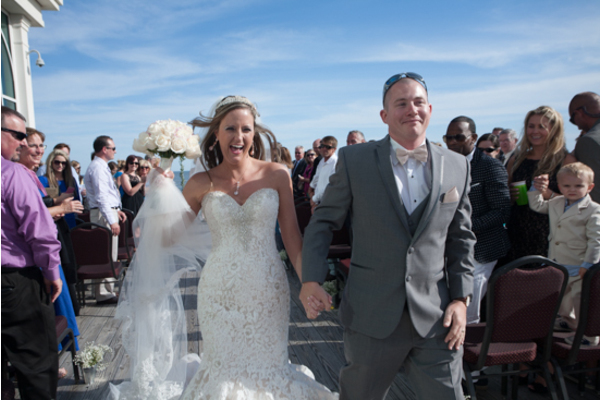 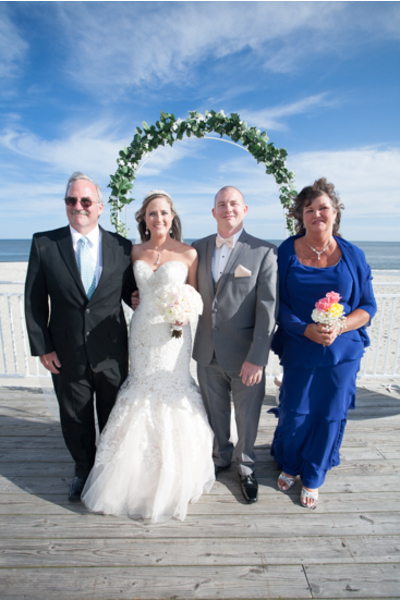 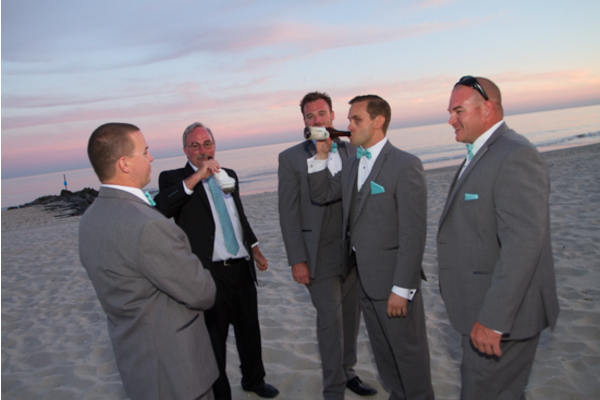 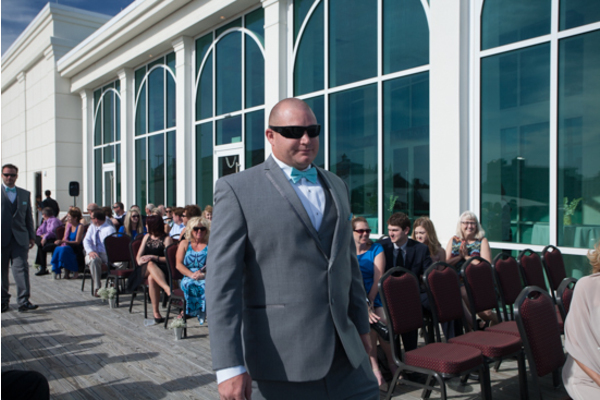 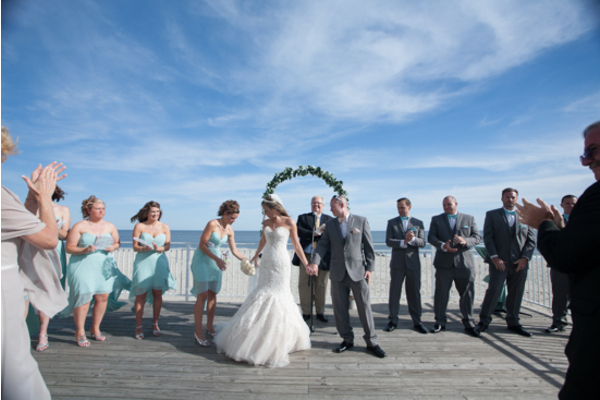 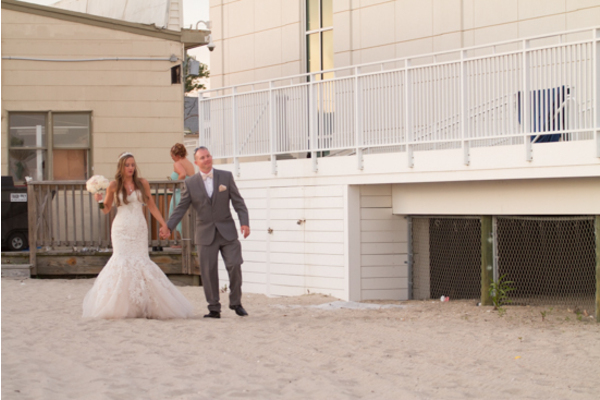 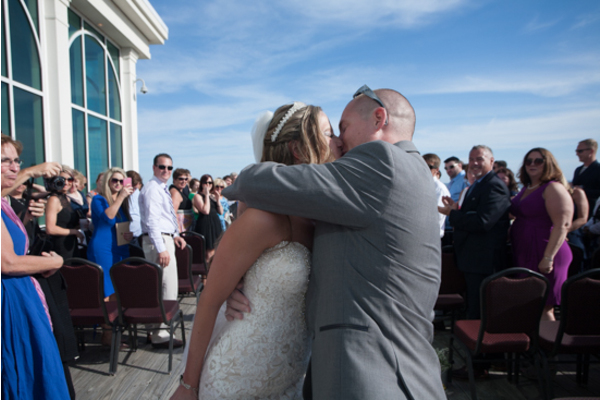 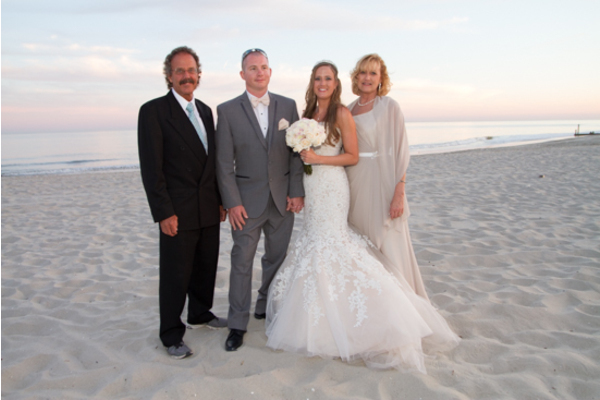 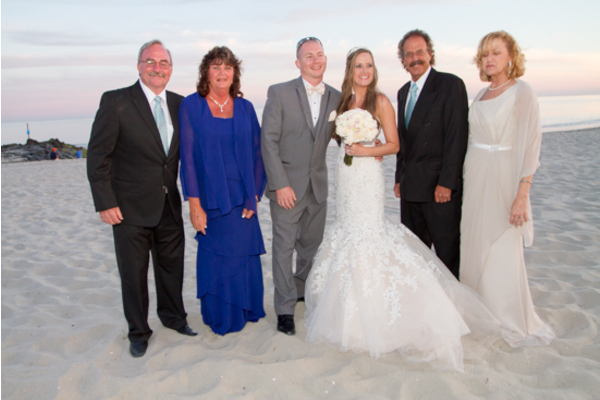 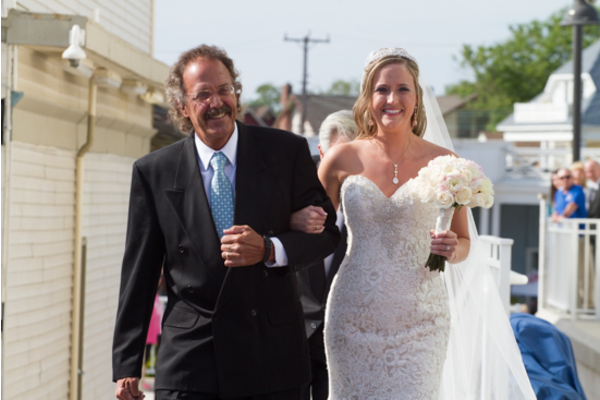 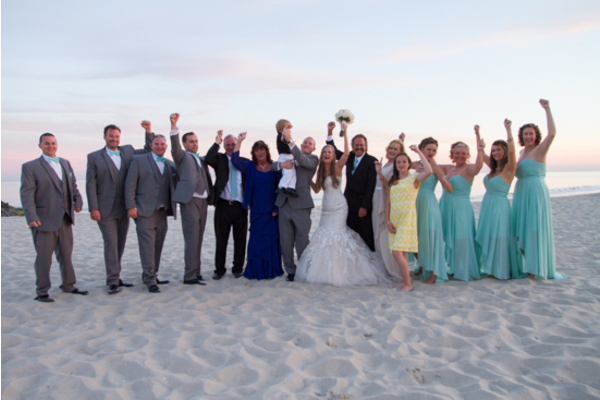 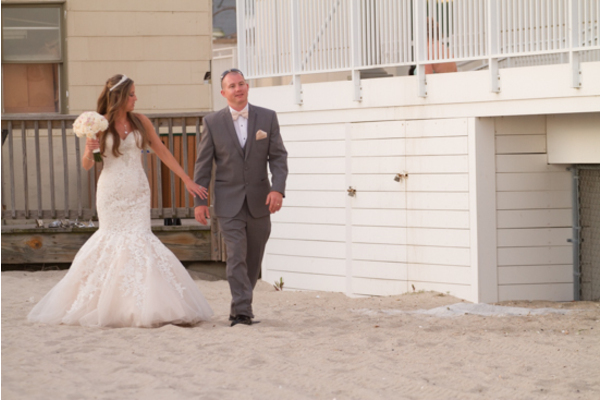 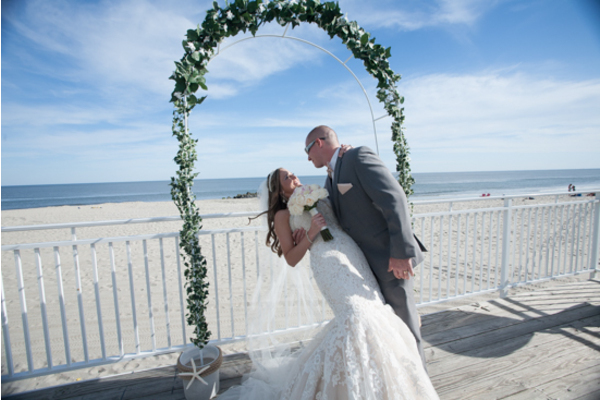 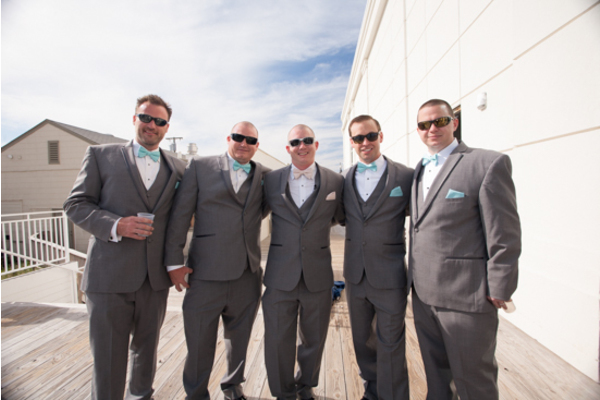 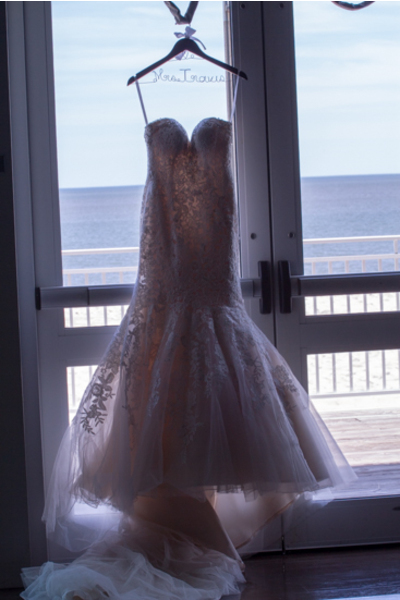 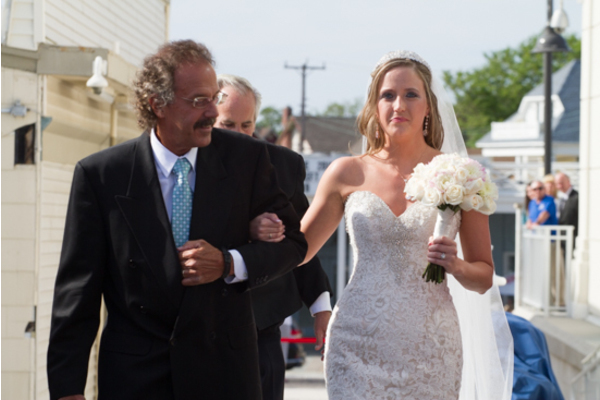 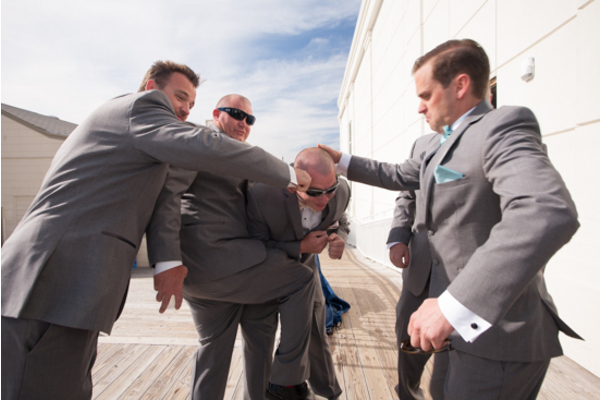 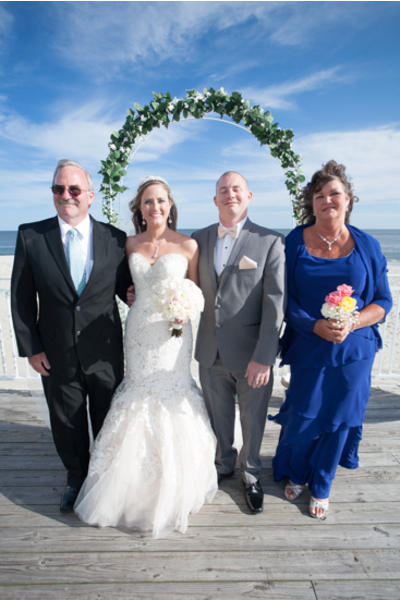 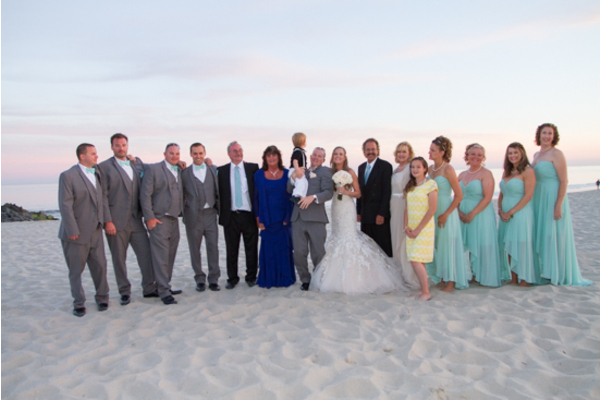 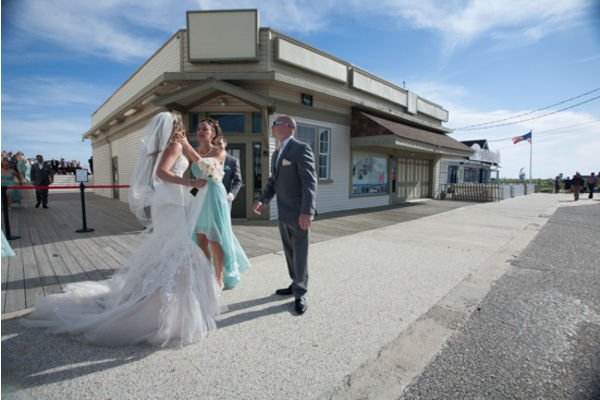 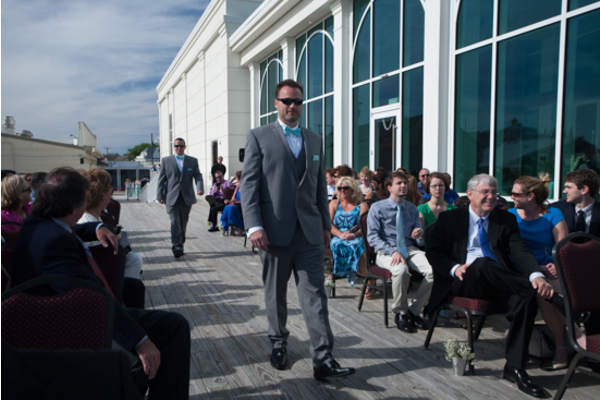 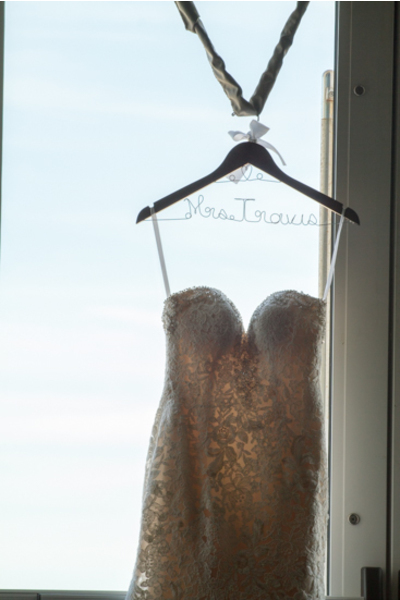 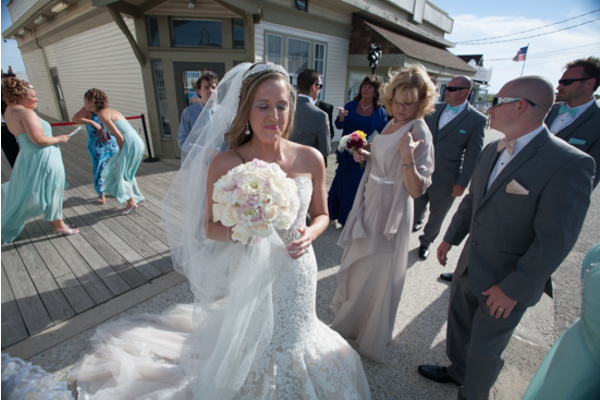 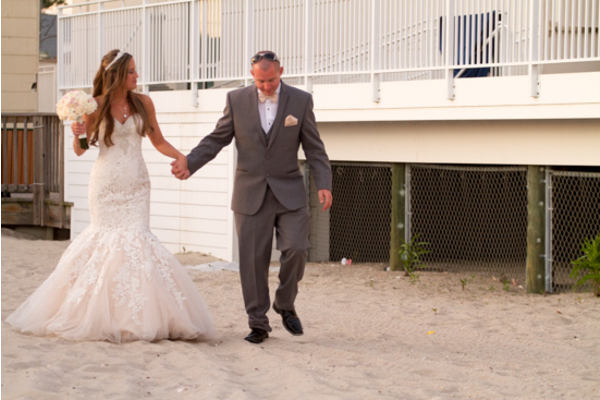 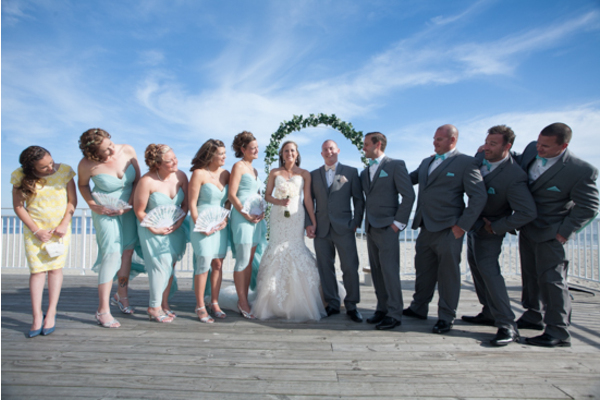 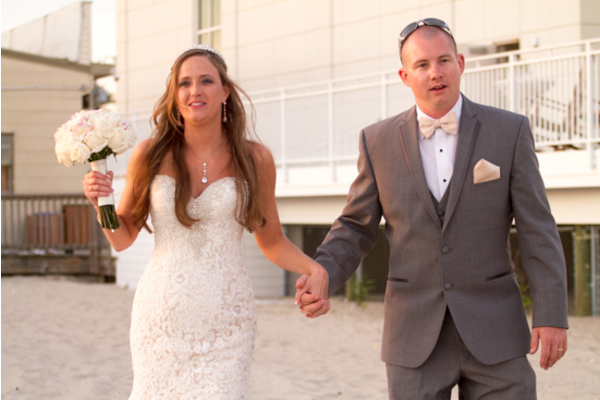 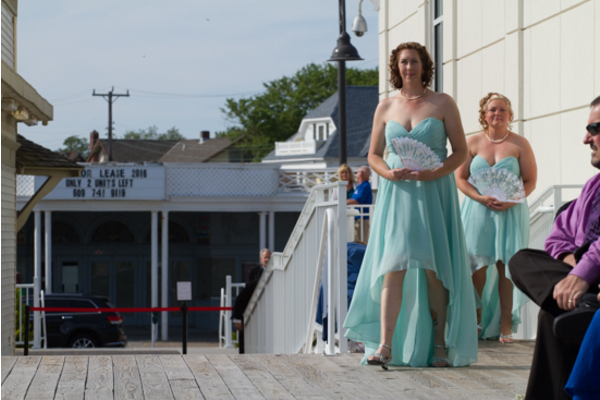 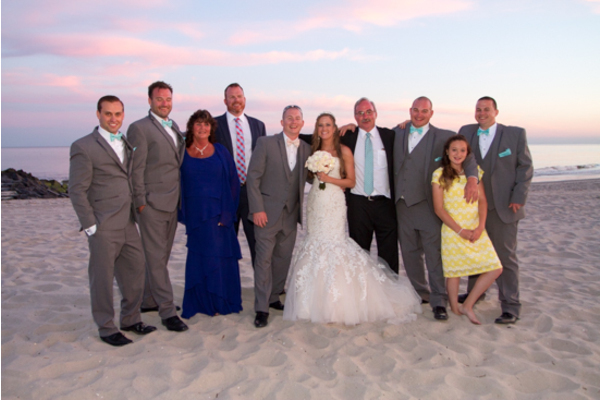 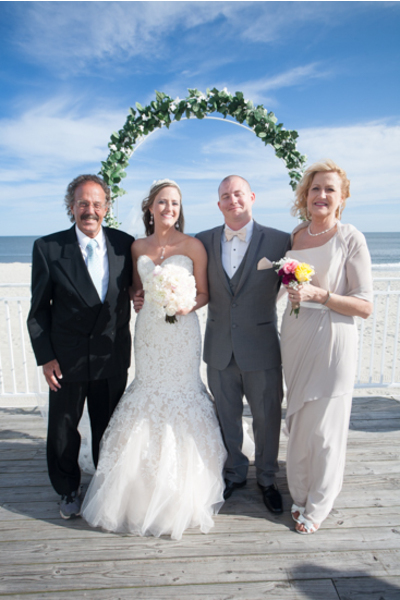 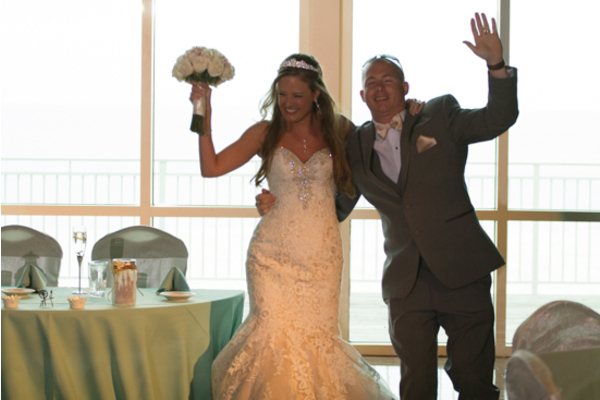 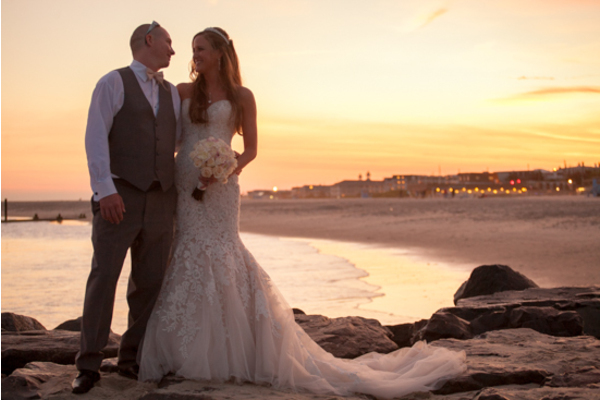 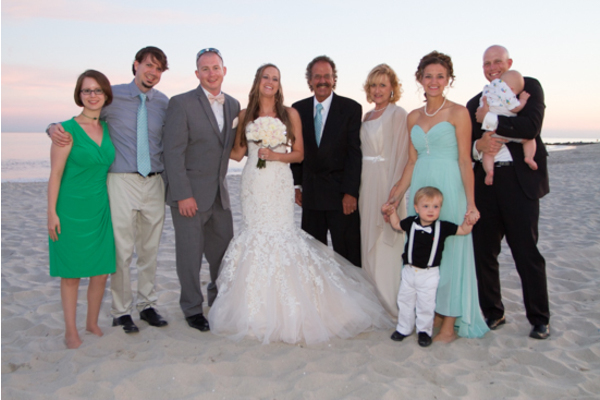 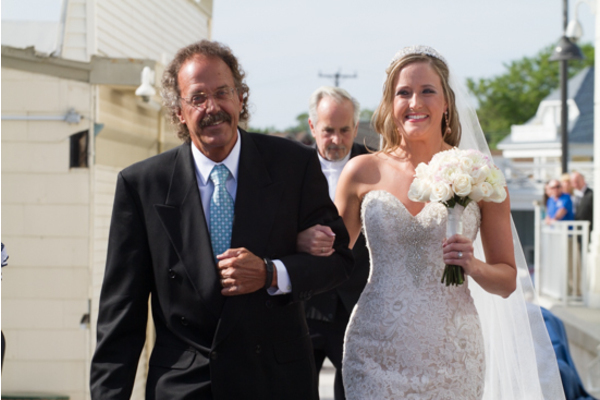 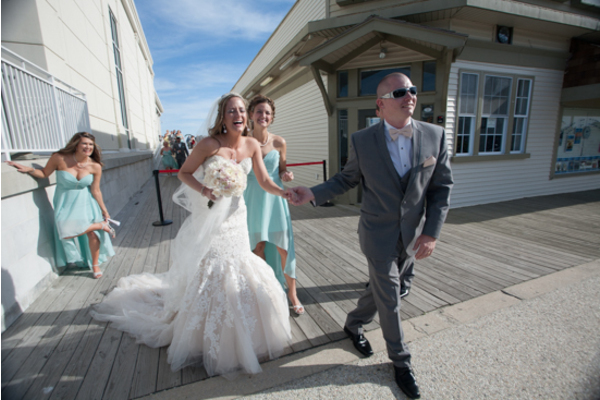 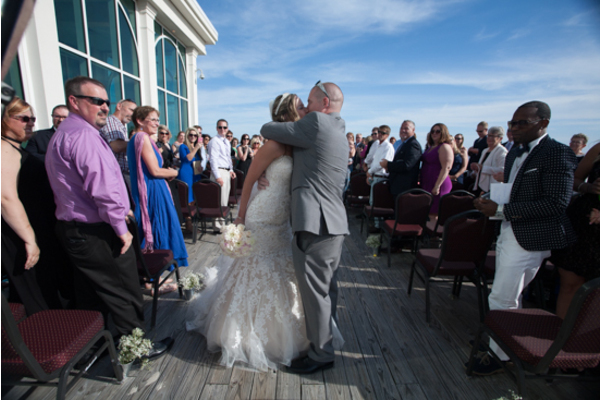 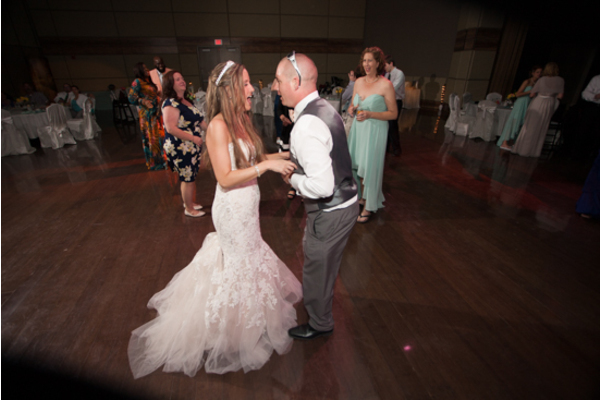 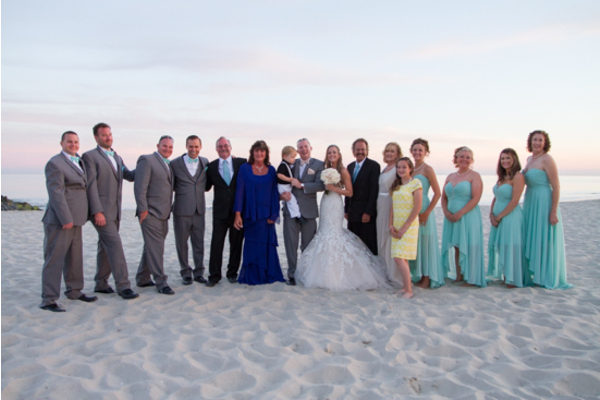 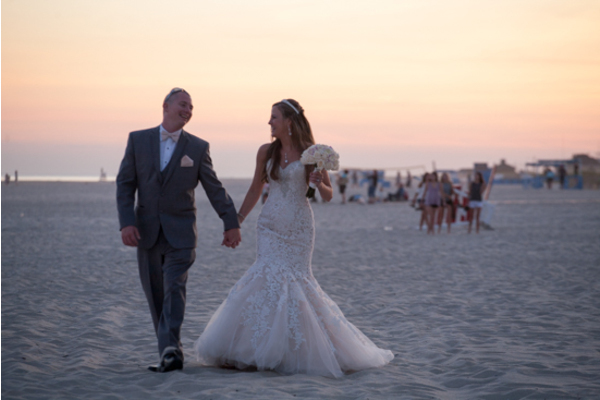 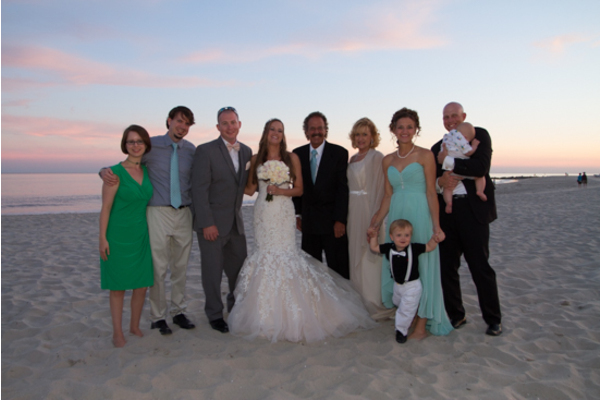 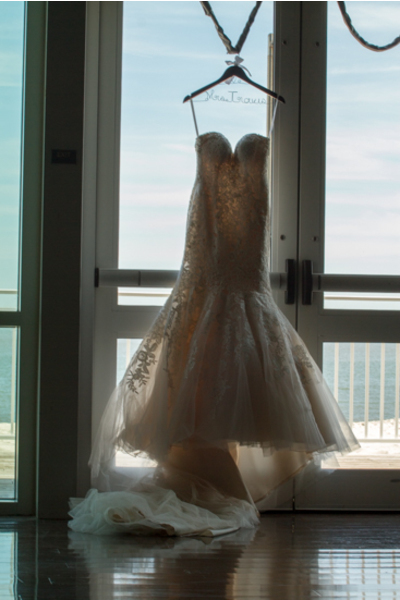 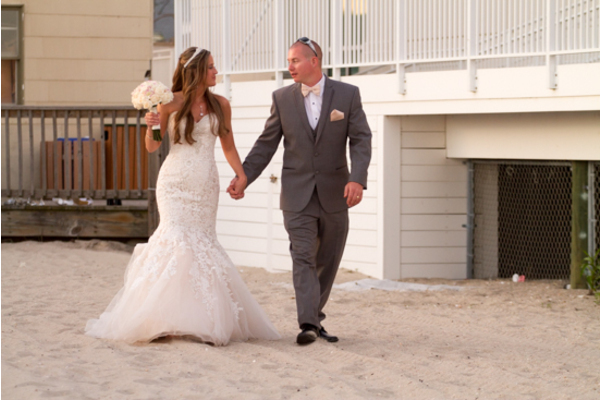 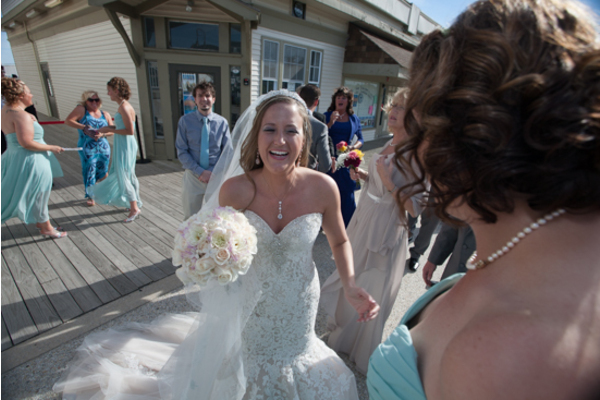 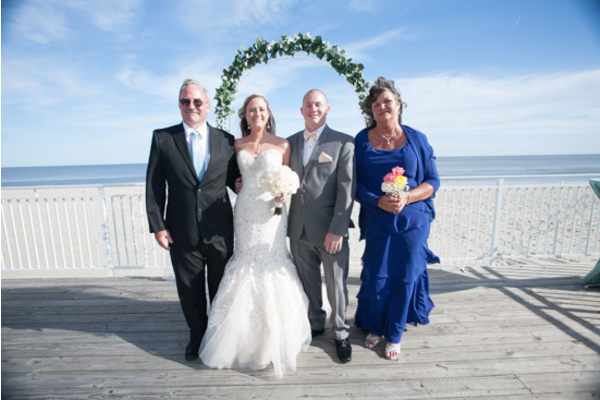 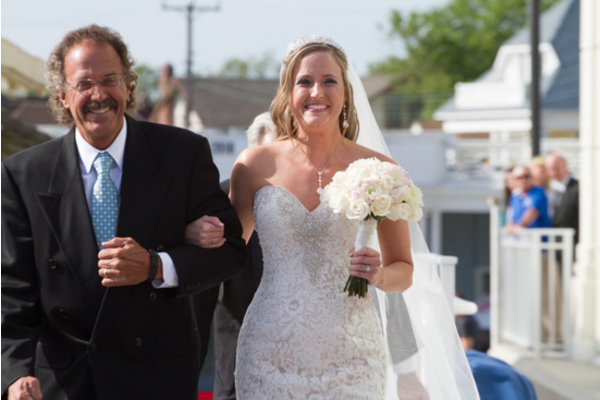 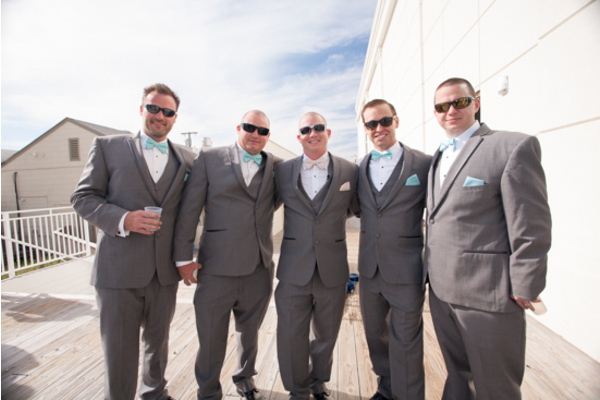 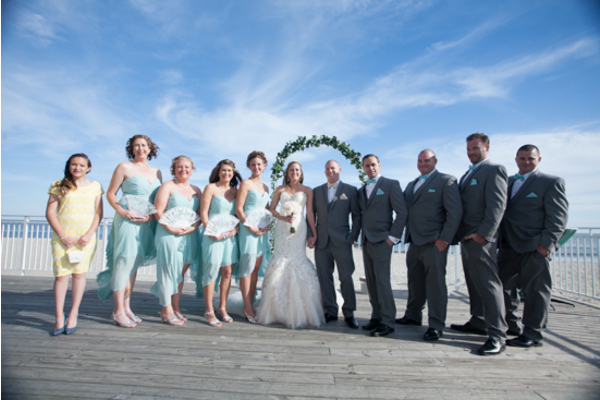 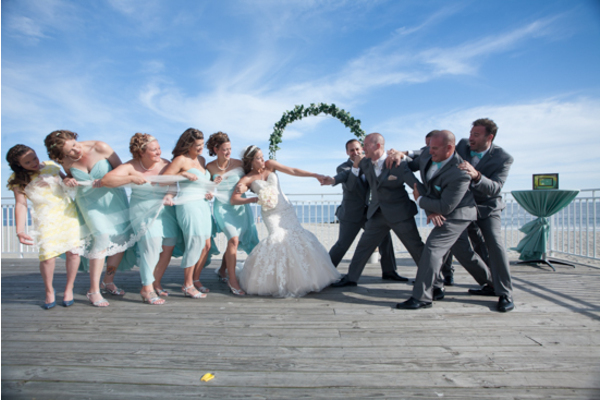 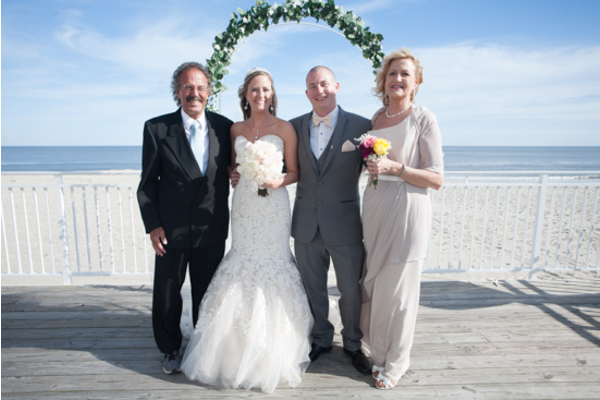 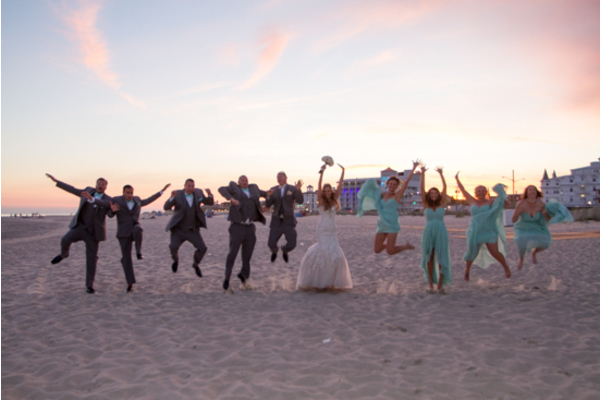 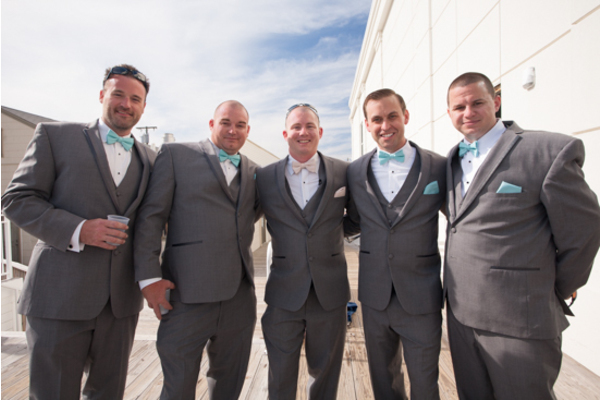 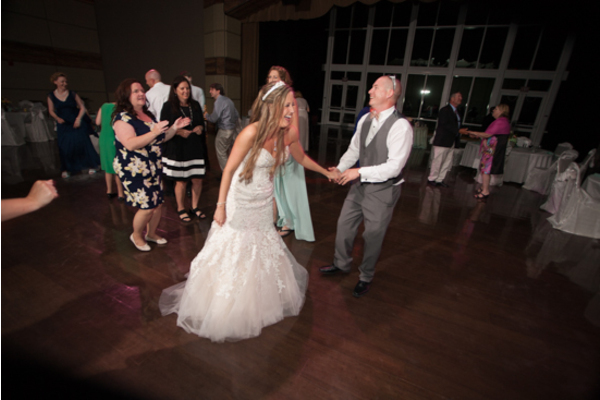 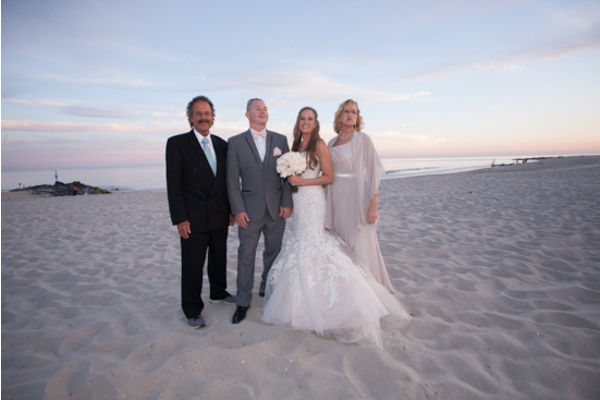 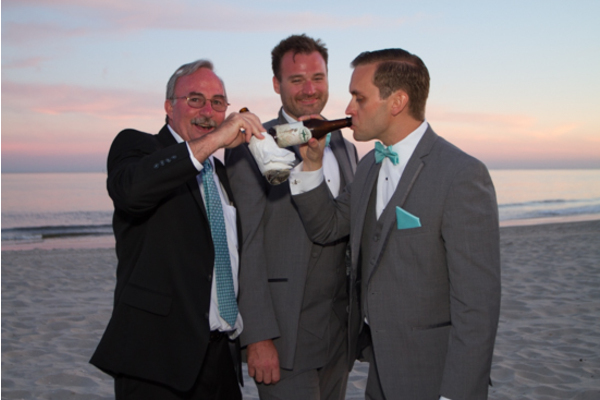 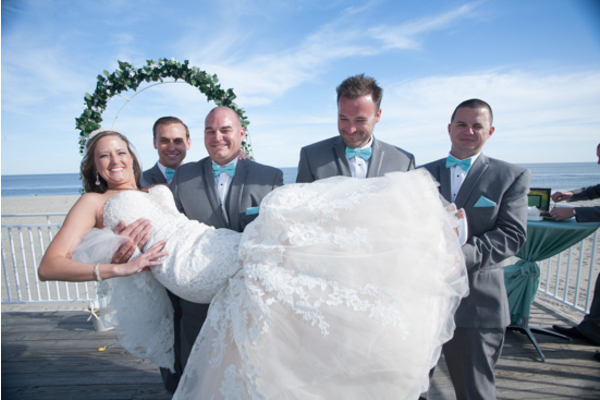 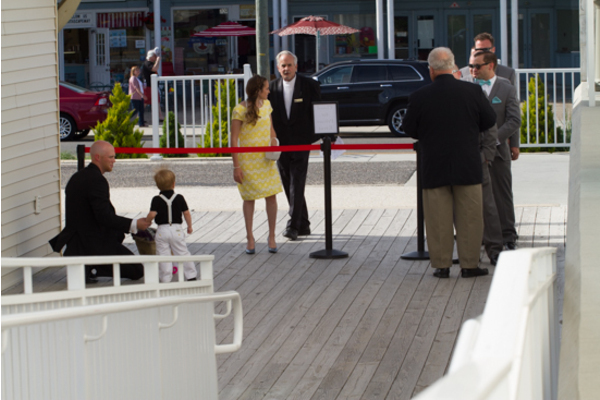 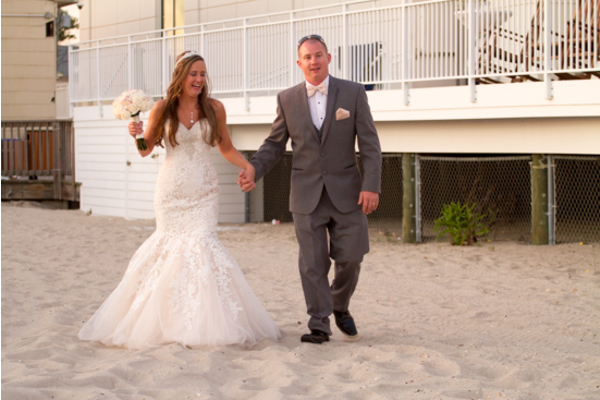 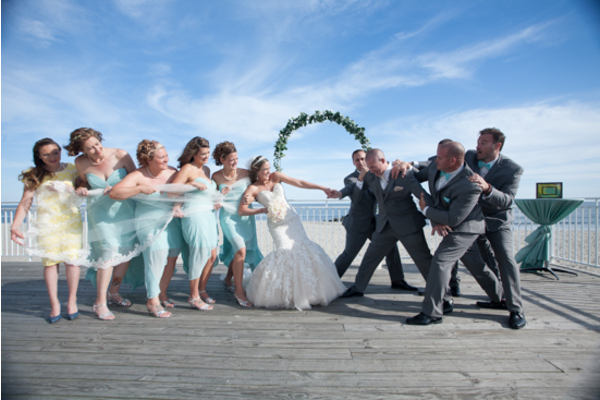 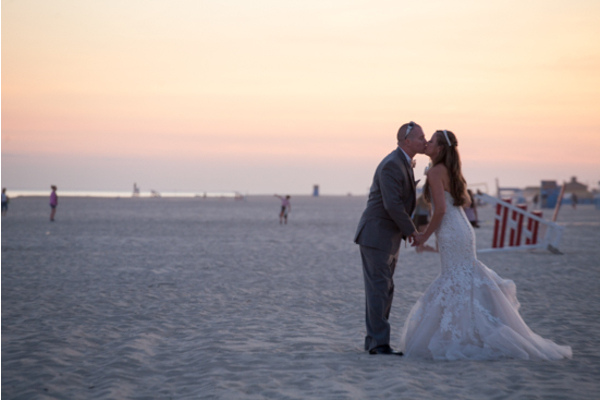 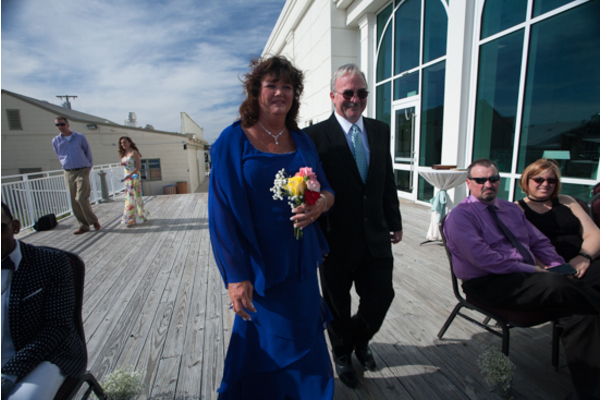 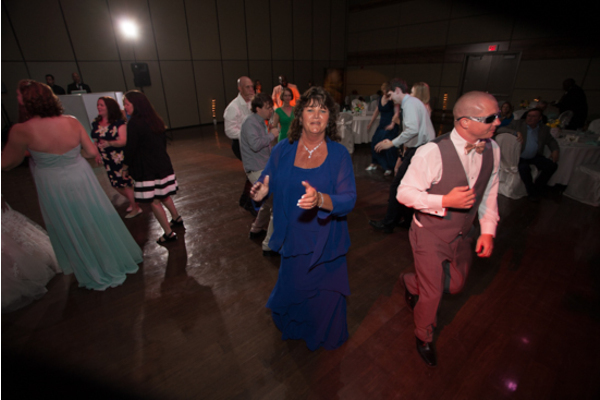 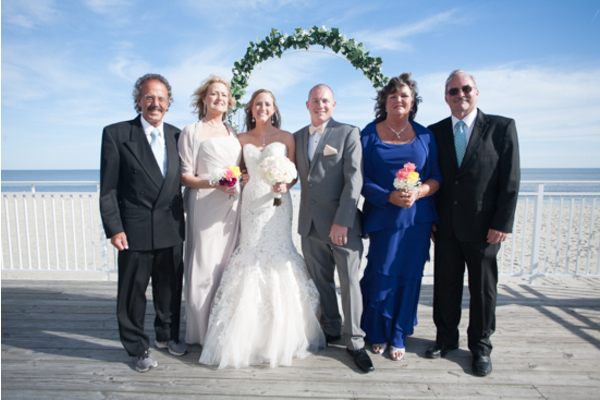 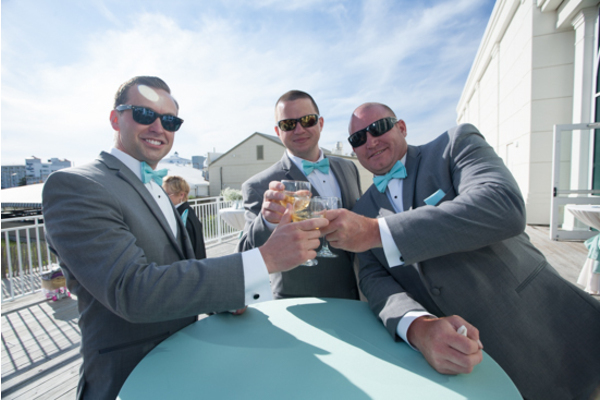 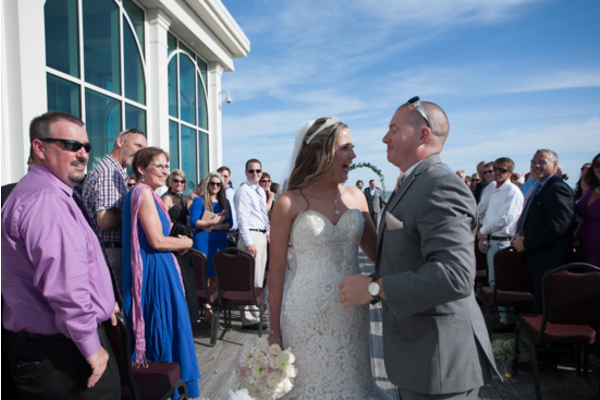 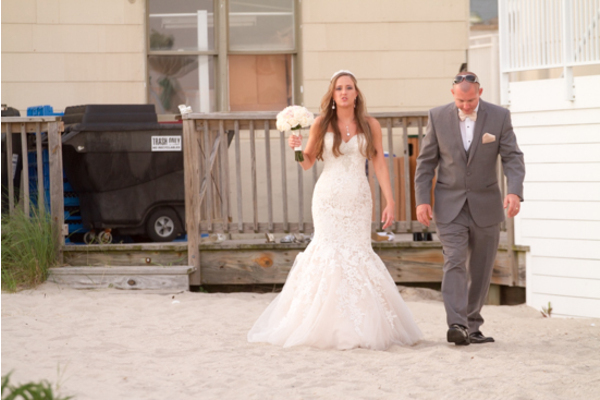 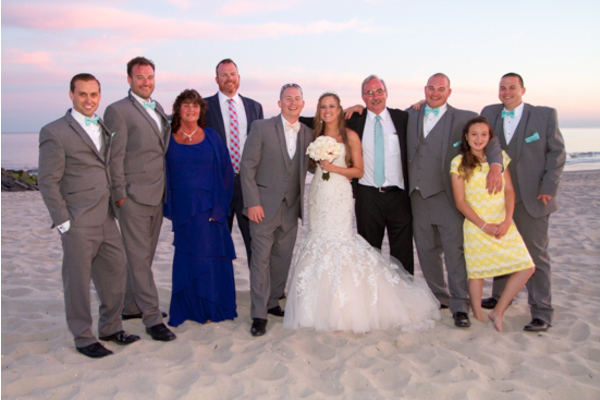 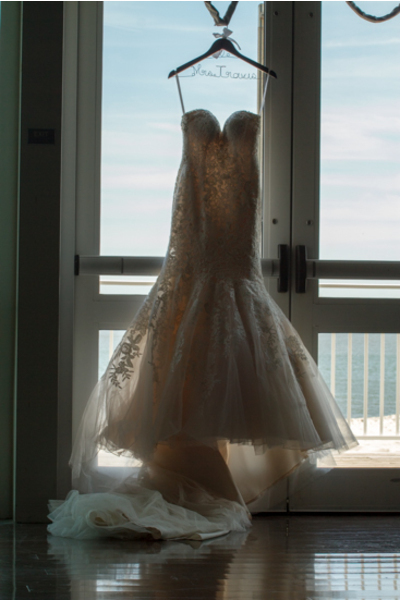 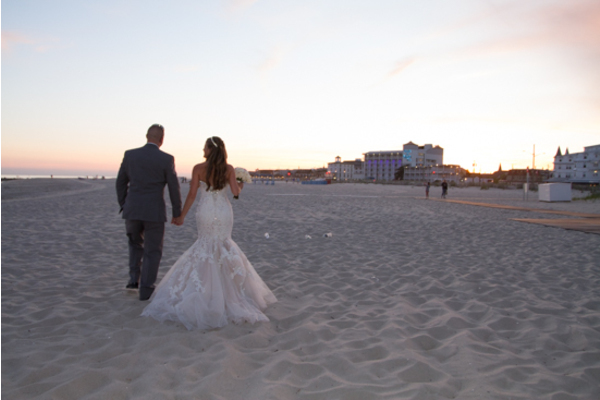 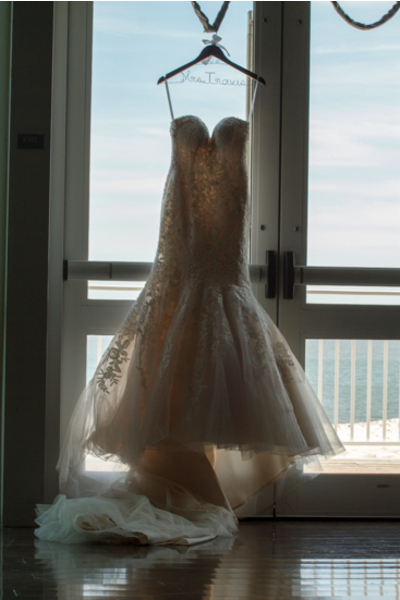 With a ceremony on the Cape May Boardwalk that dazzled guests to the strapless lace mermaid style dress that the bride wore, this couple was as elegant as can be. 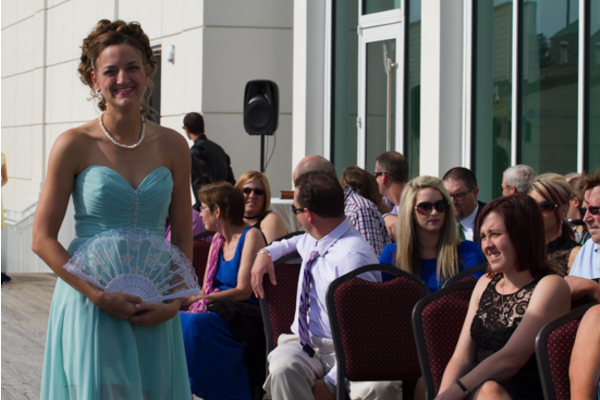 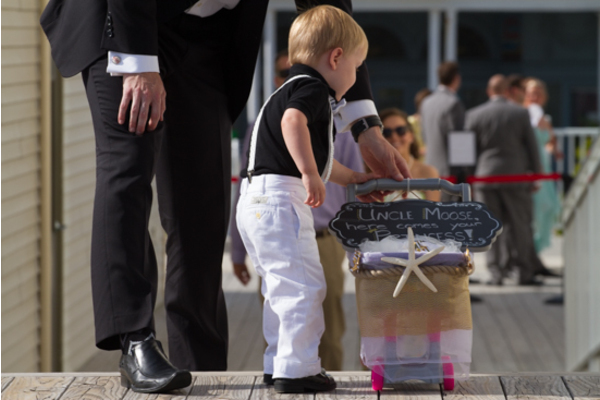 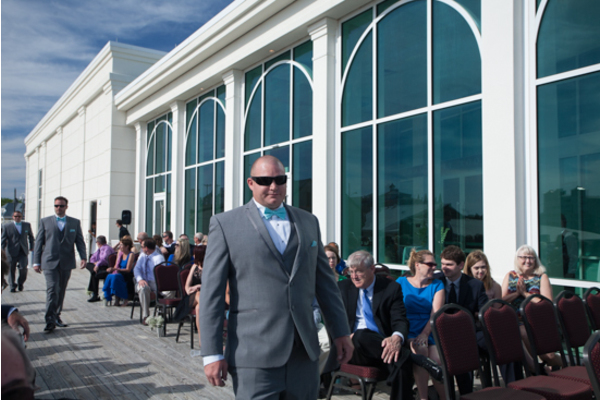 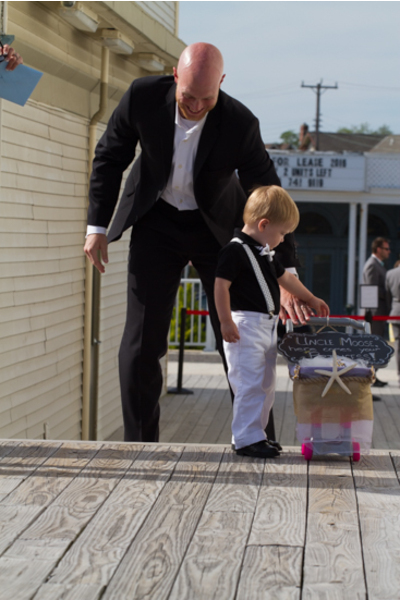 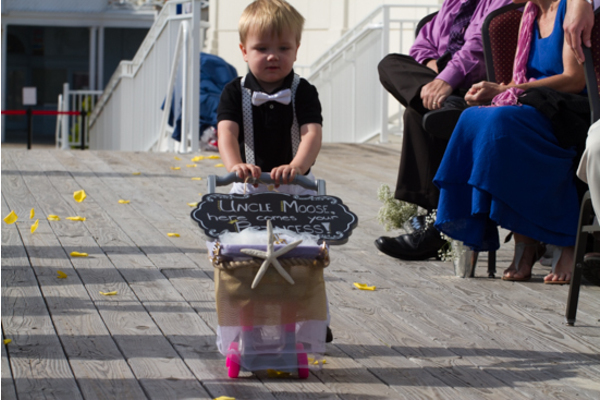 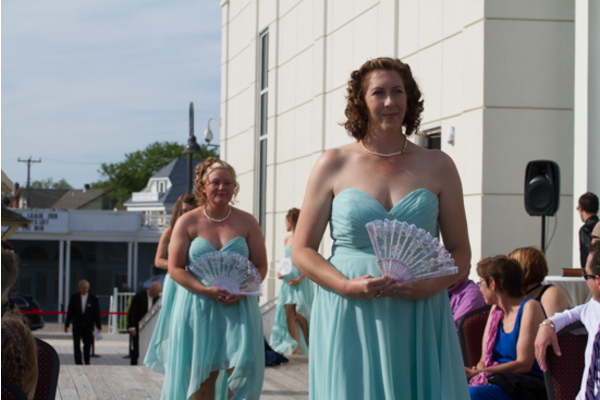 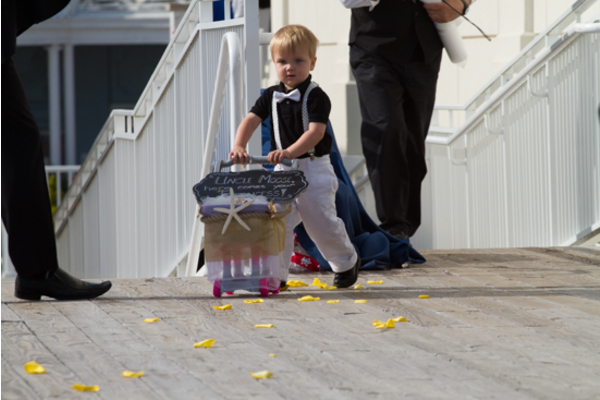 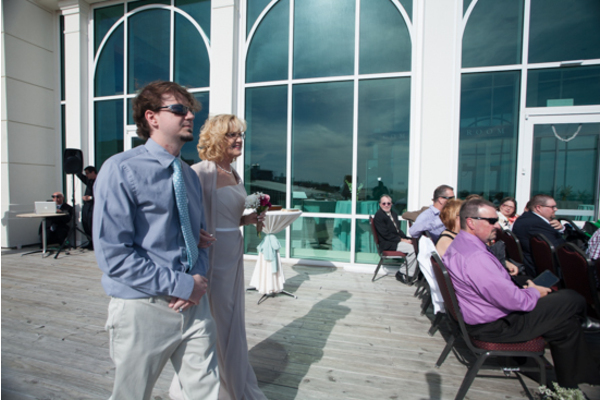 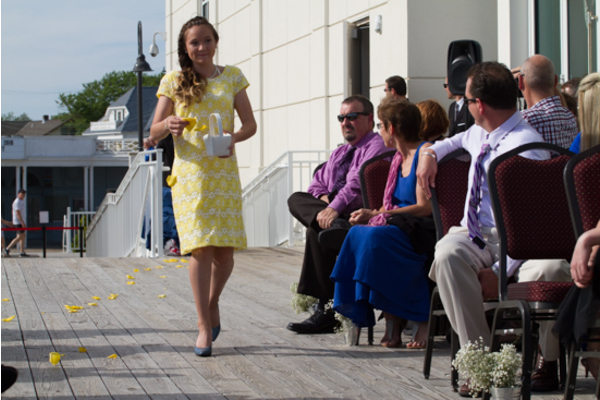 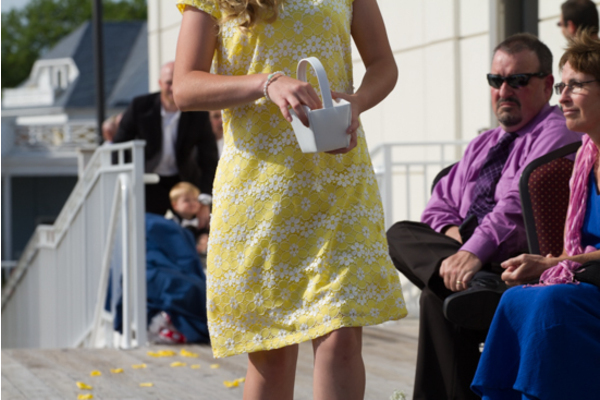 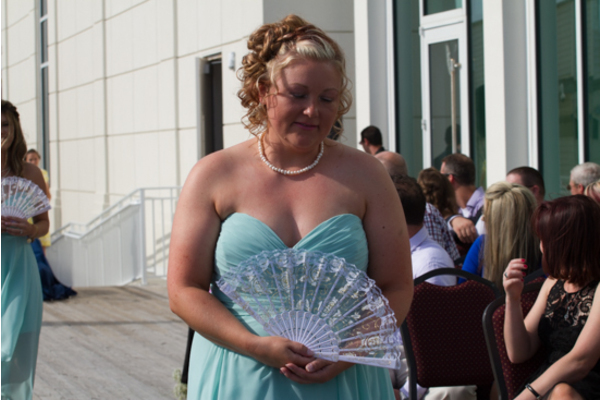 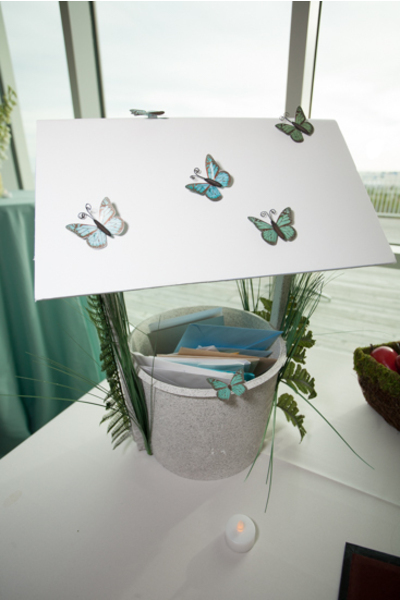 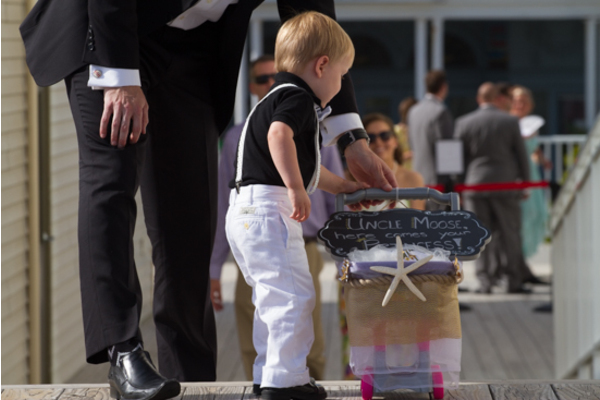 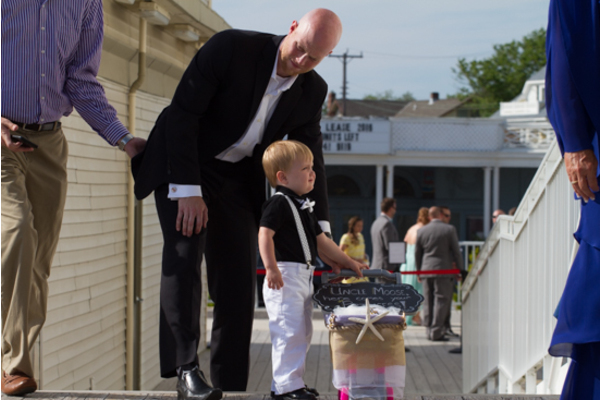 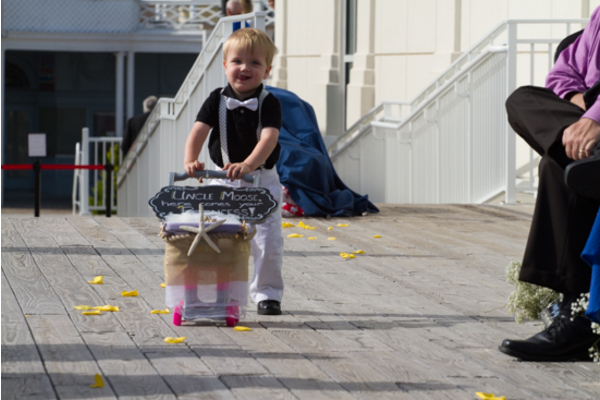 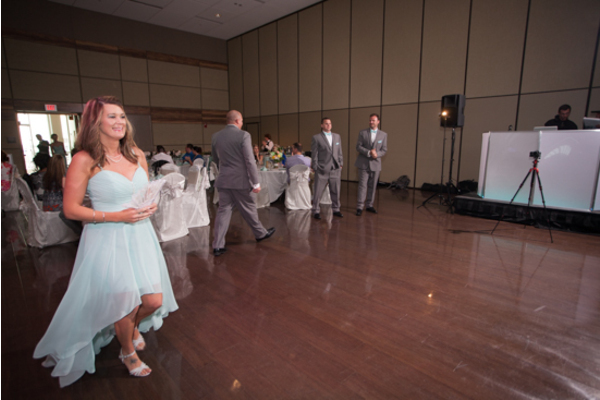 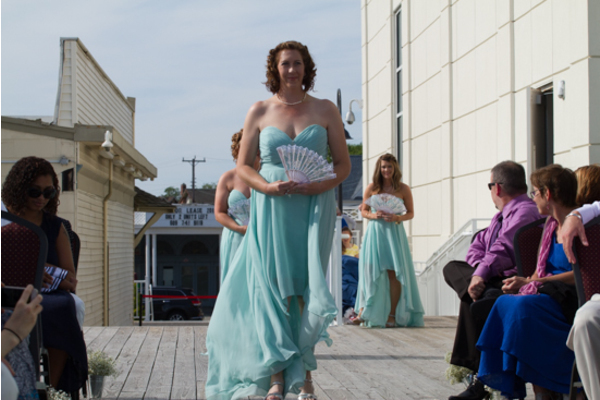 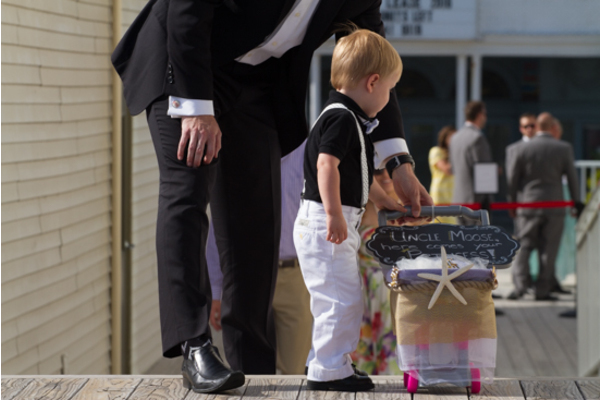 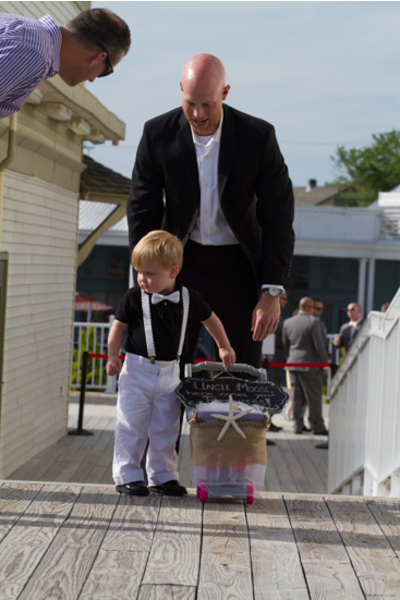 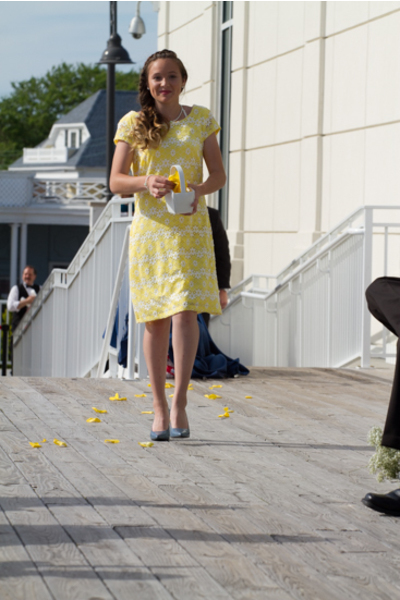 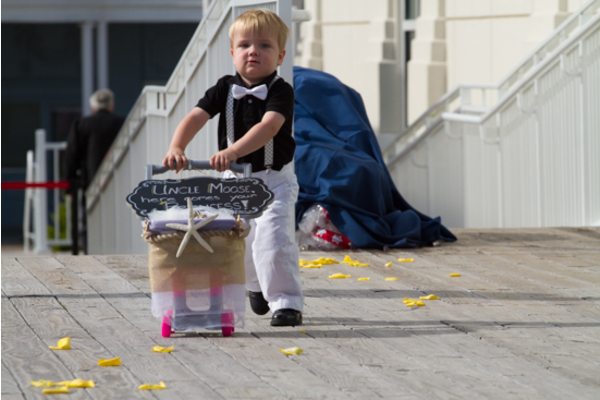 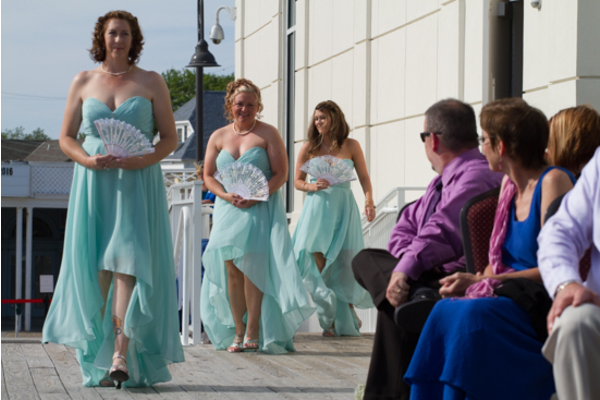 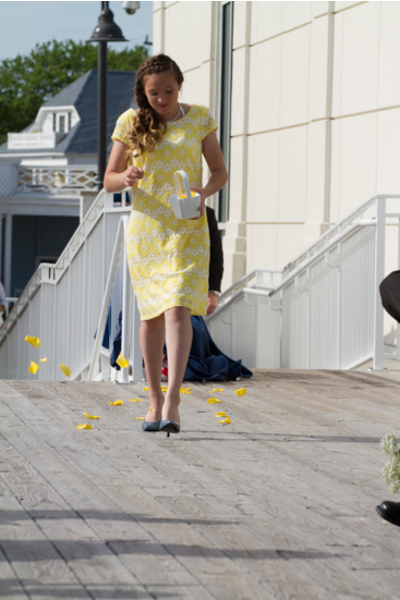 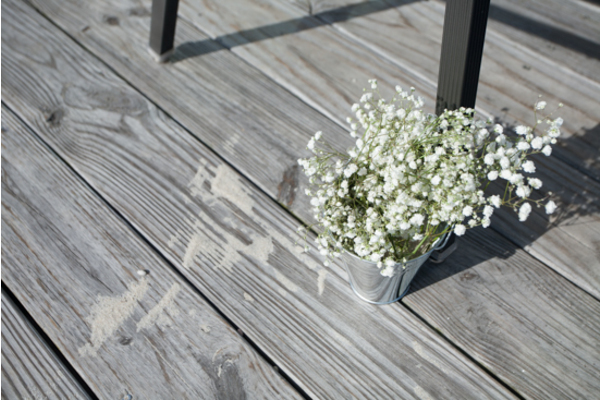 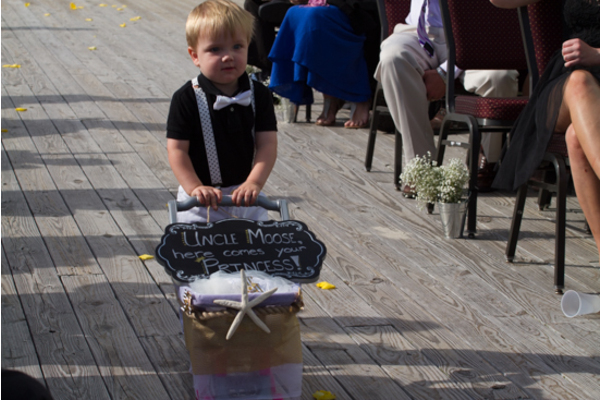 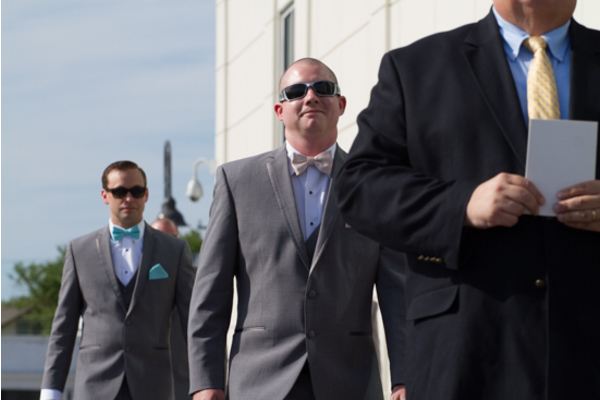 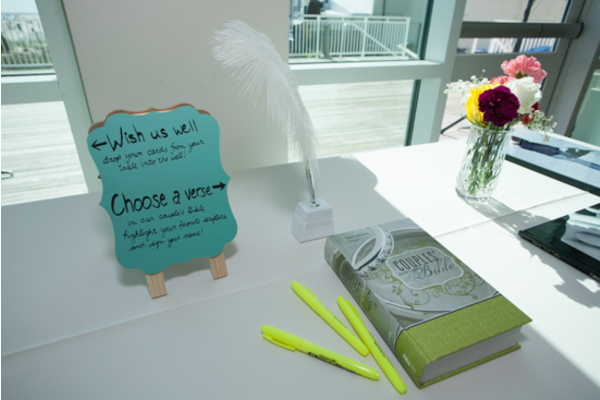 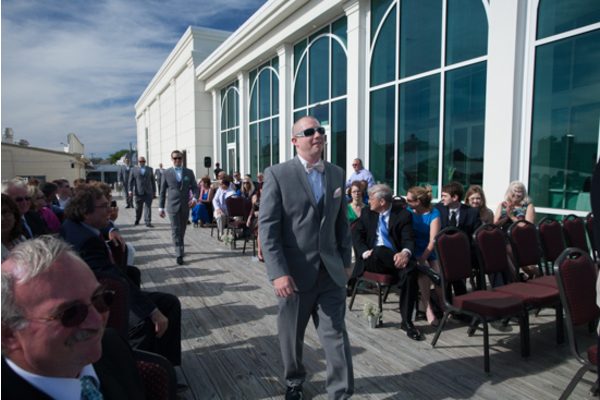 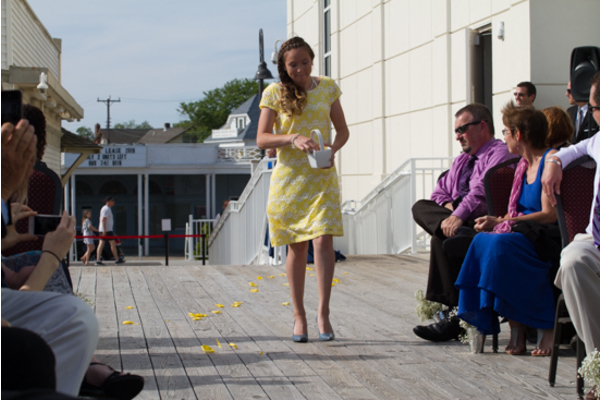 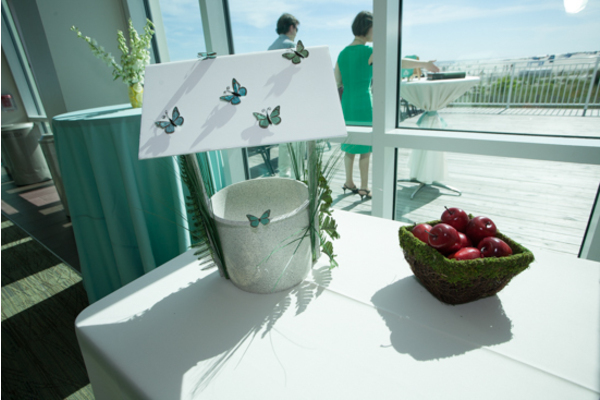 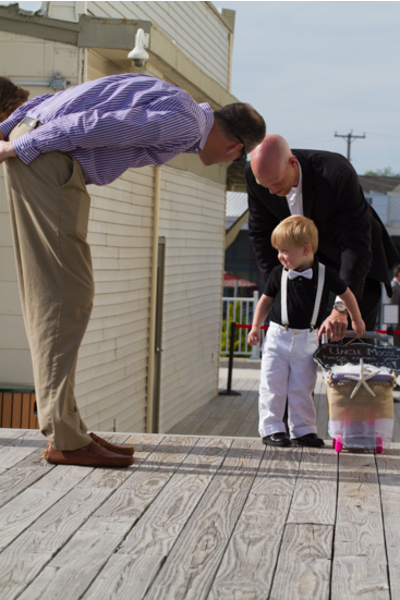 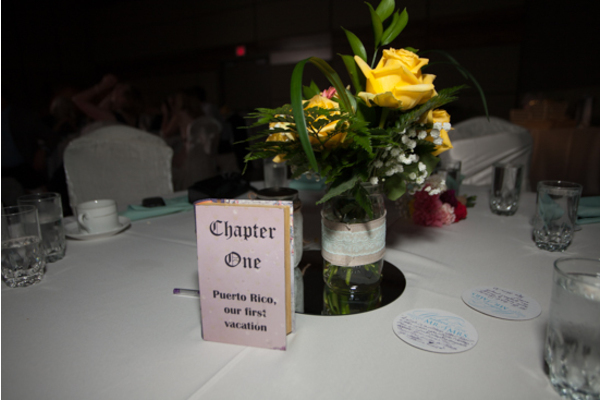 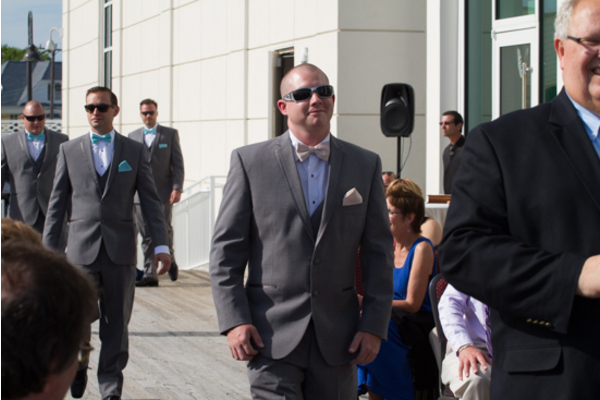 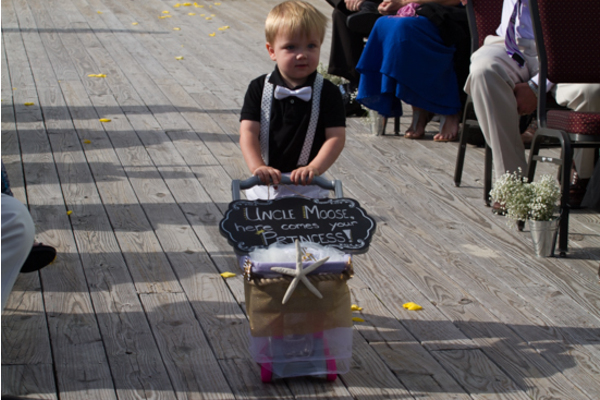 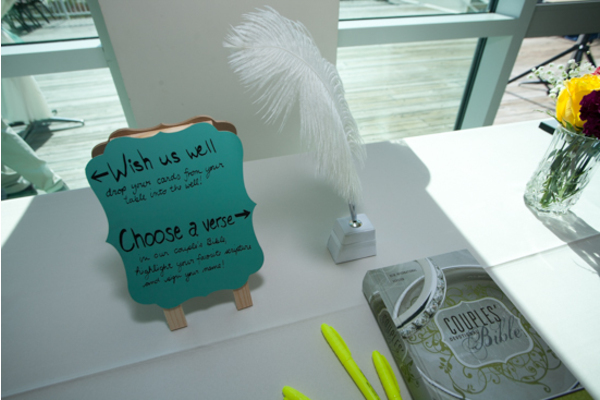 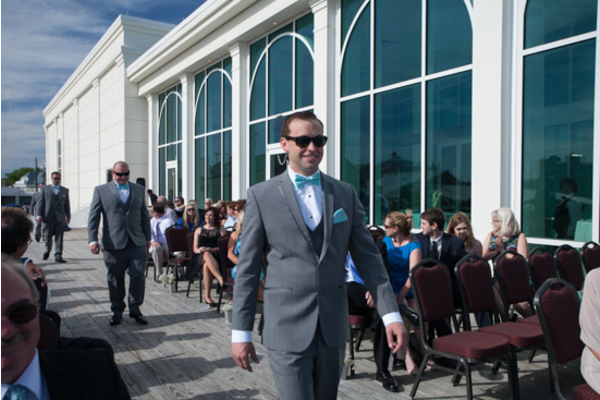 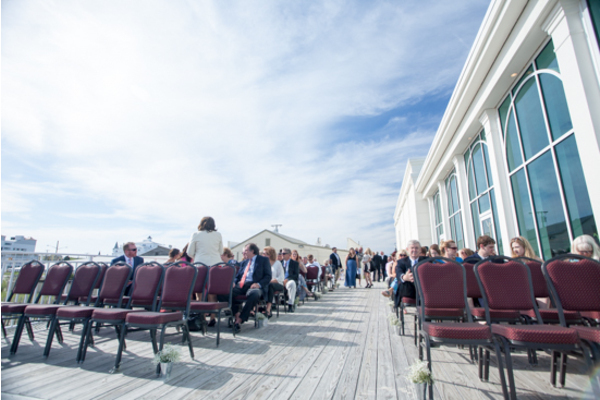 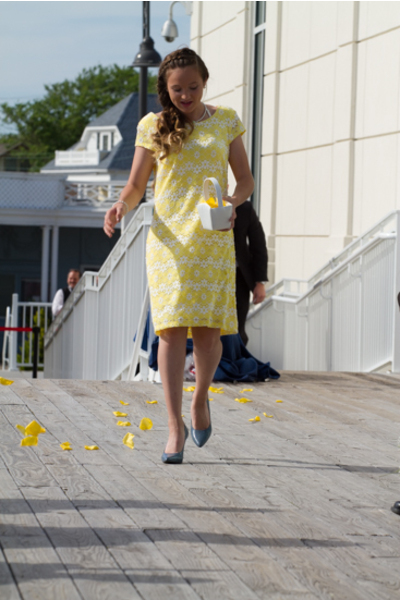 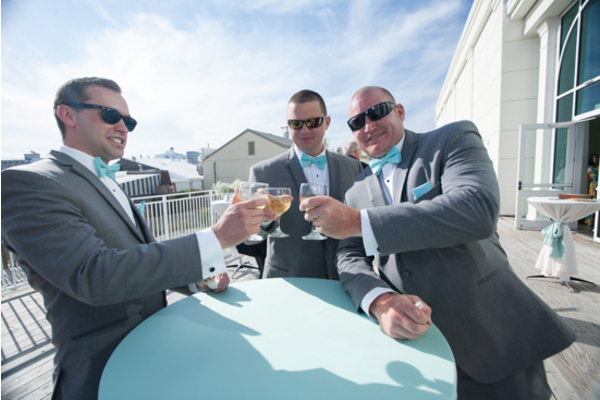 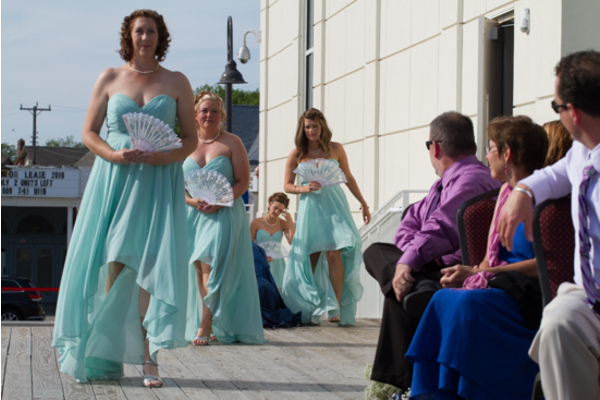 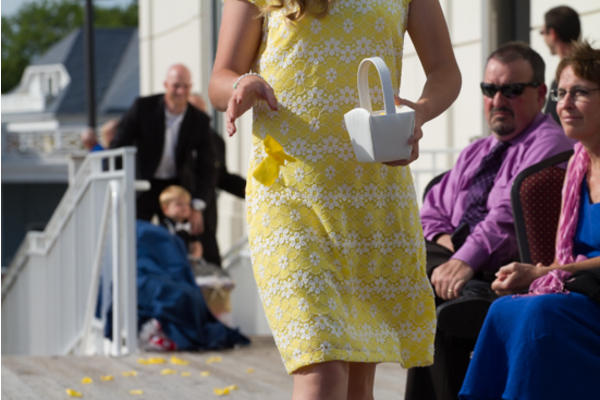 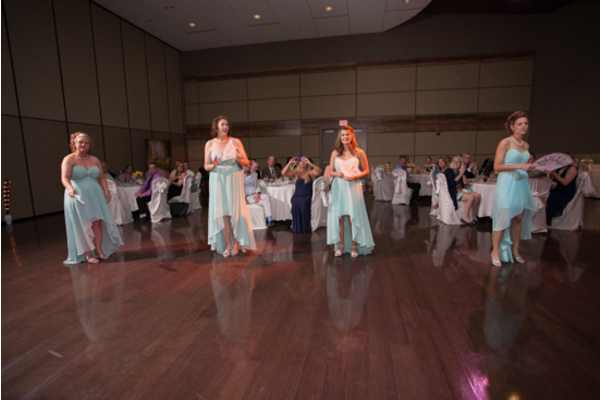 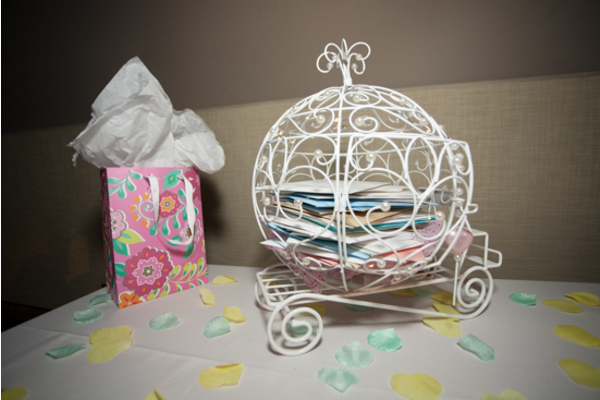 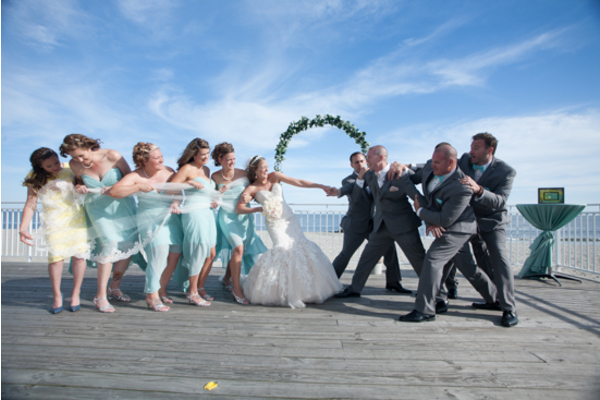 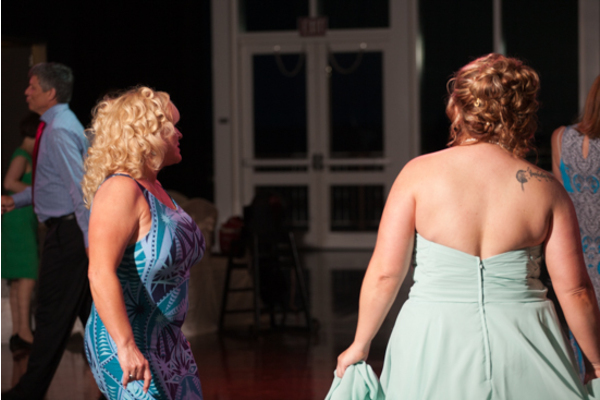 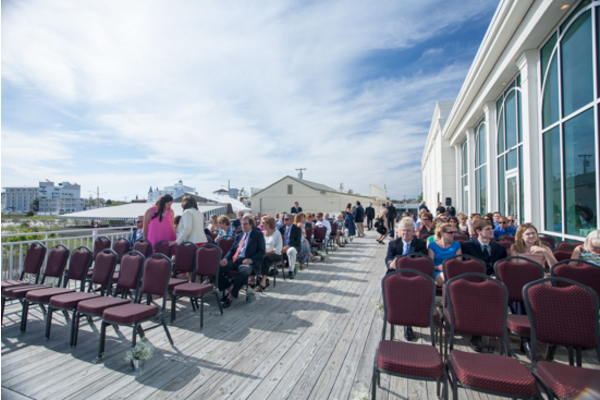 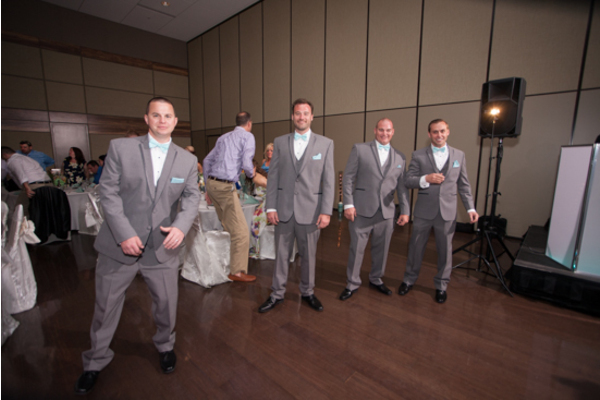 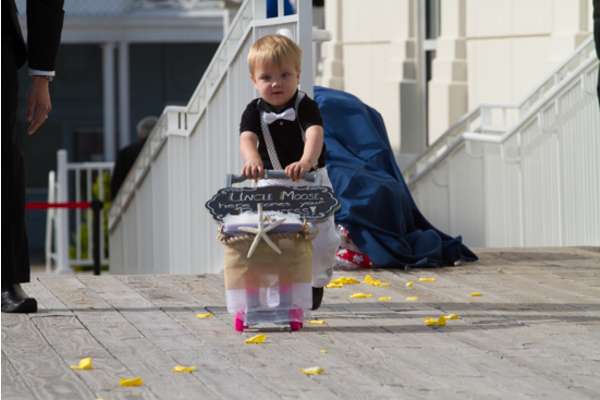 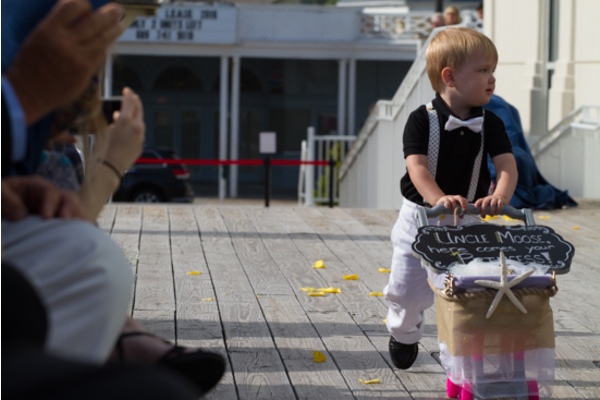 Unique touches during the ceremony such as the boardwalk aisle or the idea that the bridesmaids would carry luxurious white fans instead of floral bouquets as they took their walk down the aisle. 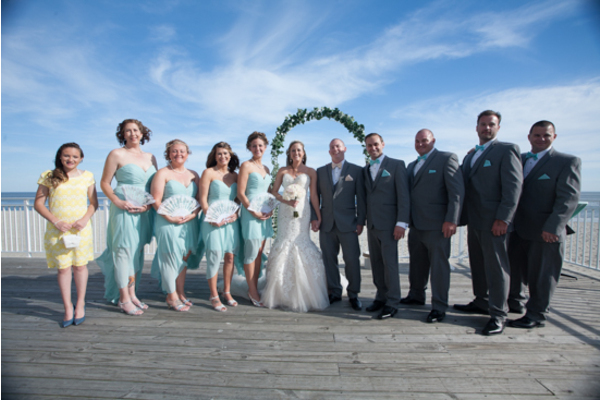 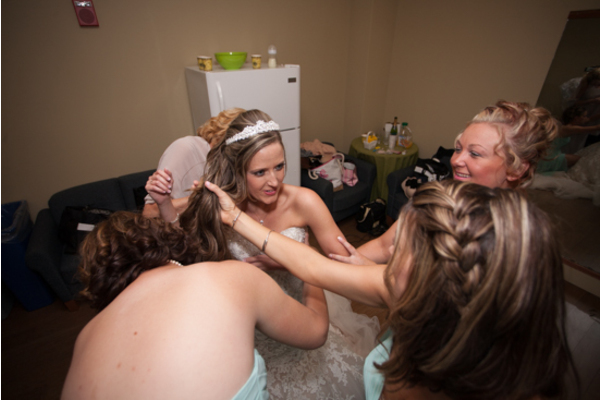 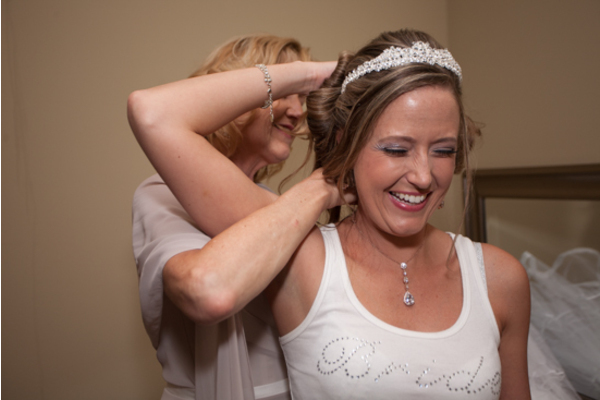 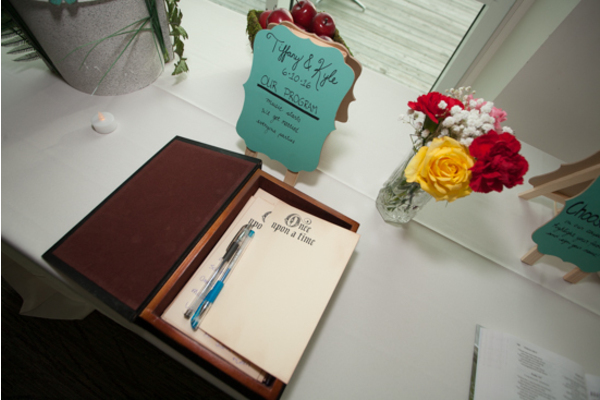 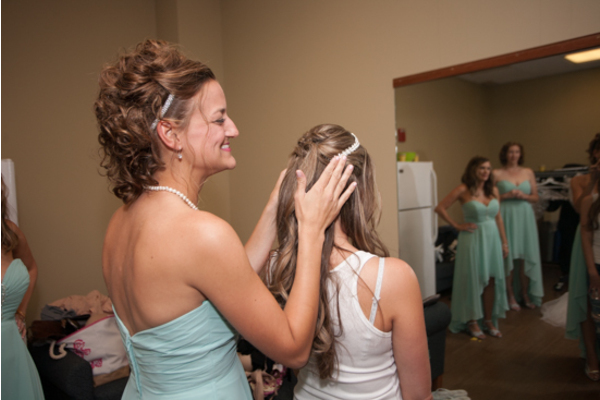 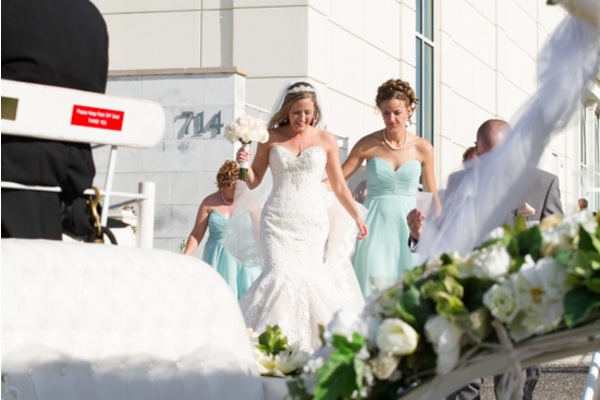 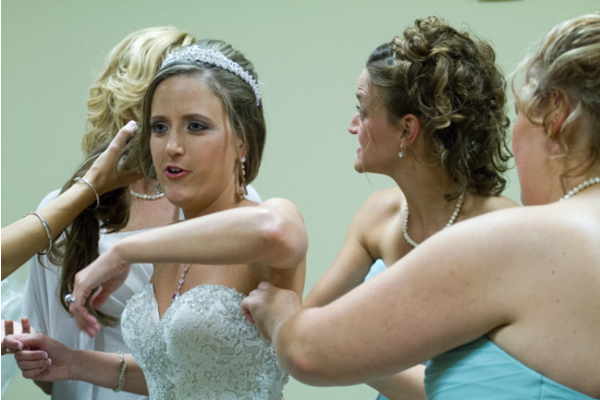 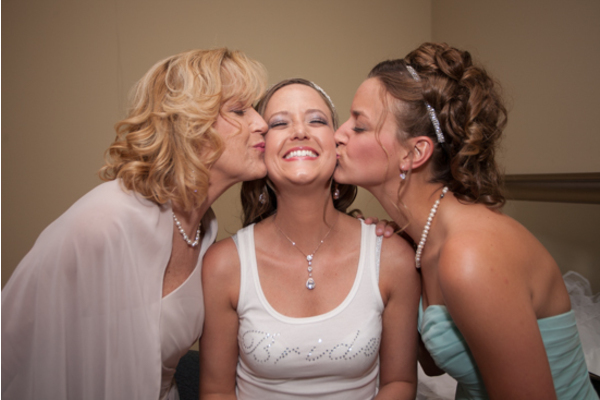 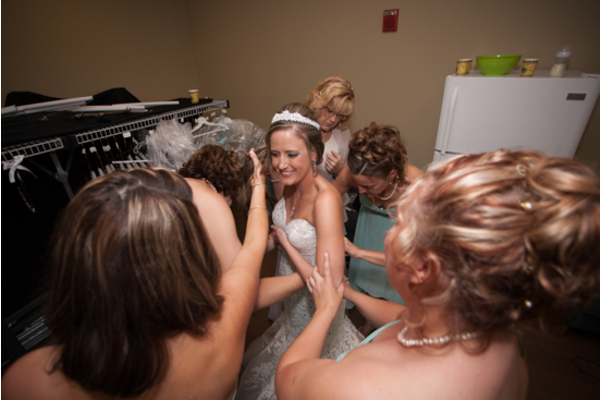 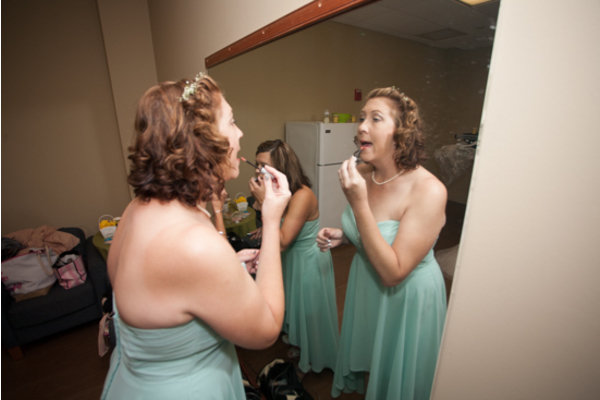 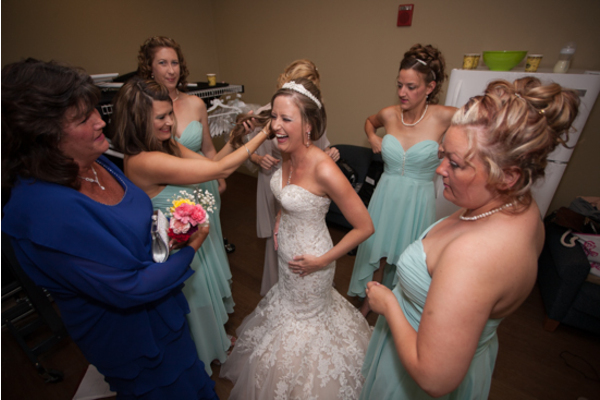 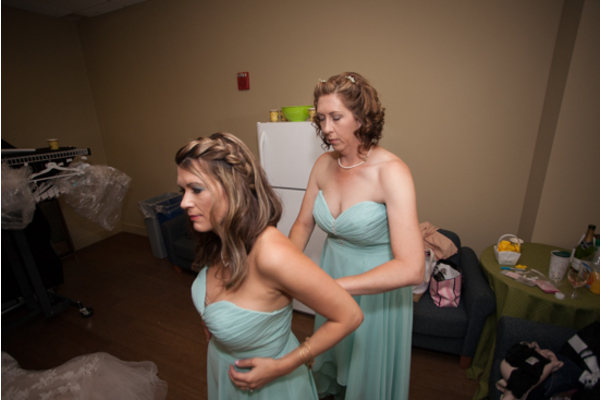 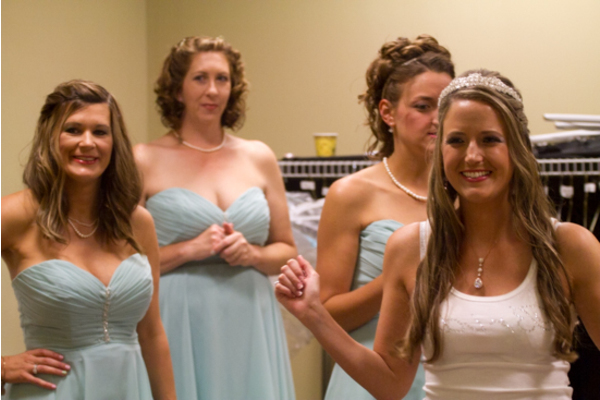 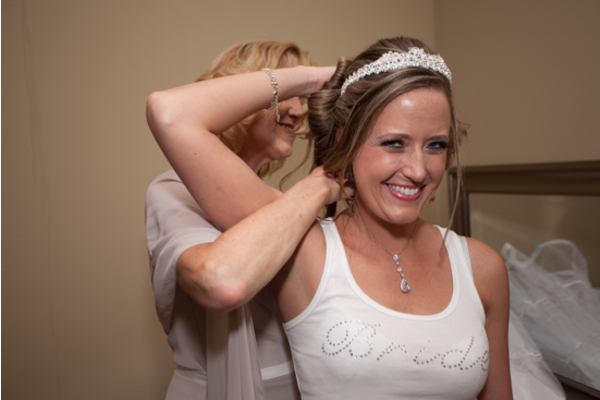 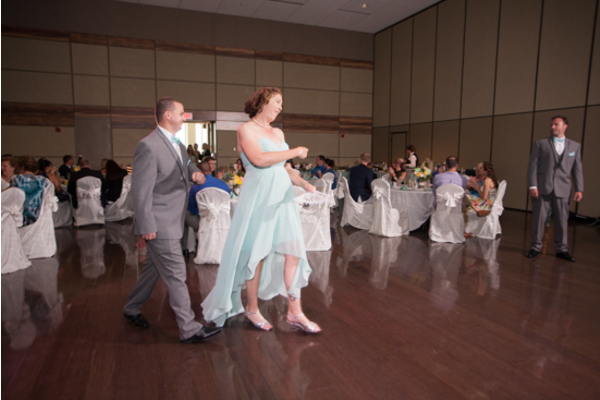 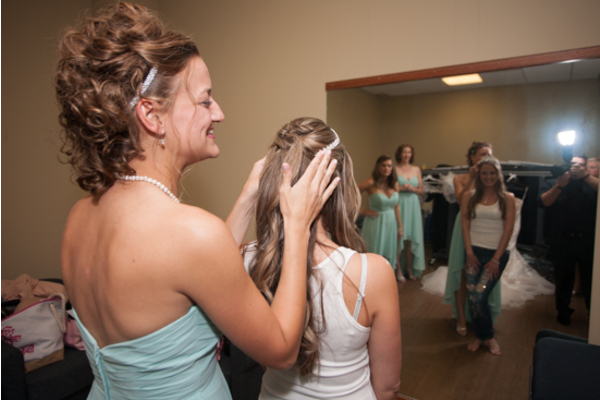 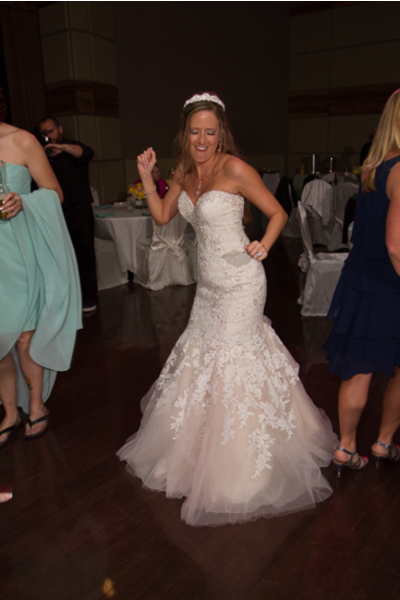 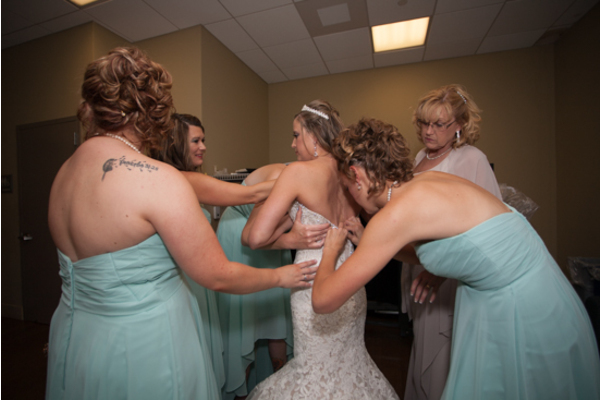 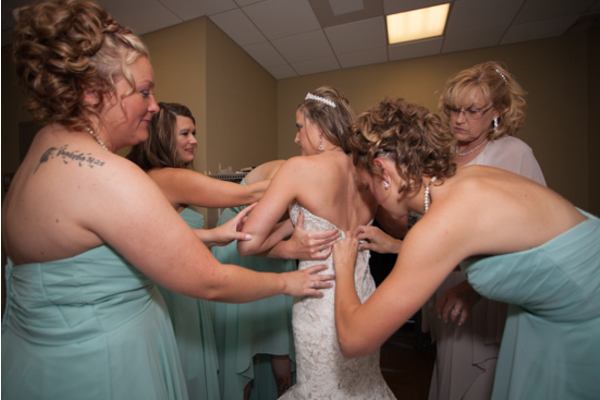 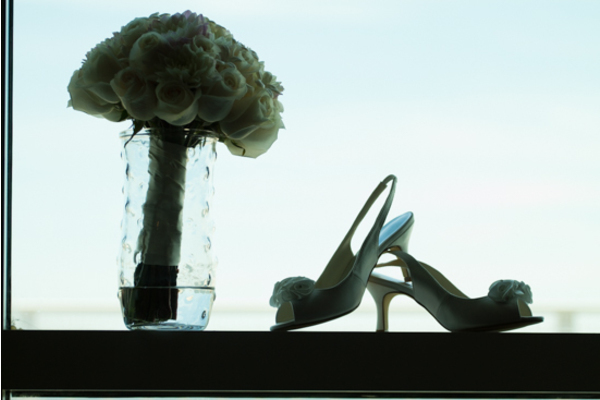 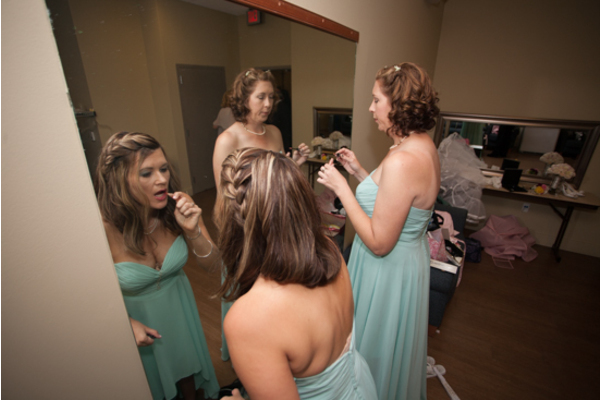 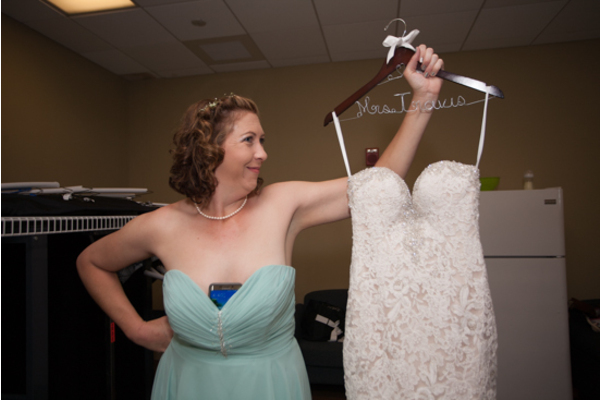 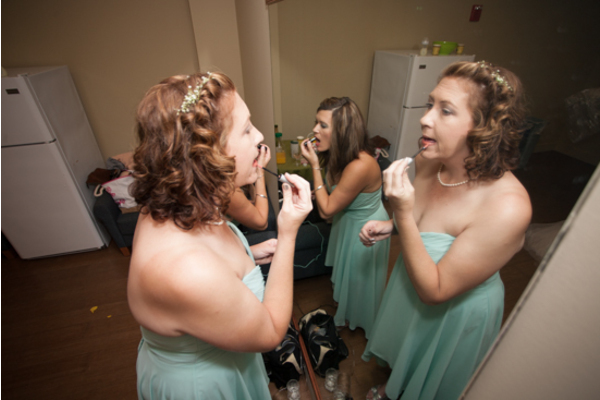 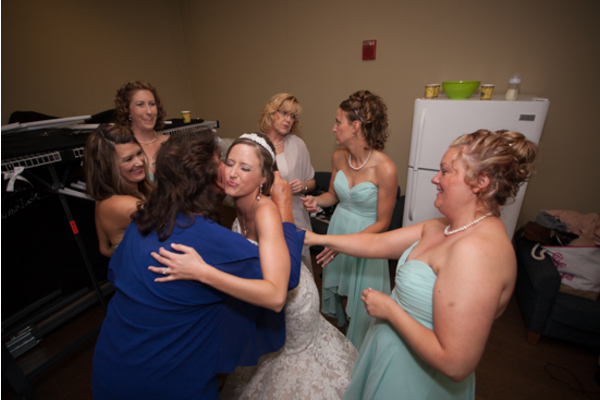 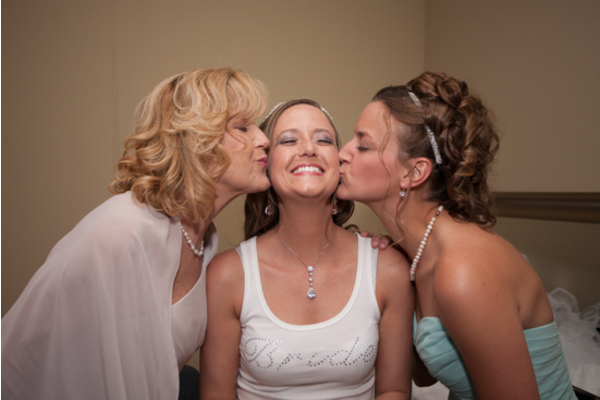 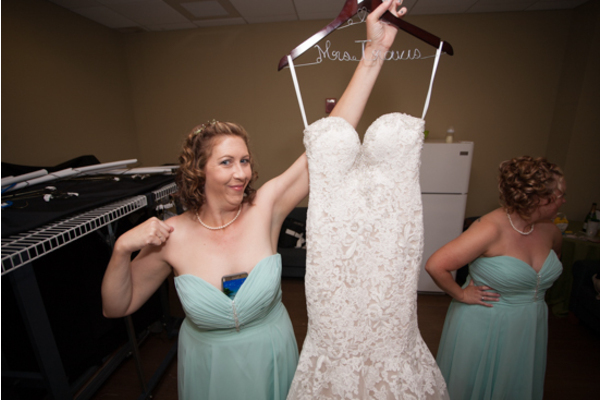 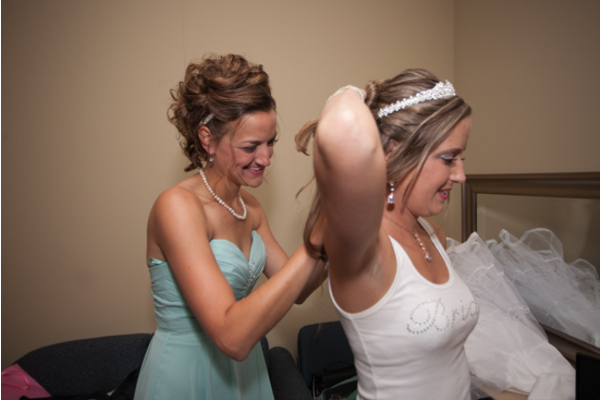 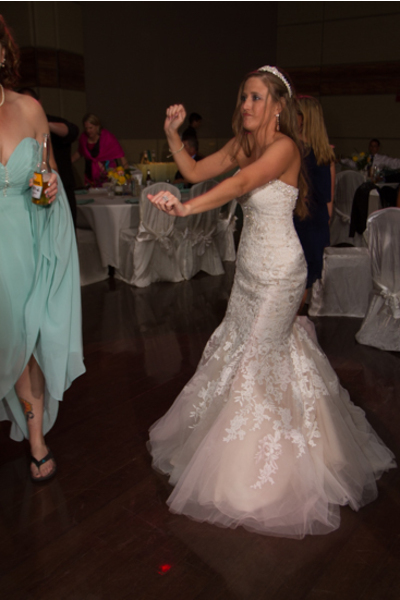 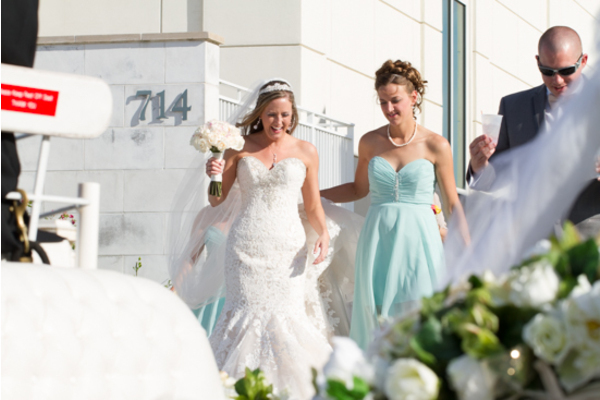 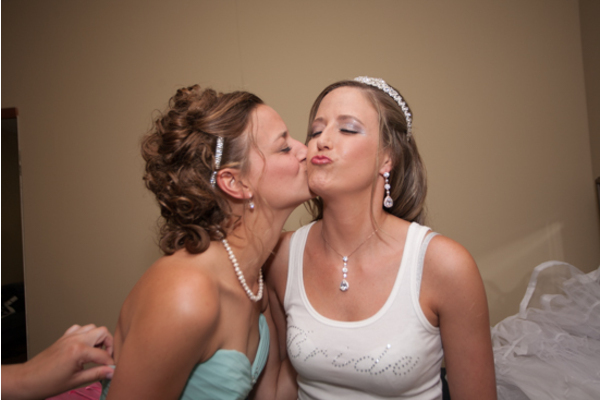 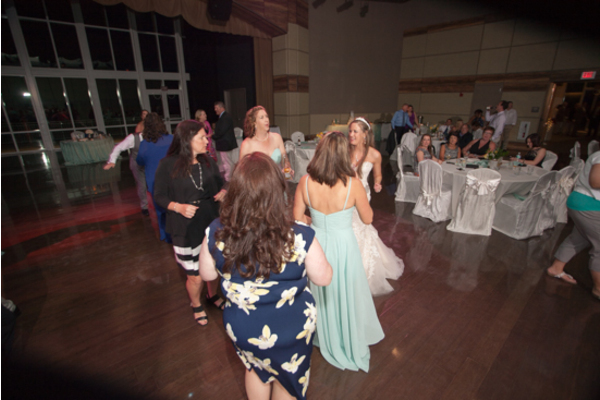 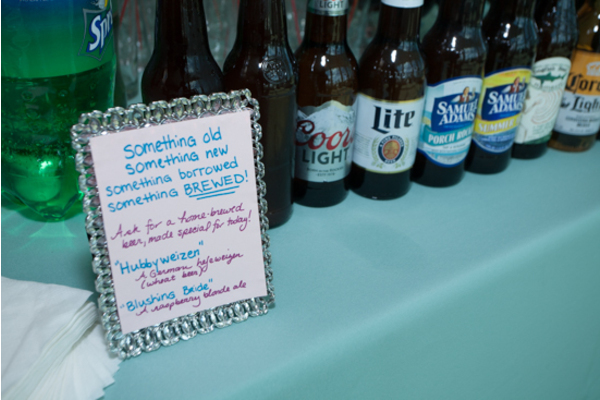 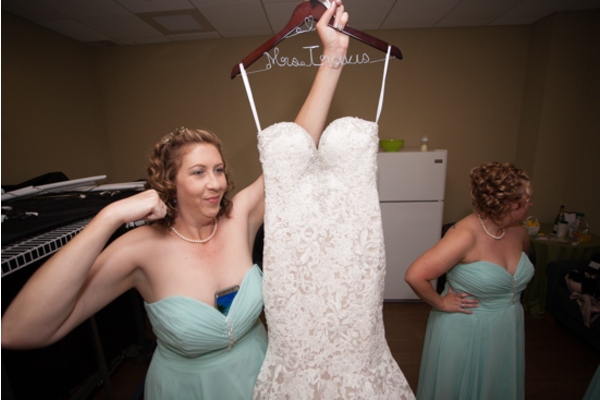 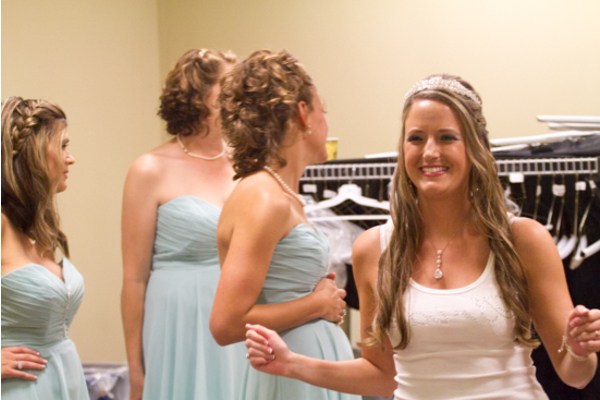 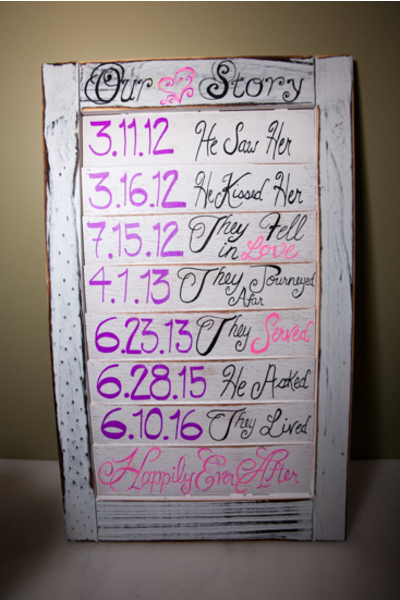 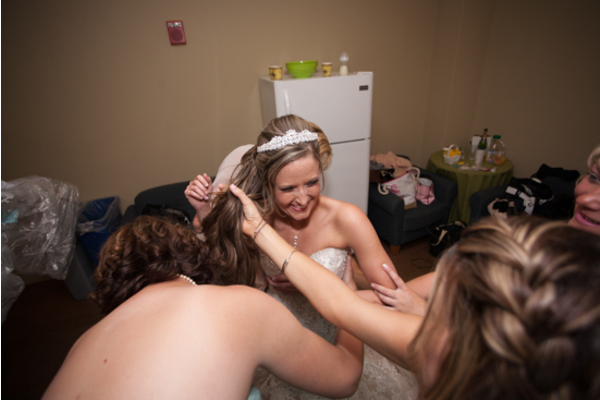 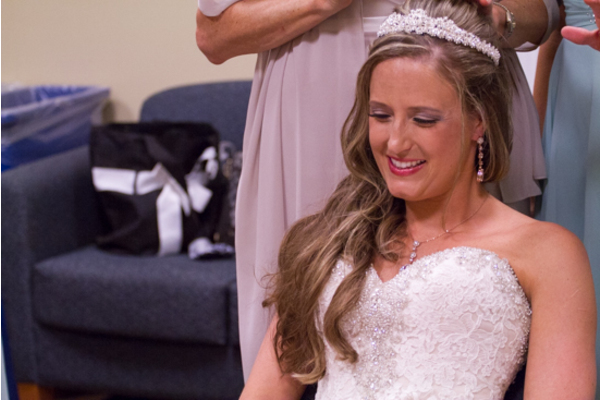 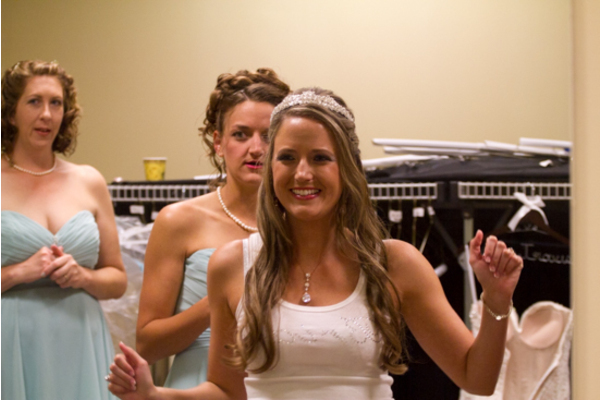 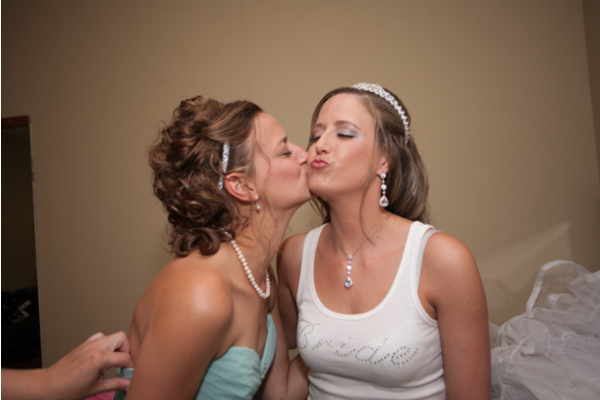 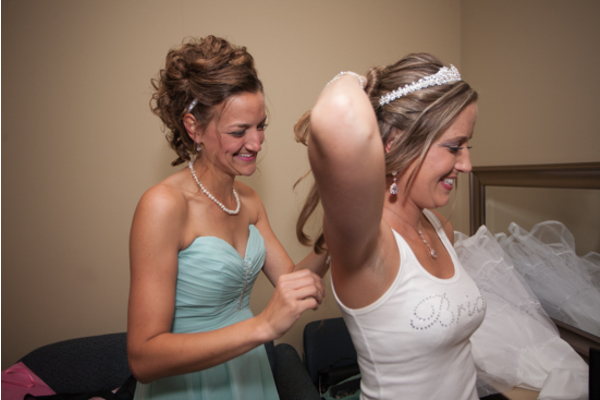 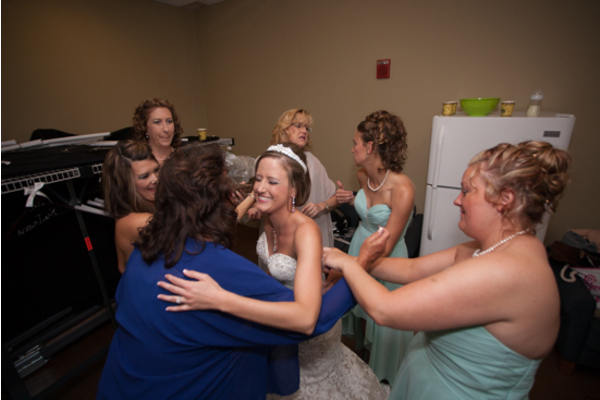 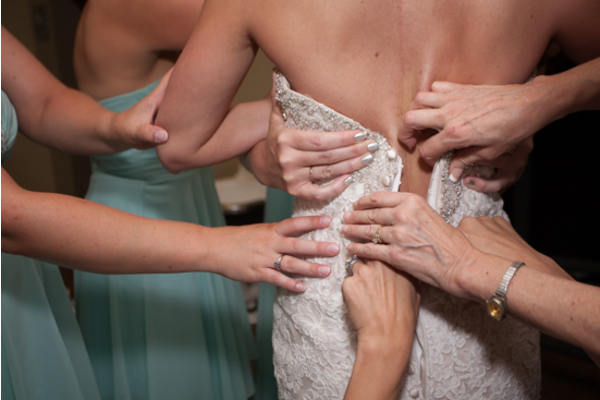 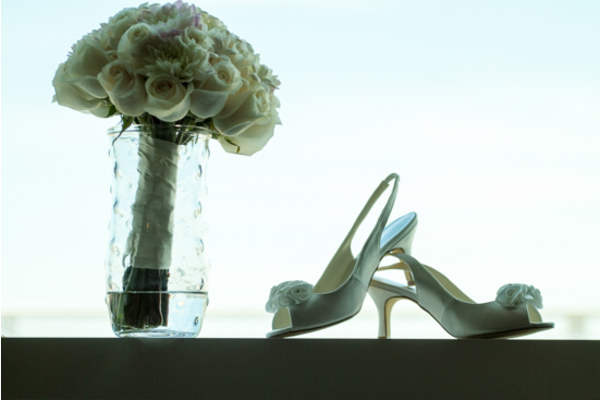 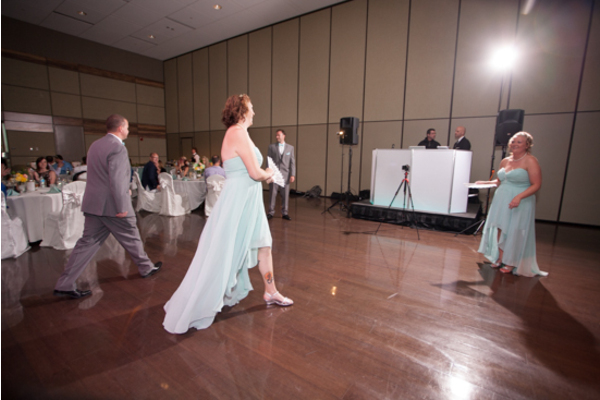 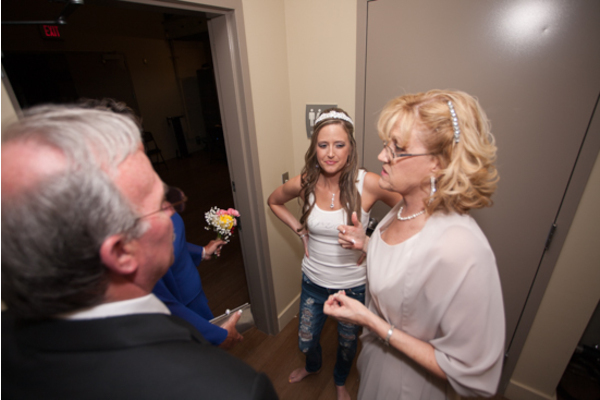 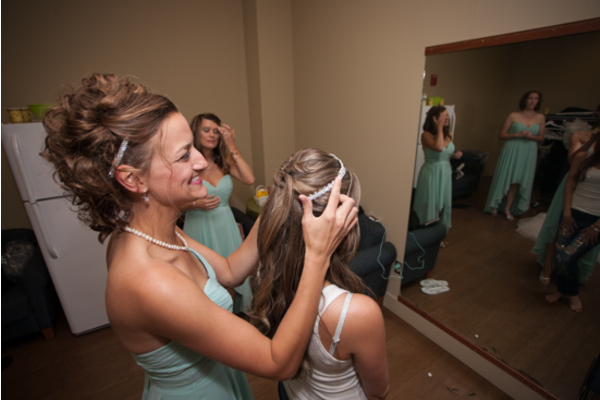 The bride found her something blue in her stunning bridal party’s attire and allowed her bridesmaids to sign the bottom of her heels to commemorate this day forever. 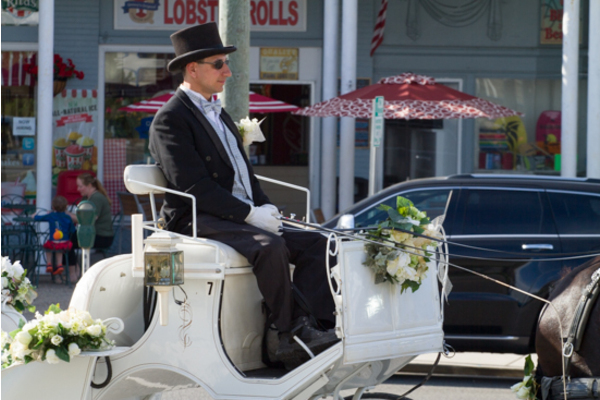 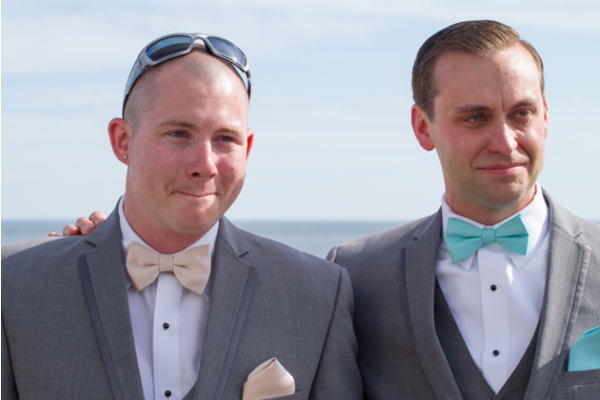 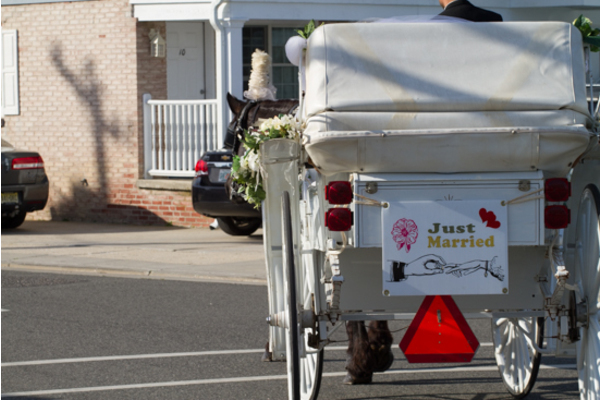 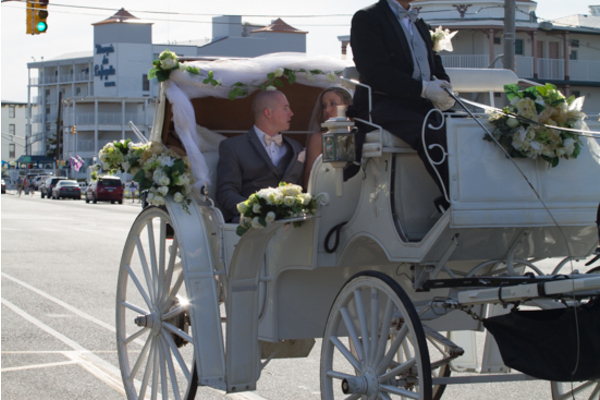 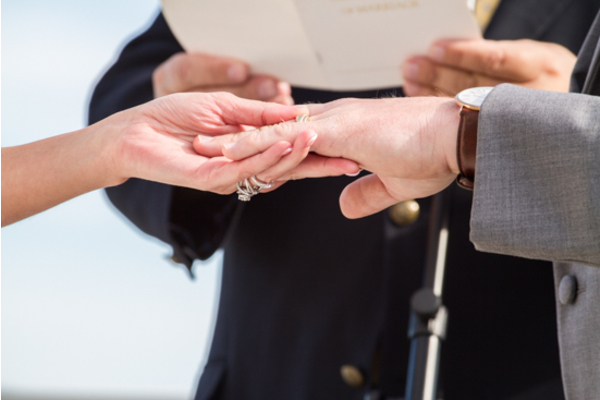 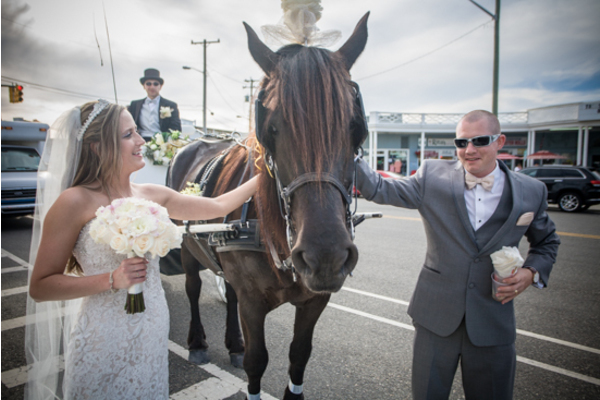 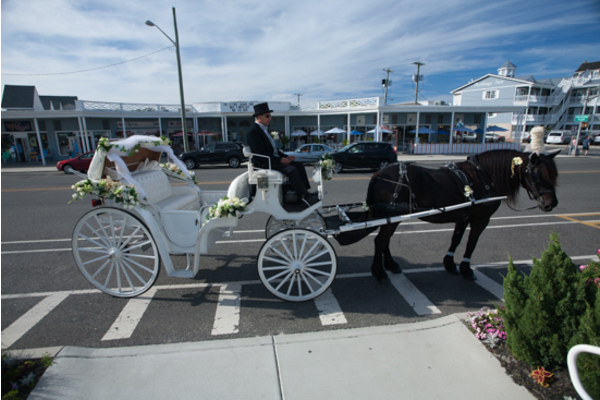 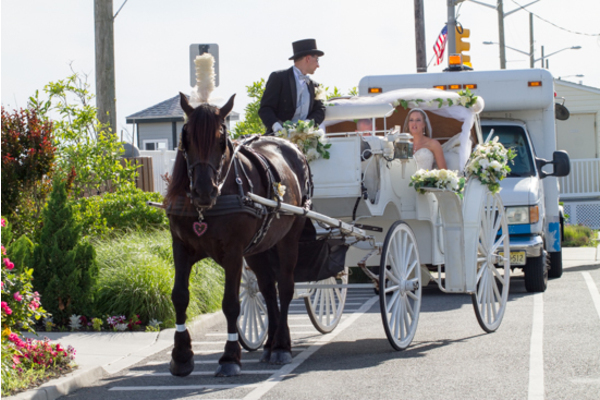 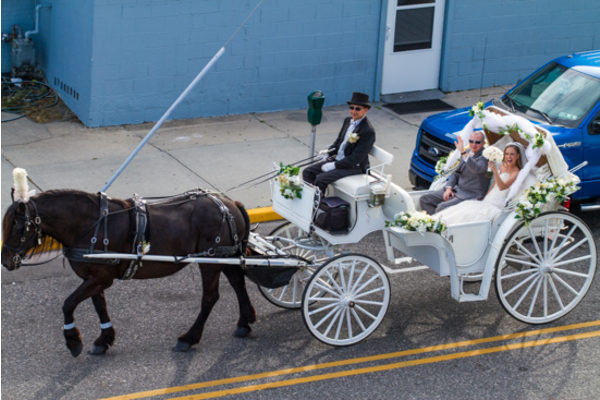 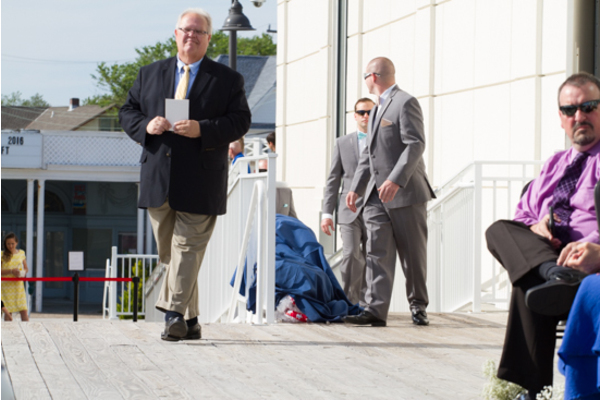 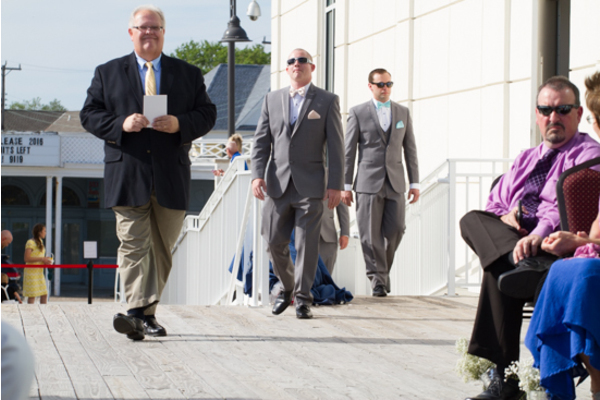 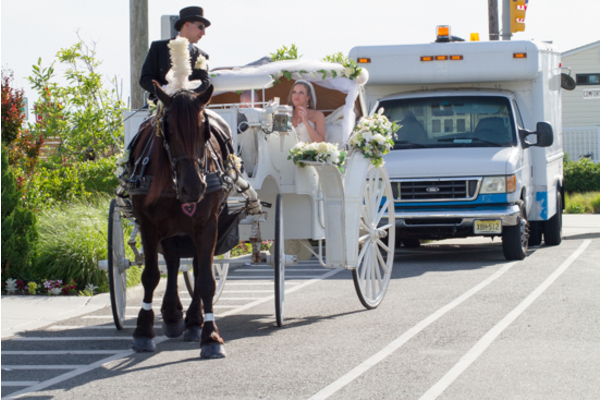 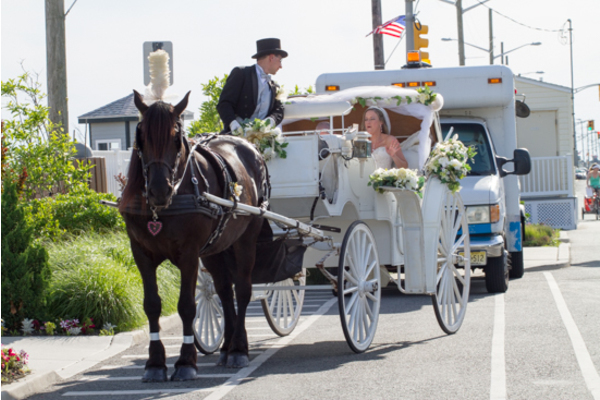 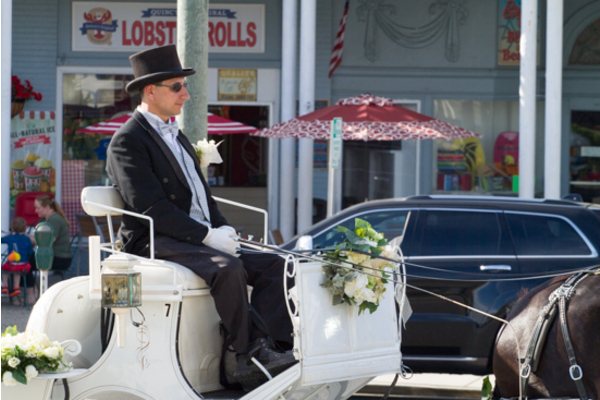 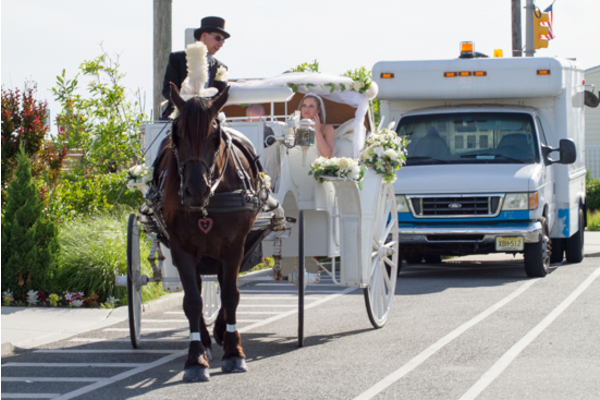 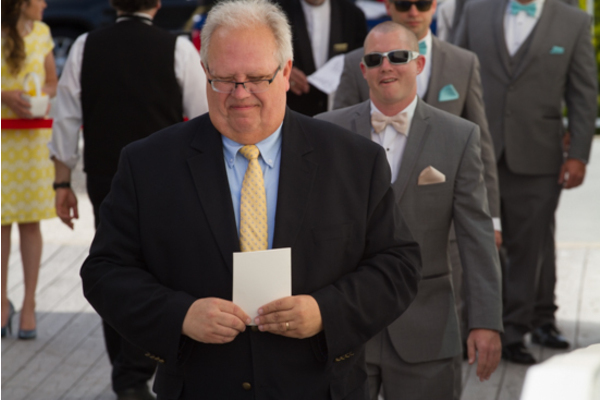 With a horse drawn carriage to finish off the ceremony of their dreams, the couple seemed stress free and very in love as our NJ Wedding Videographer captured their first moments as husband and wife on the Cape May Boardwalk. 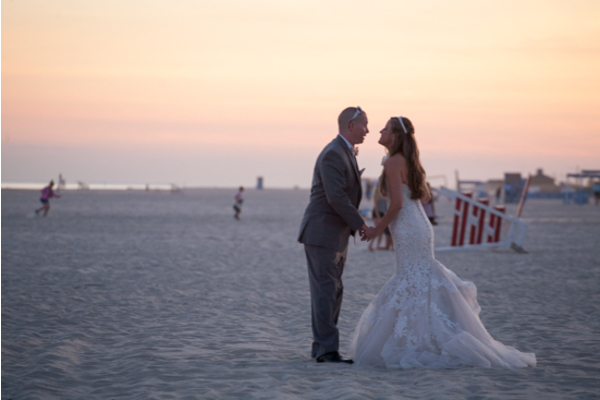 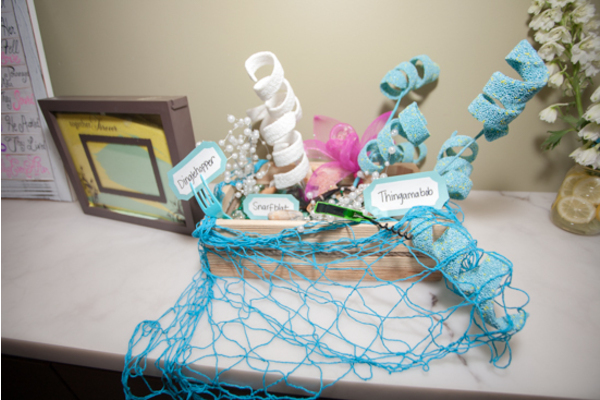 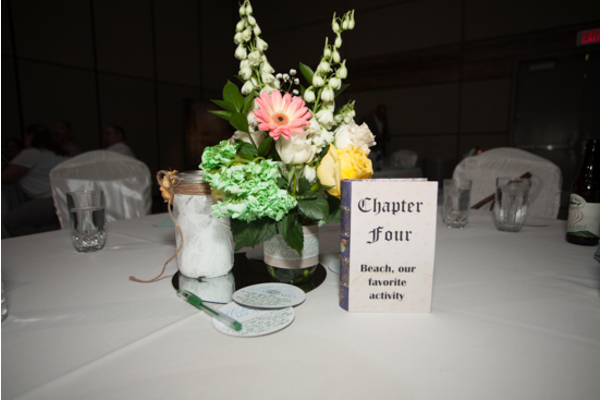 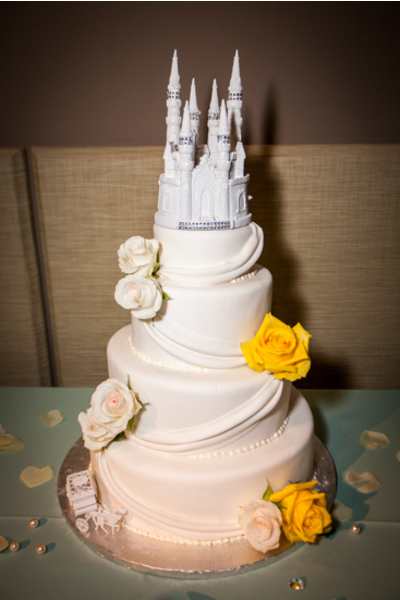 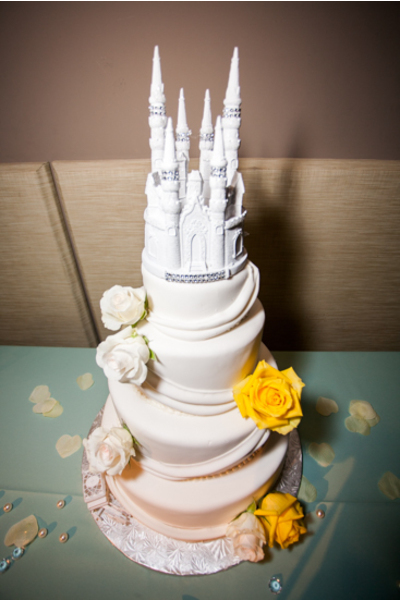 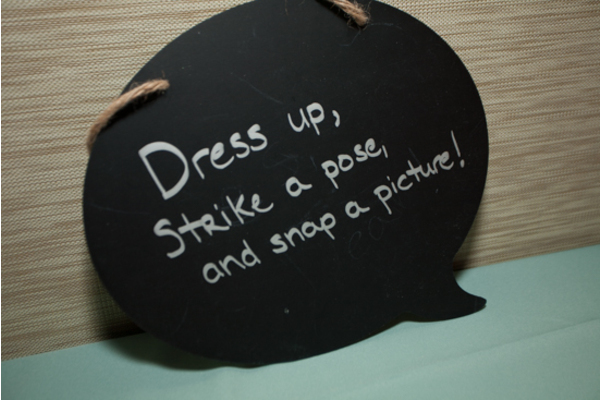 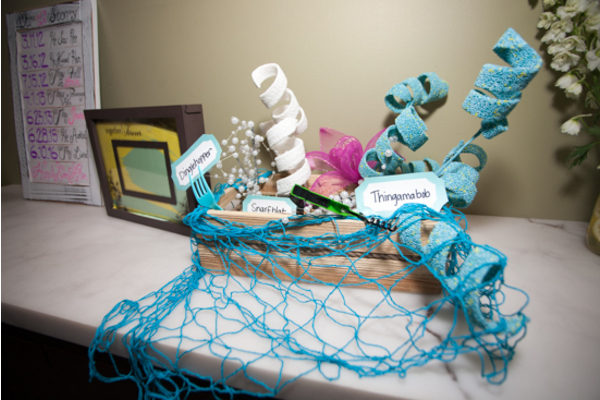 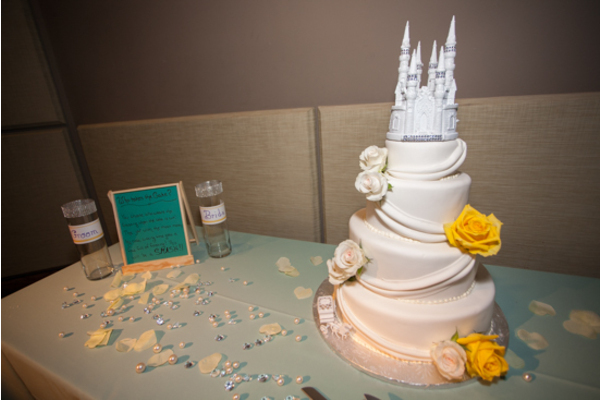 Sandcastle themed cake brought the beach theme to the reception space after the families took some stunning seaside portraits with our NJ Wedding Photographer. 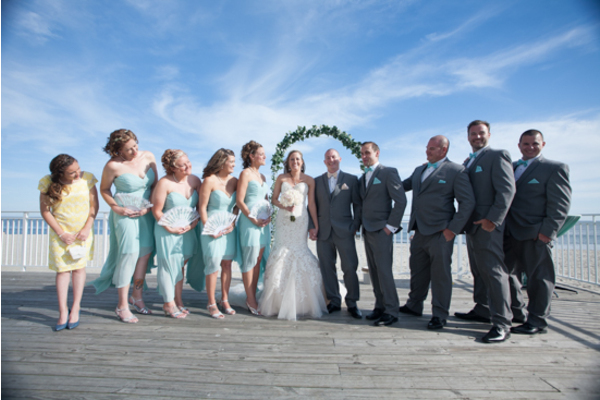 With a backdrop that was almost as beautiful as the bride herself, there was no surprise that this couple was all smiles on their big day. 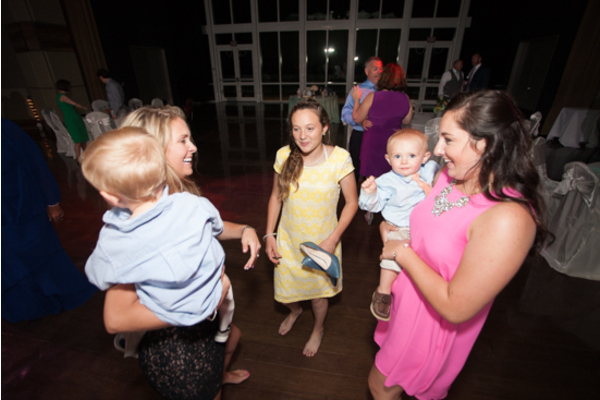 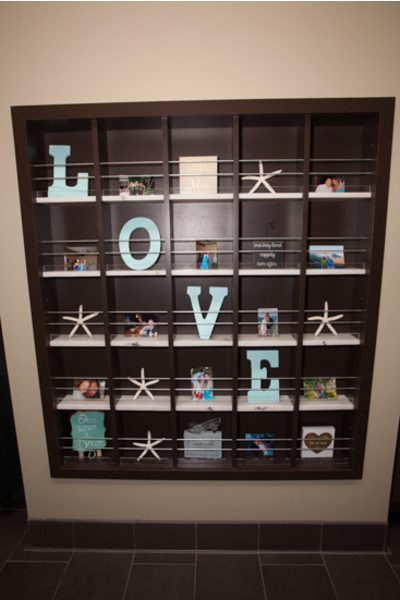 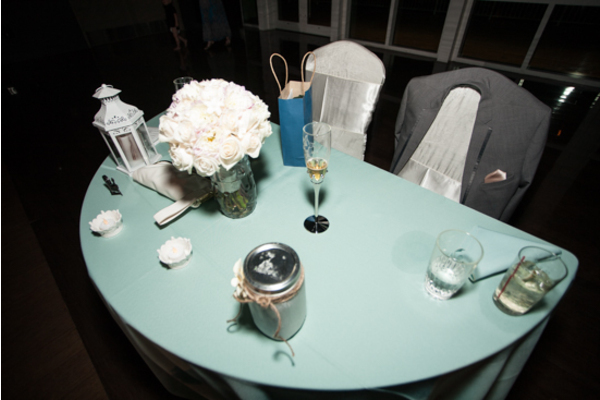 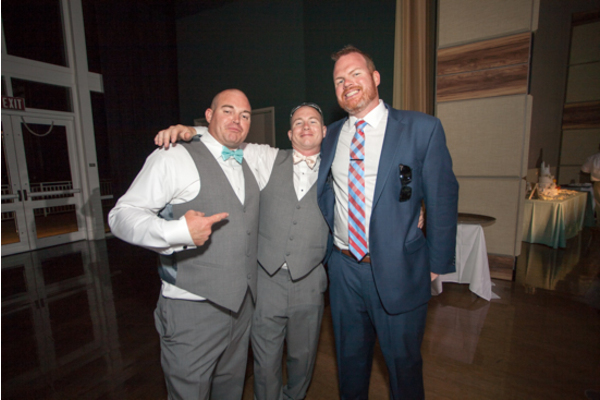 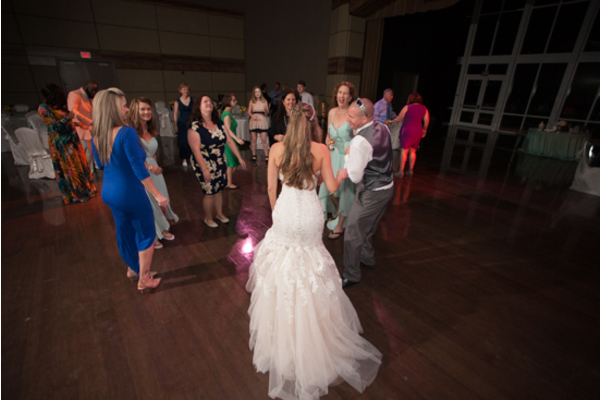 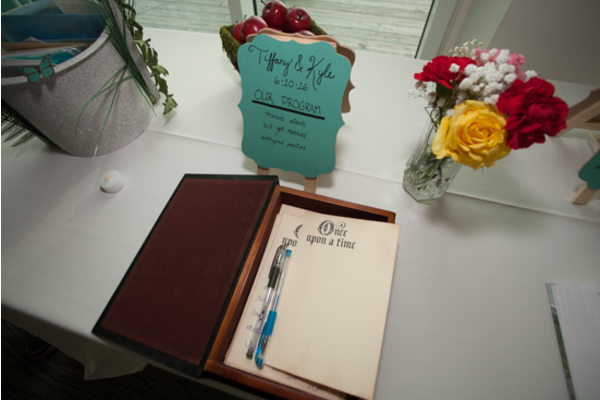 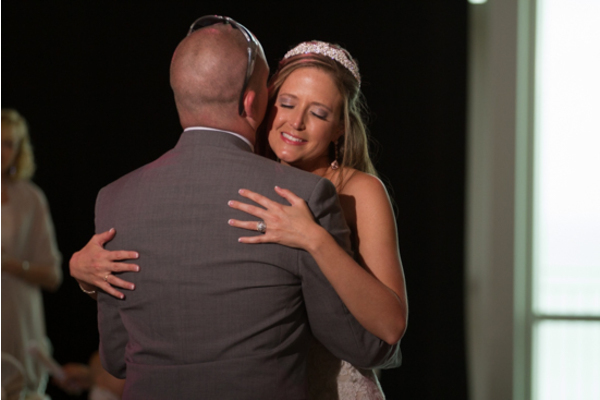 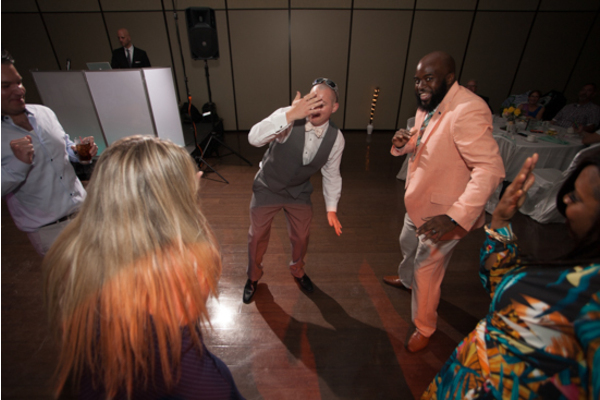 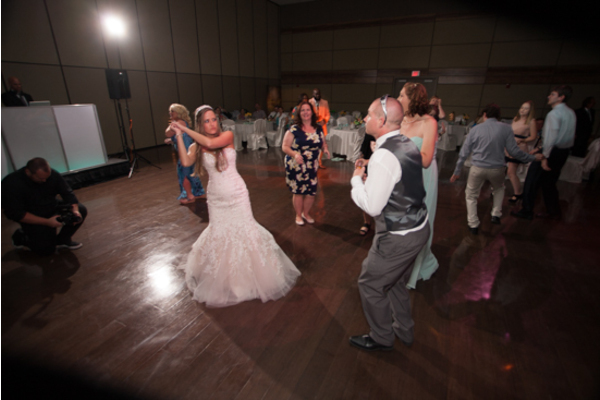 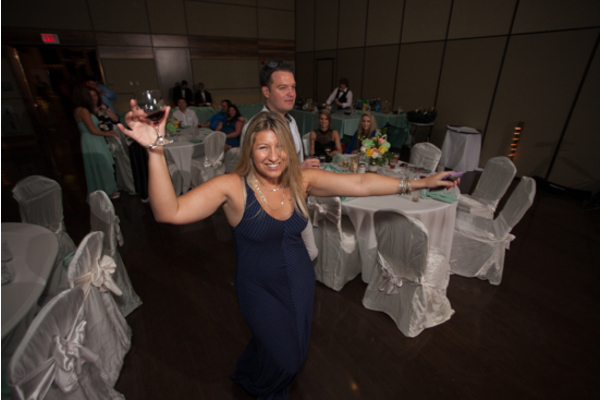 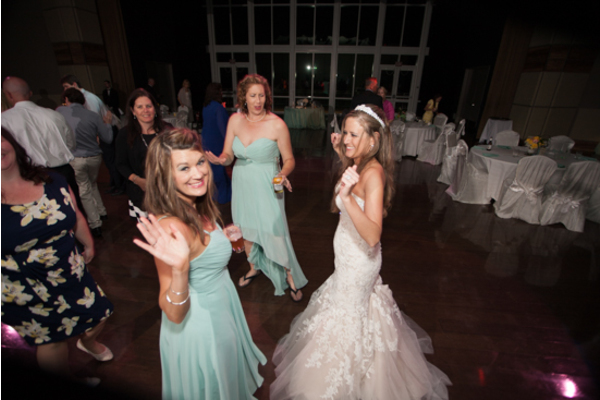 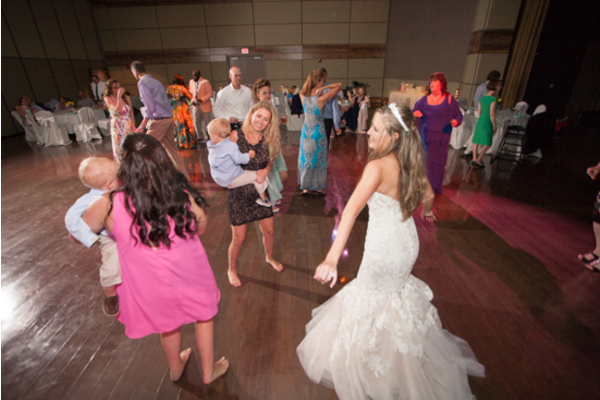 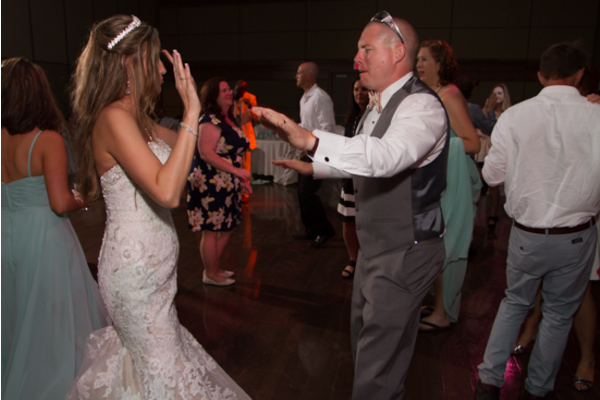 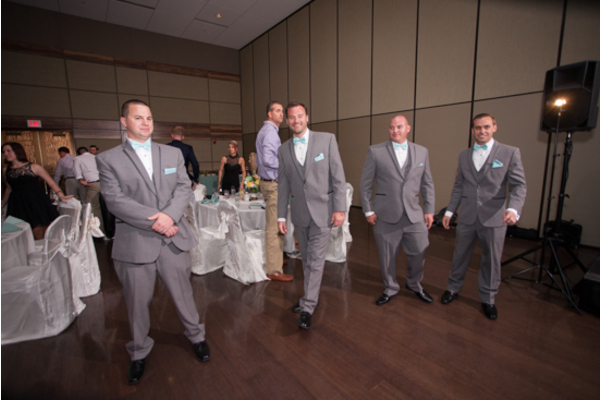 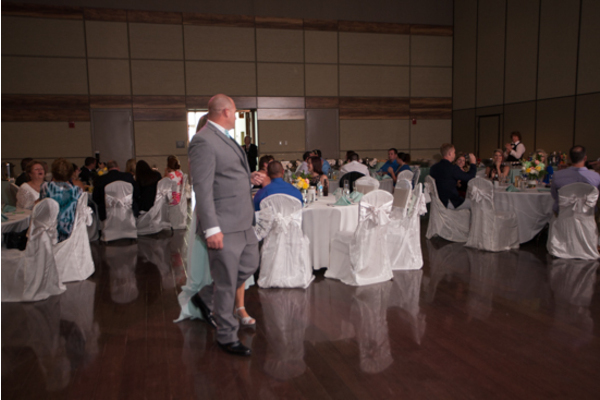 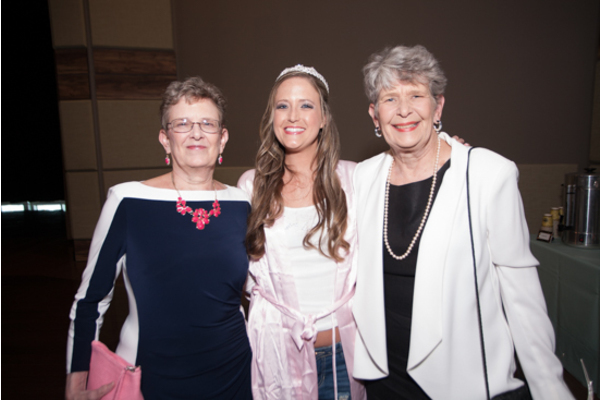 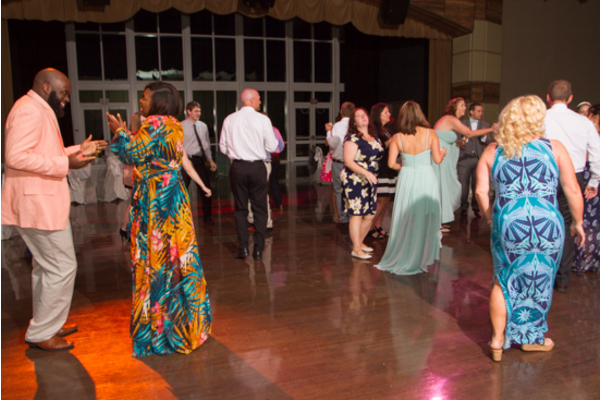 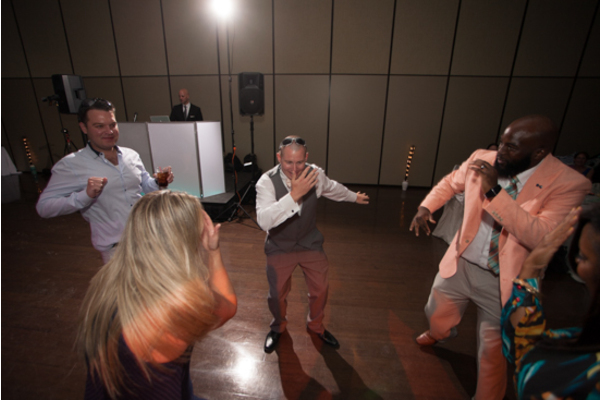 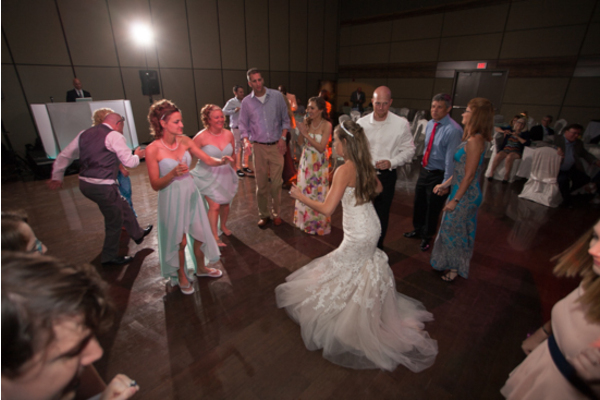 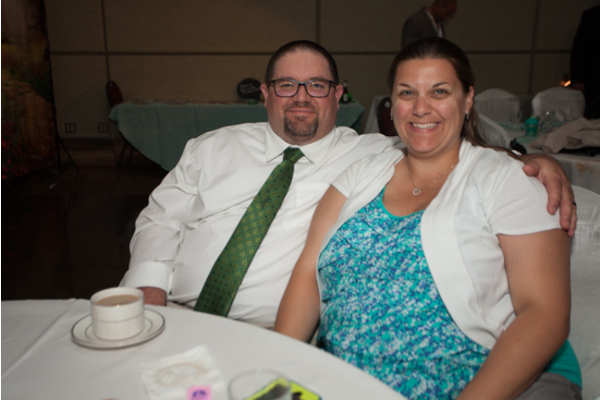 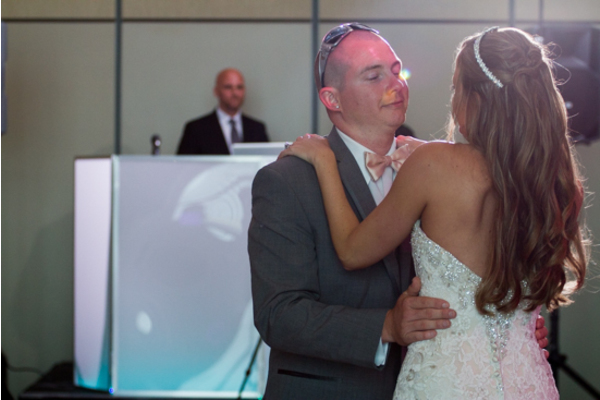 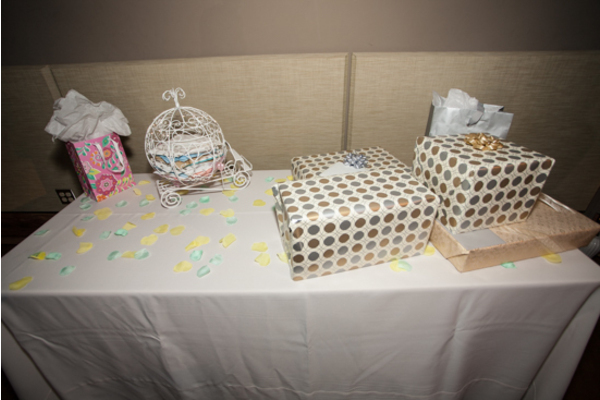 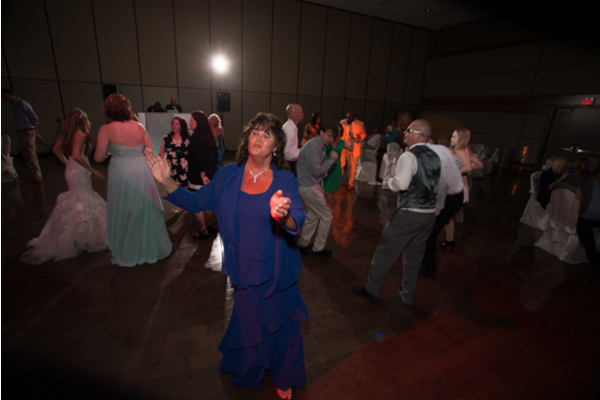 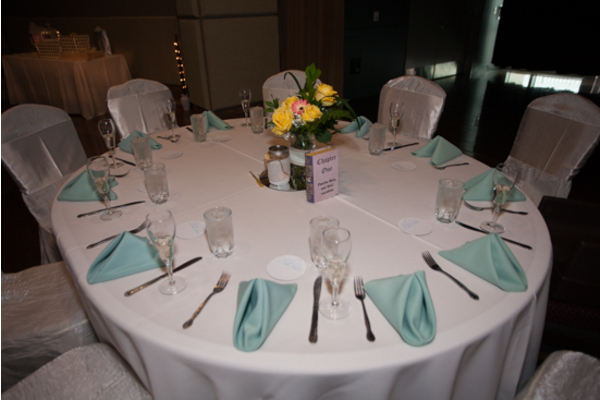 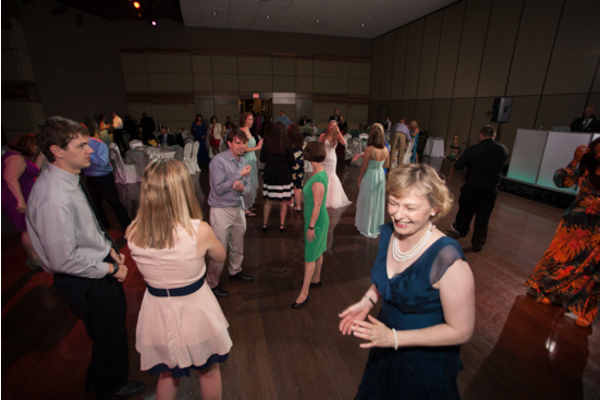 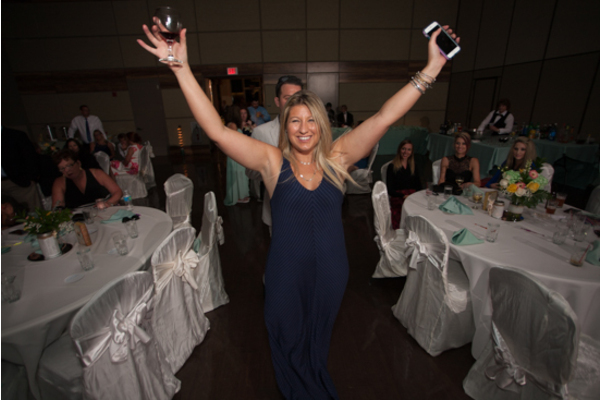 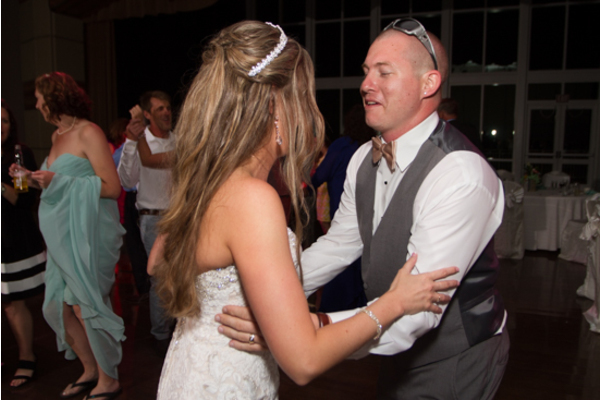 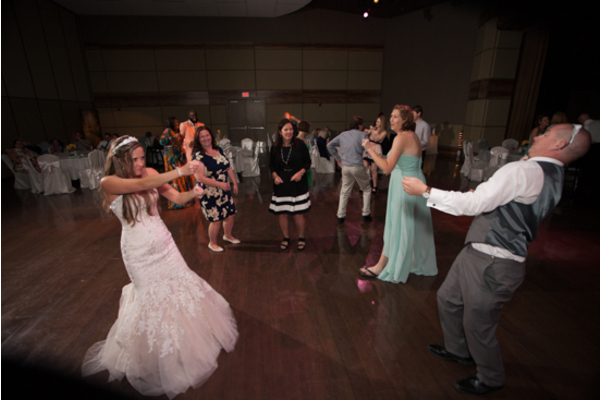 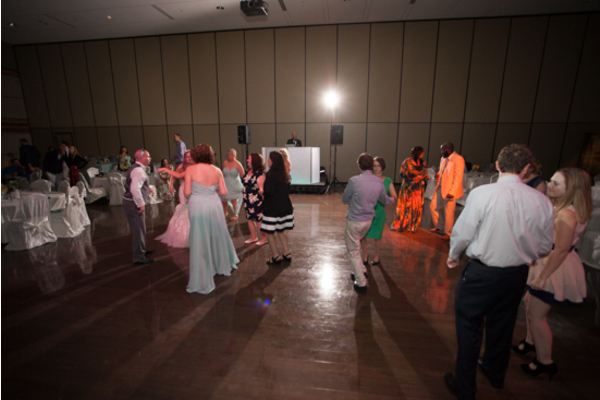 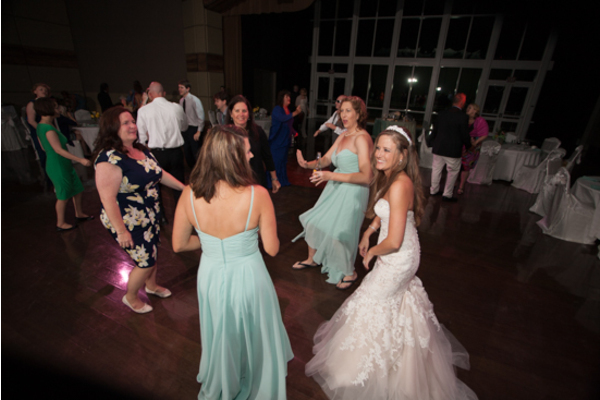 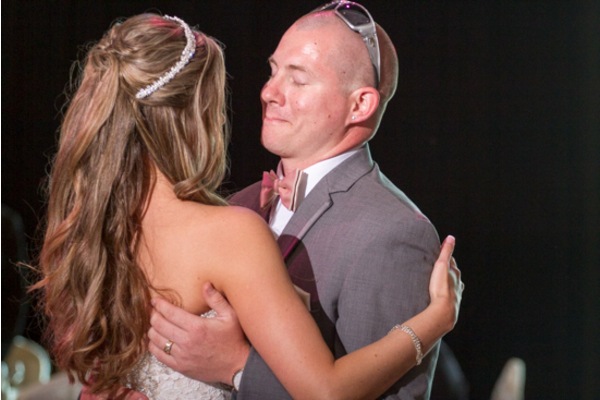 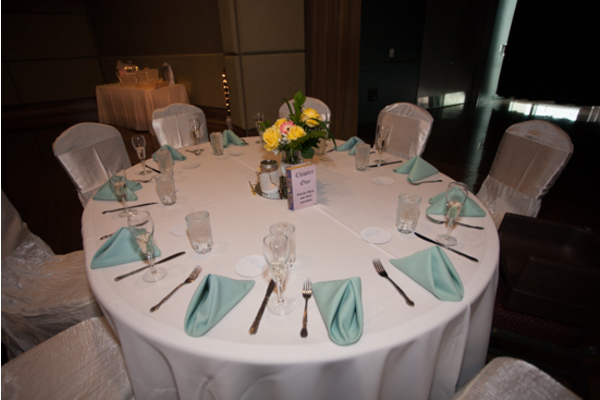 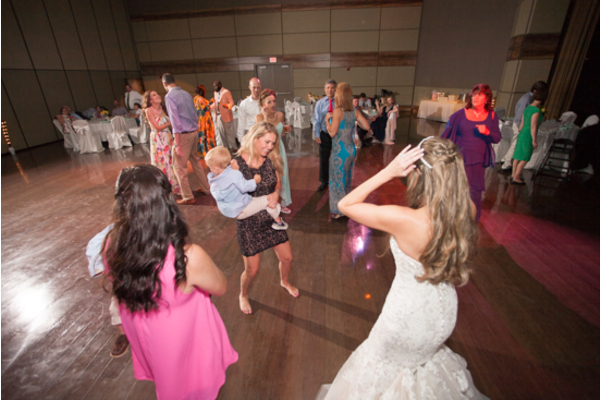 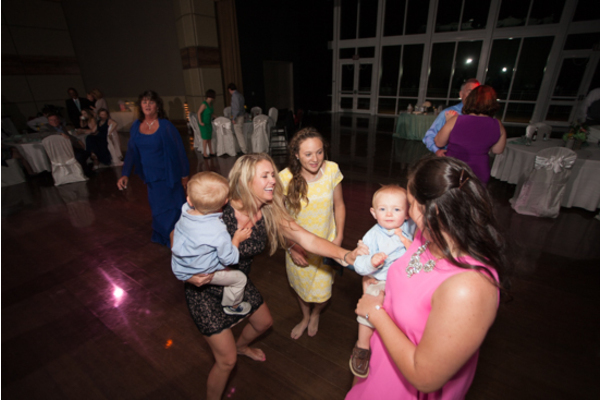 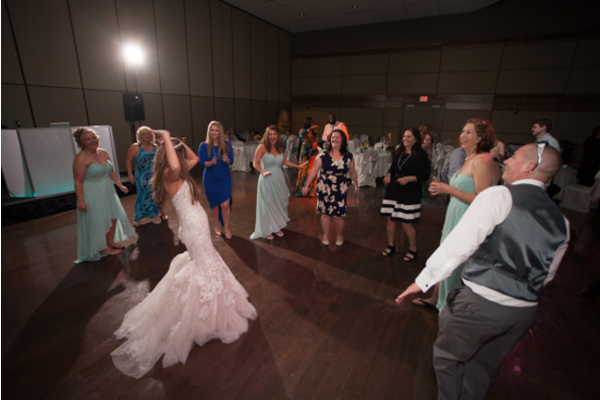 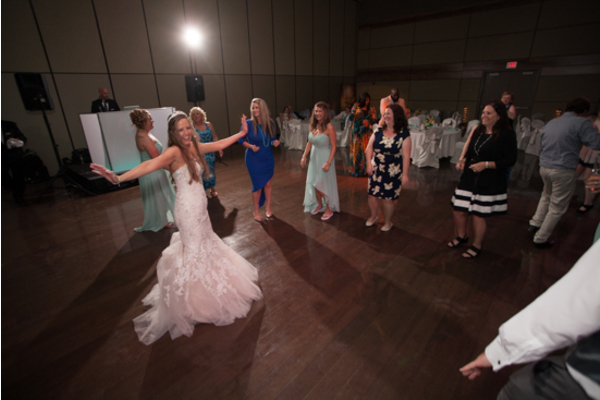 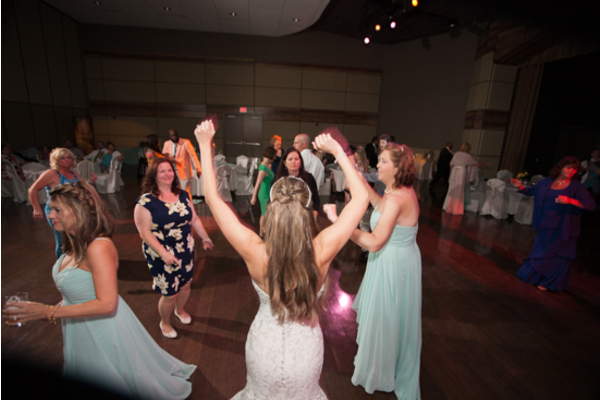 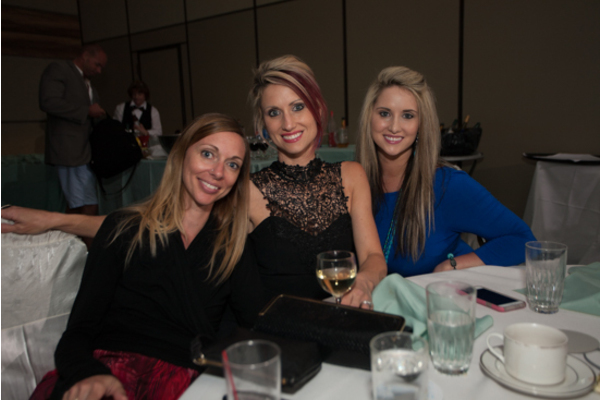 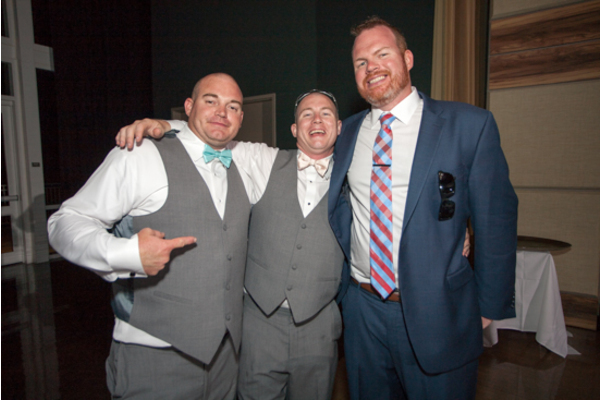 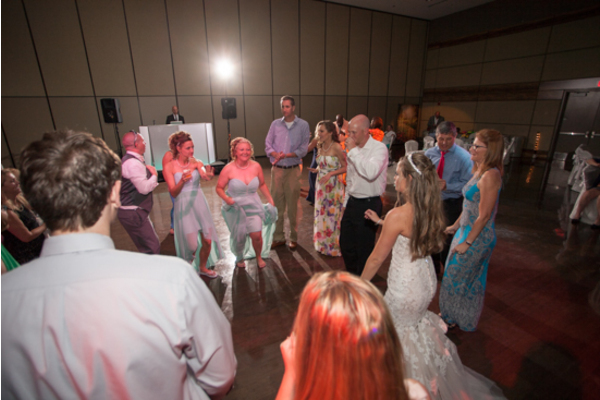 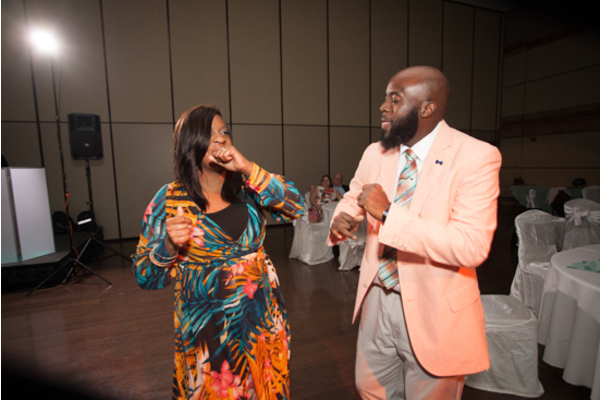 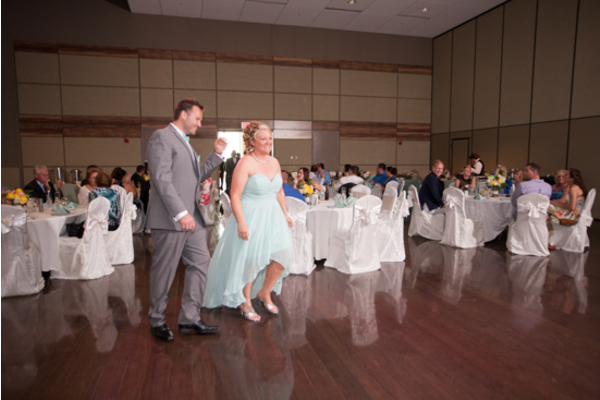 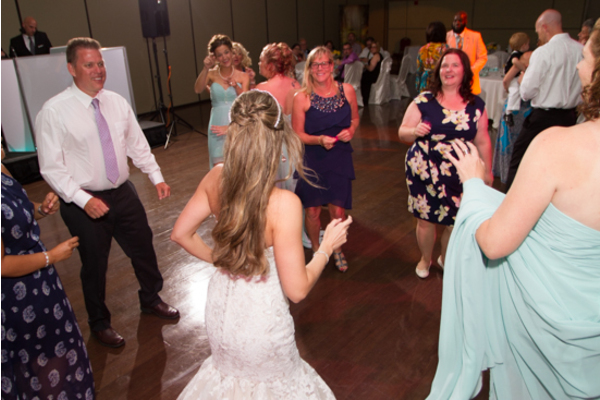 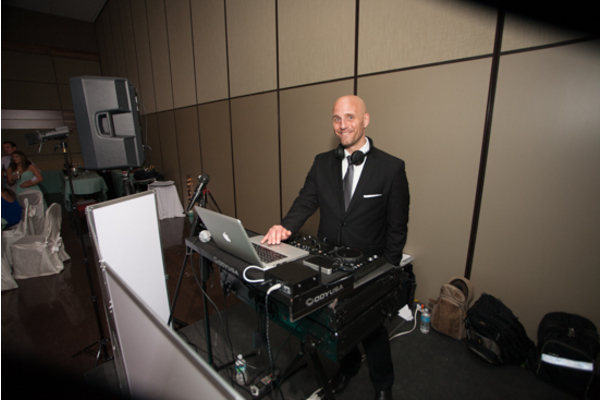 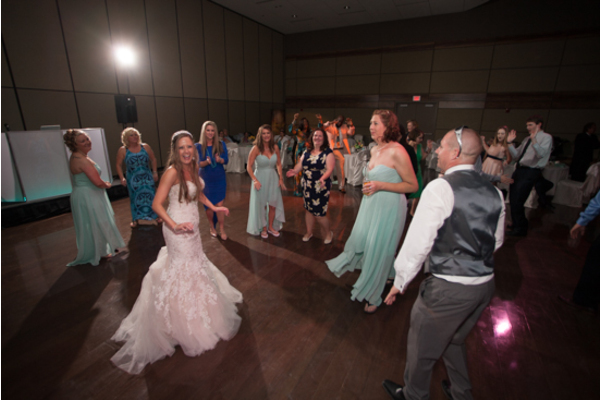 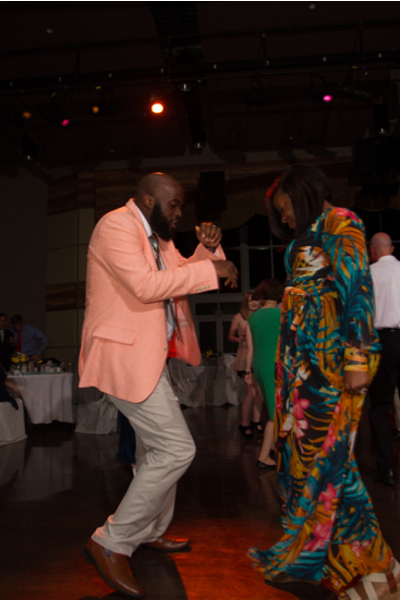 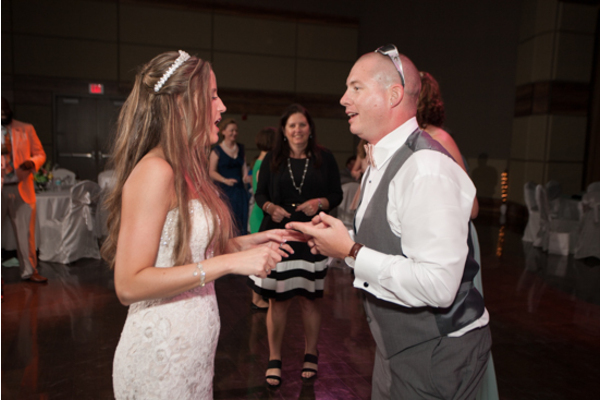 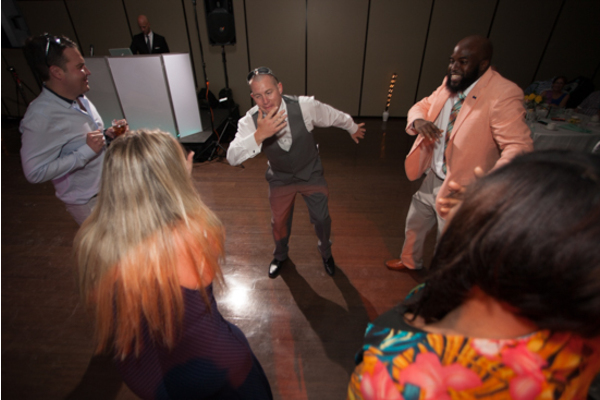 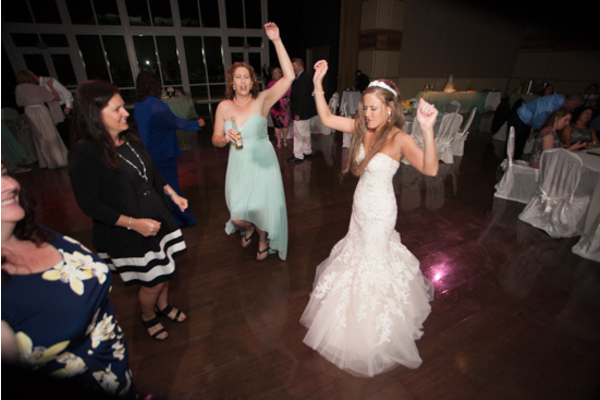 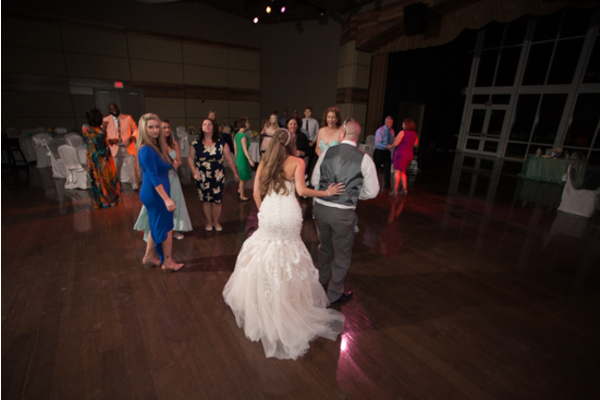 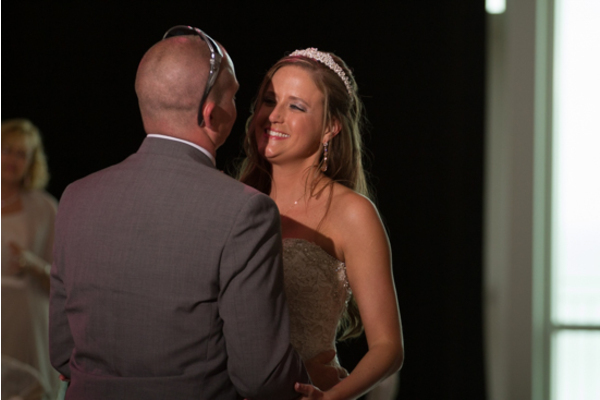 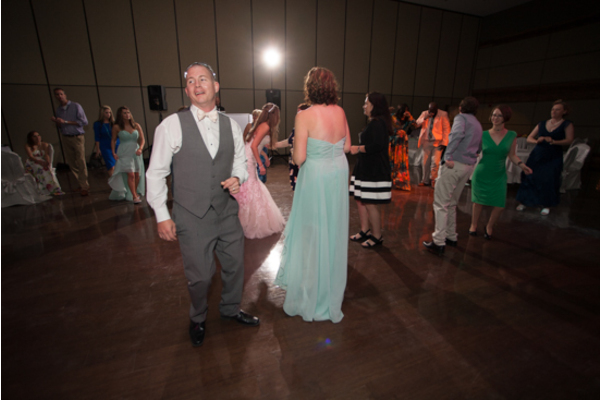 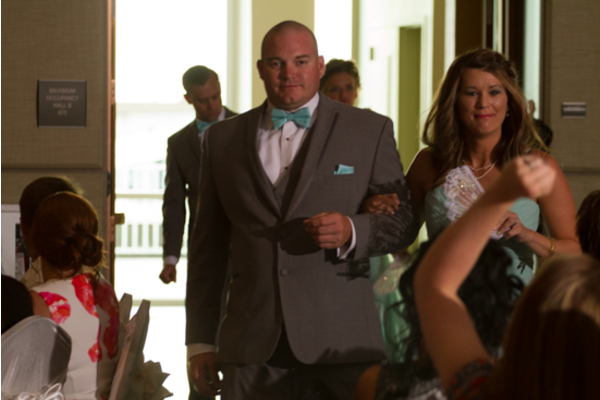 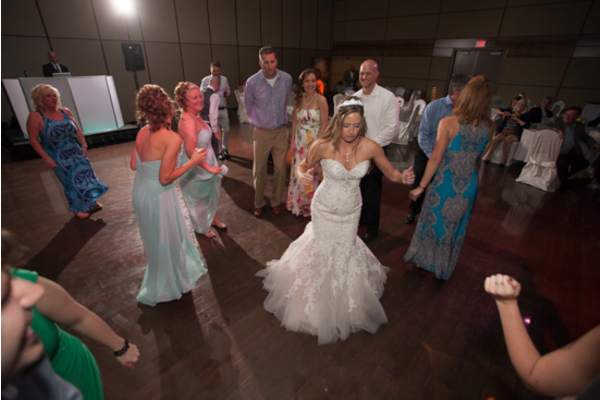 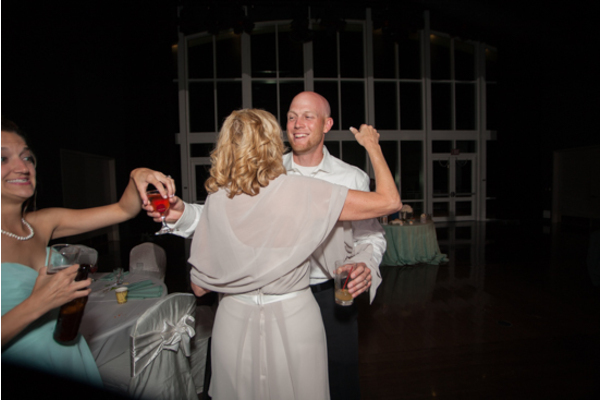 We were so honored to have been a part of Tiffany and Kyle’s big day and want to congratulate them again on their wedding!